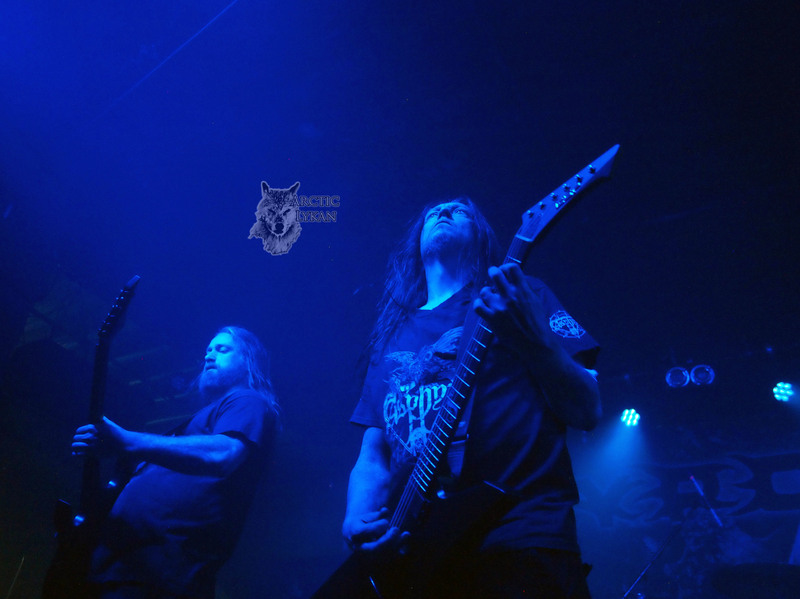 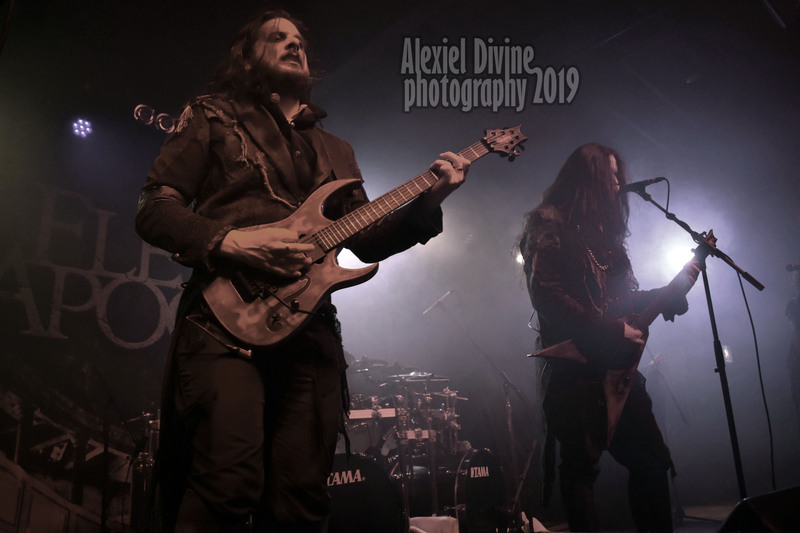 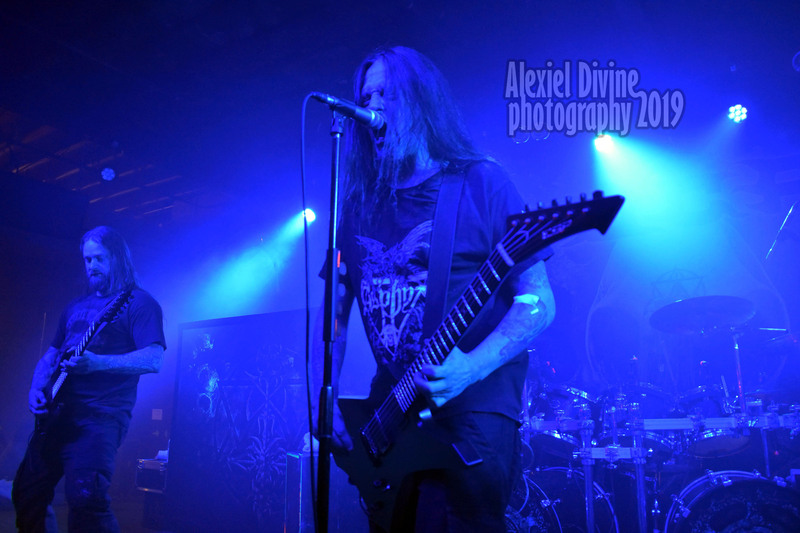 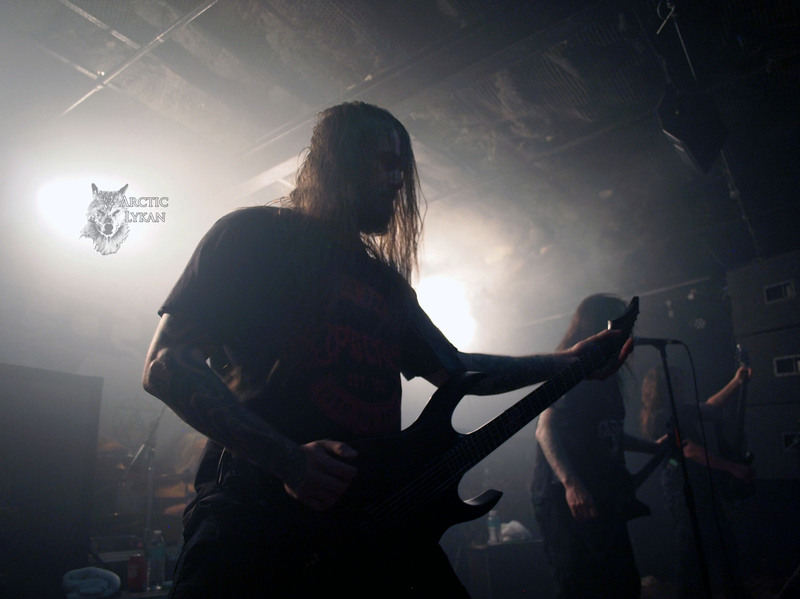 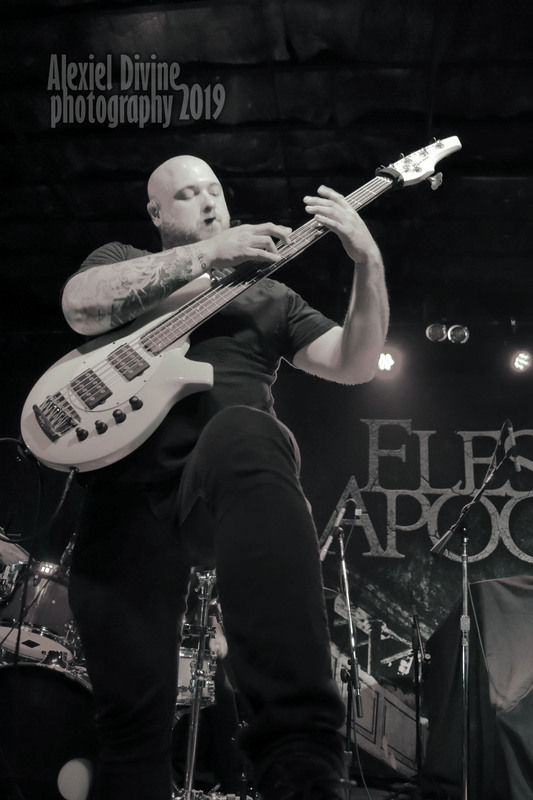 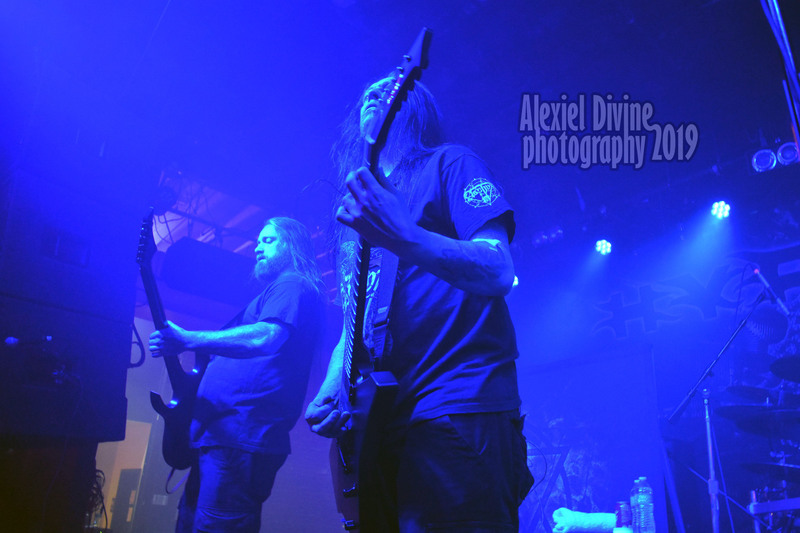 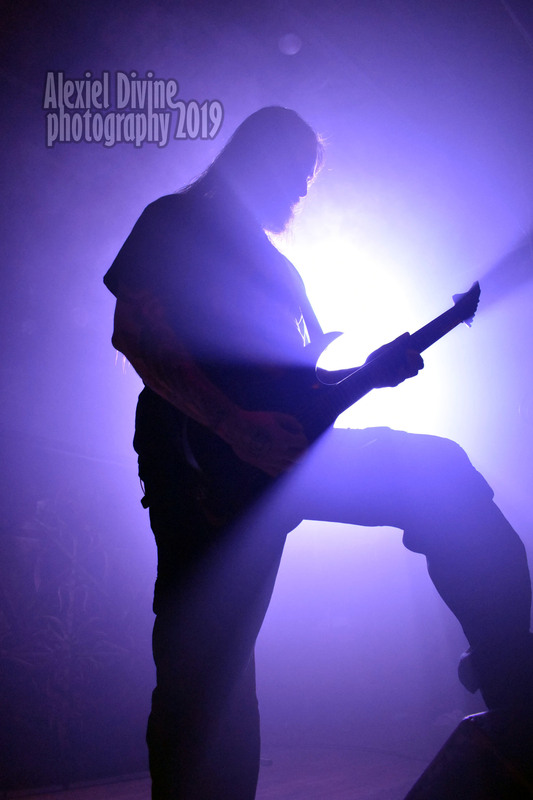 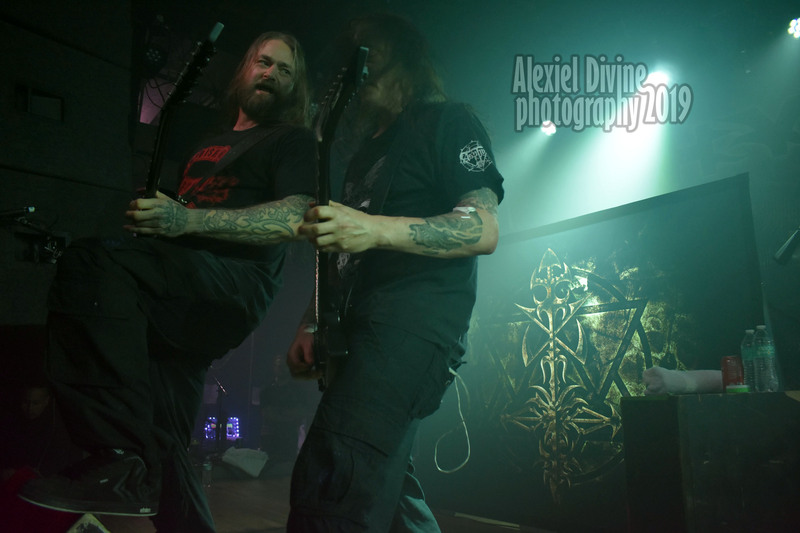 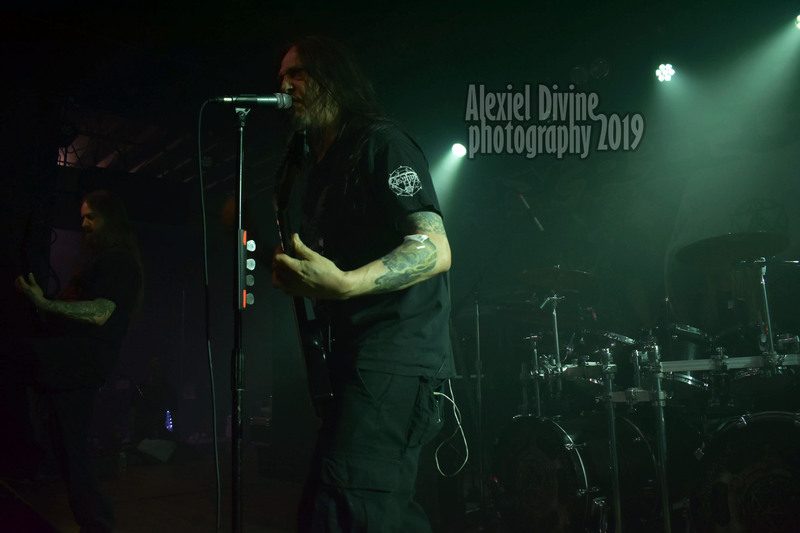 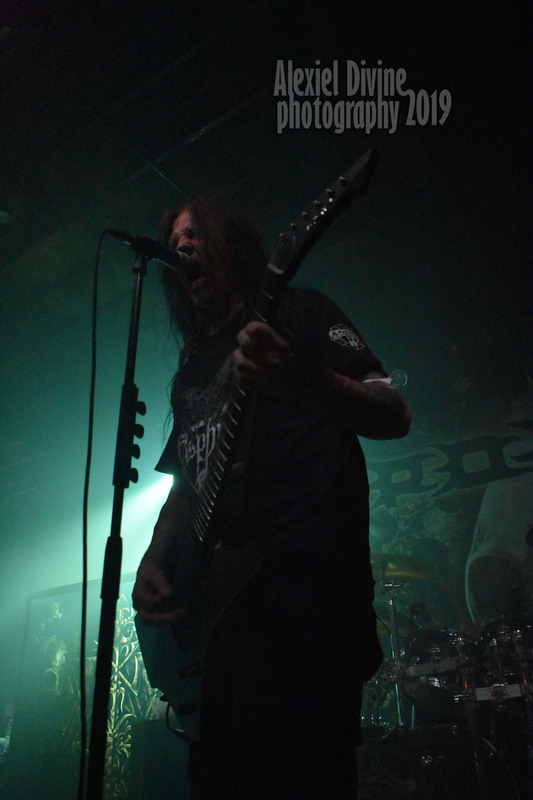 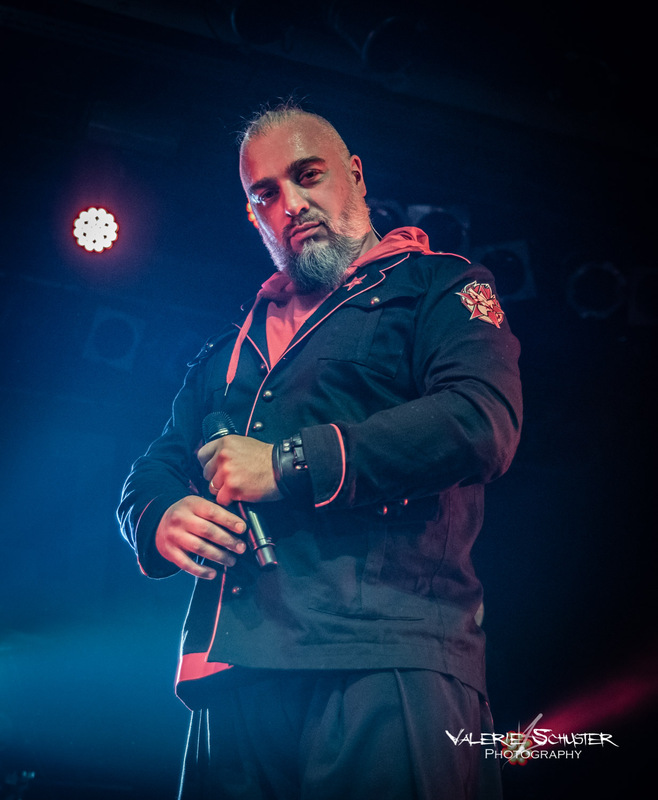 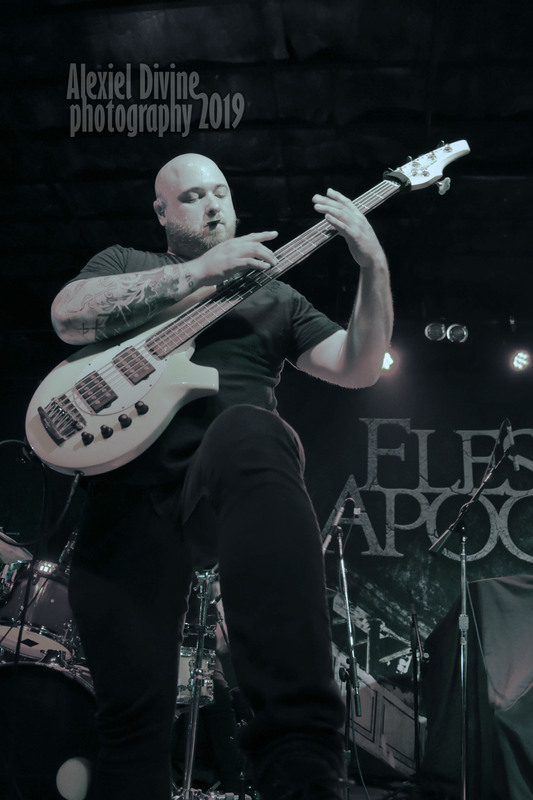 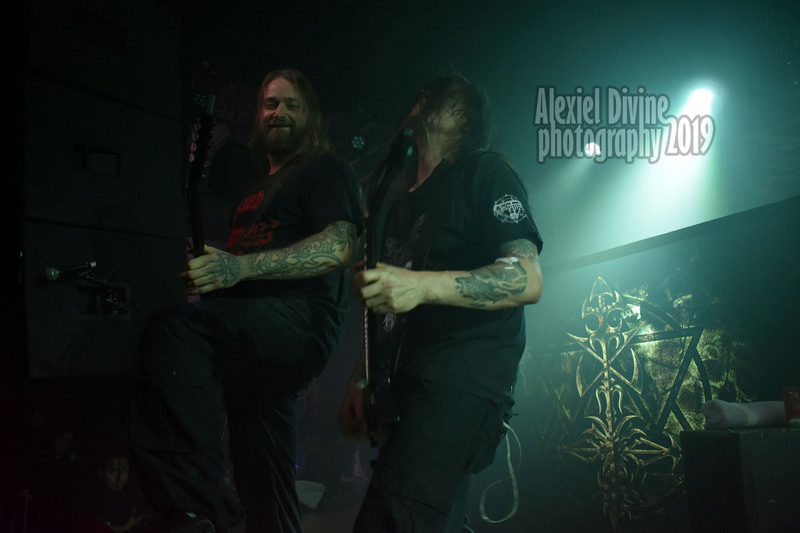 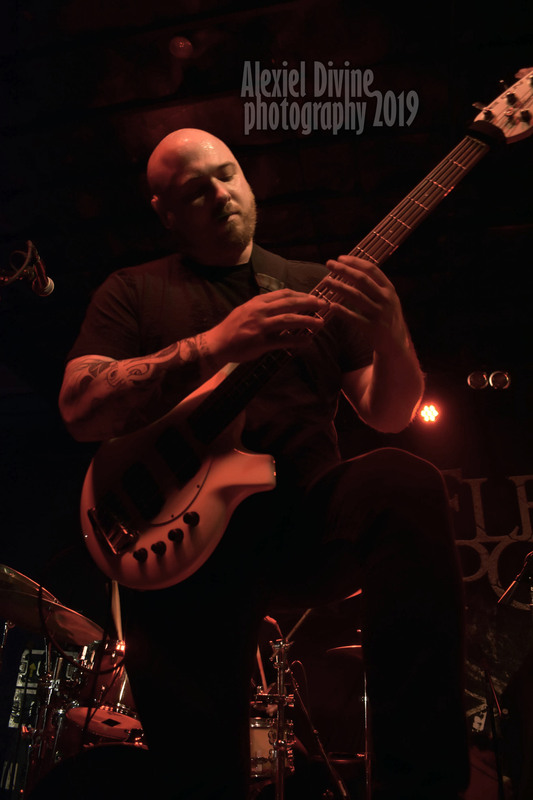 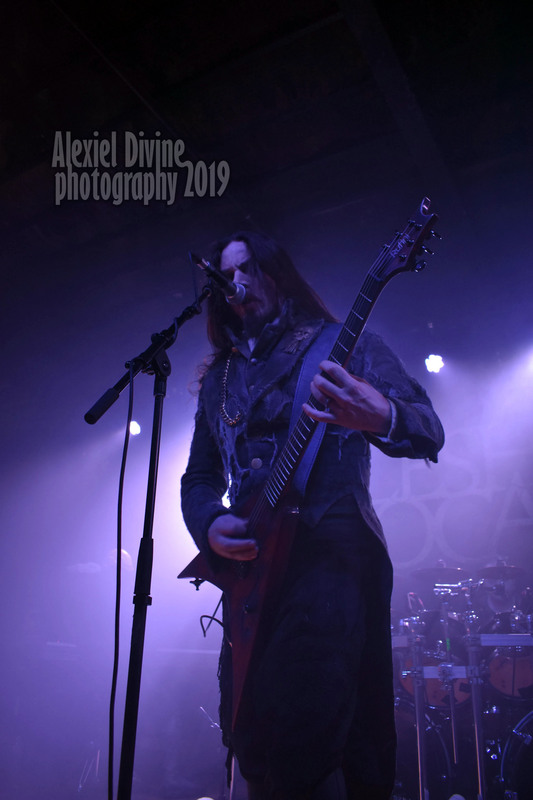 Fronted by mastermind Peter Tägtgren Hypocrisy finally return to North America co-headlining the successful “Death …Is Just The Beginning” tour with label mates Fleshgod Apocalypse. 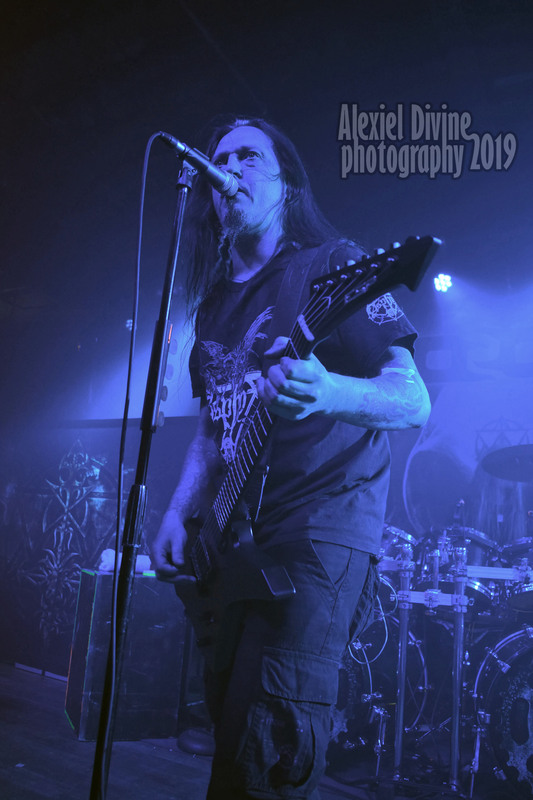 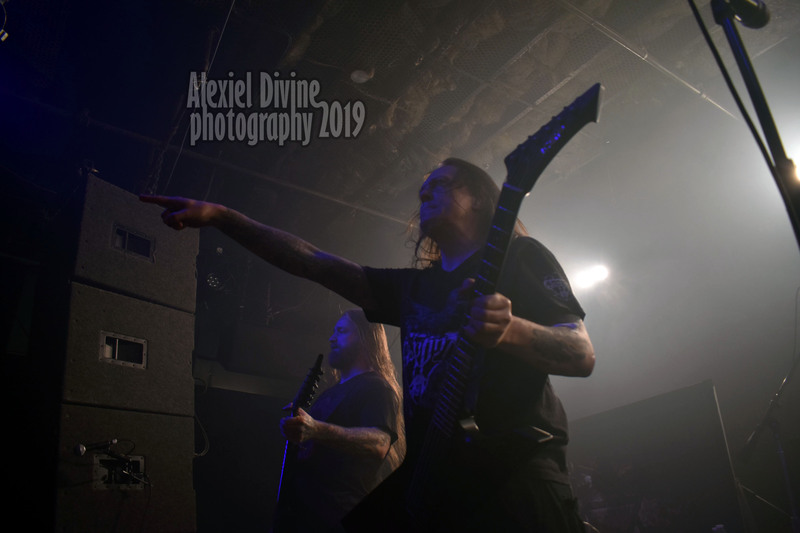 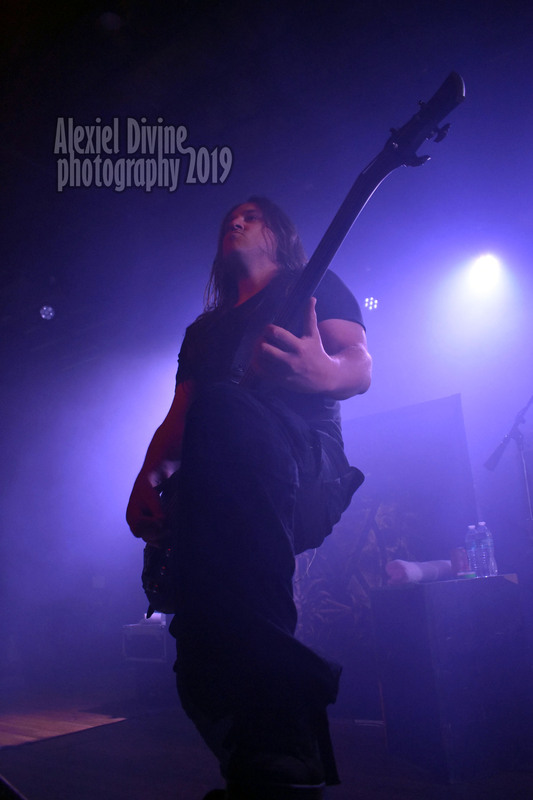 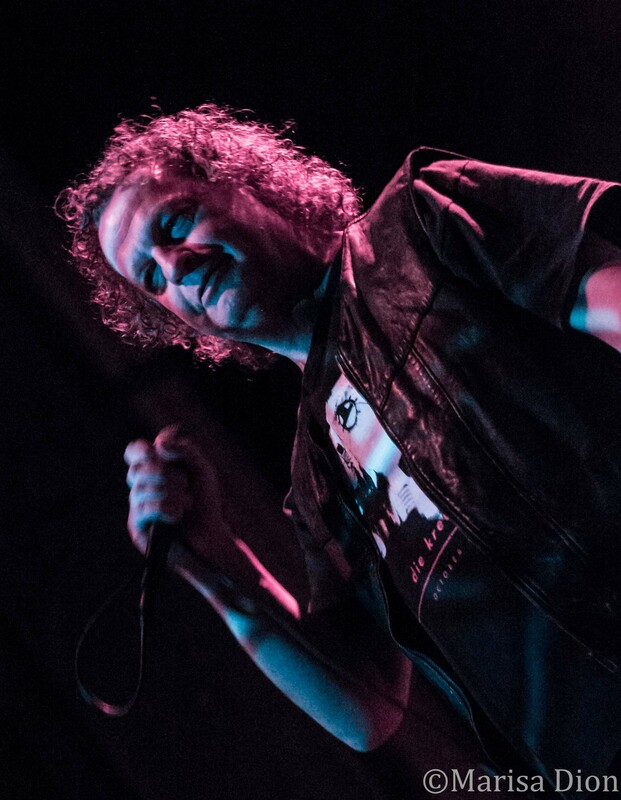 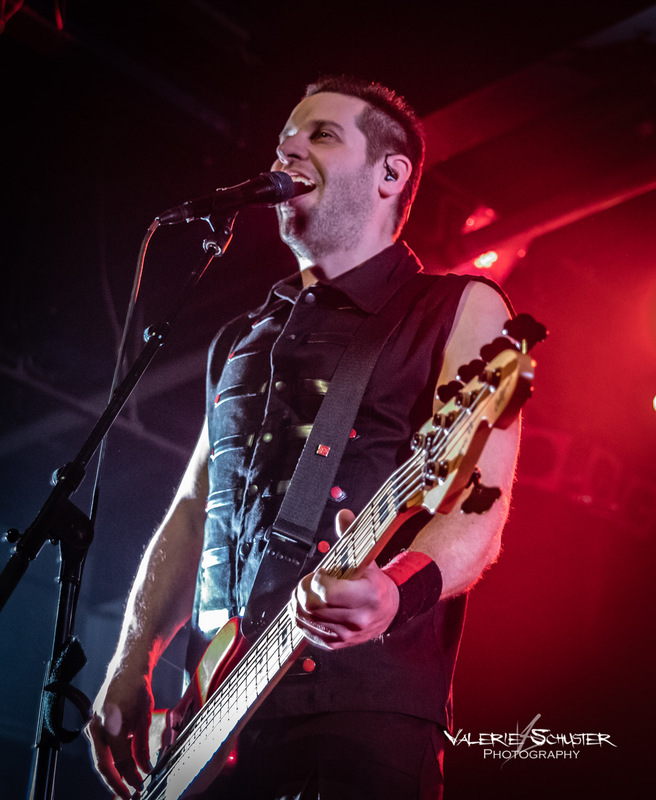 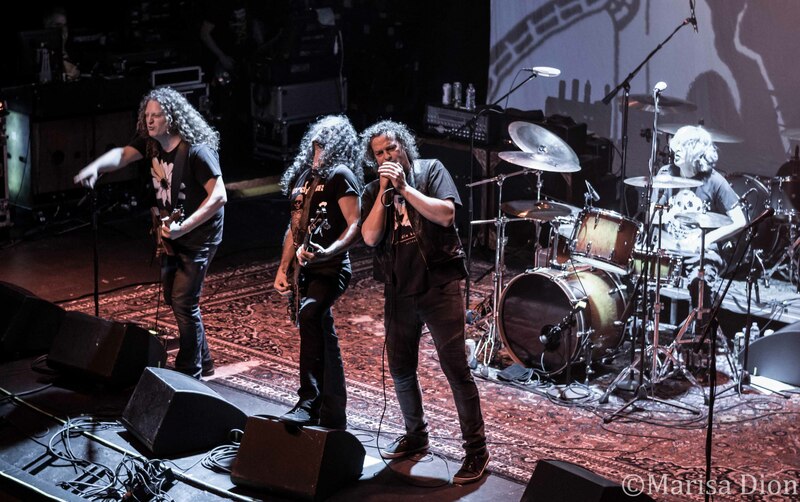 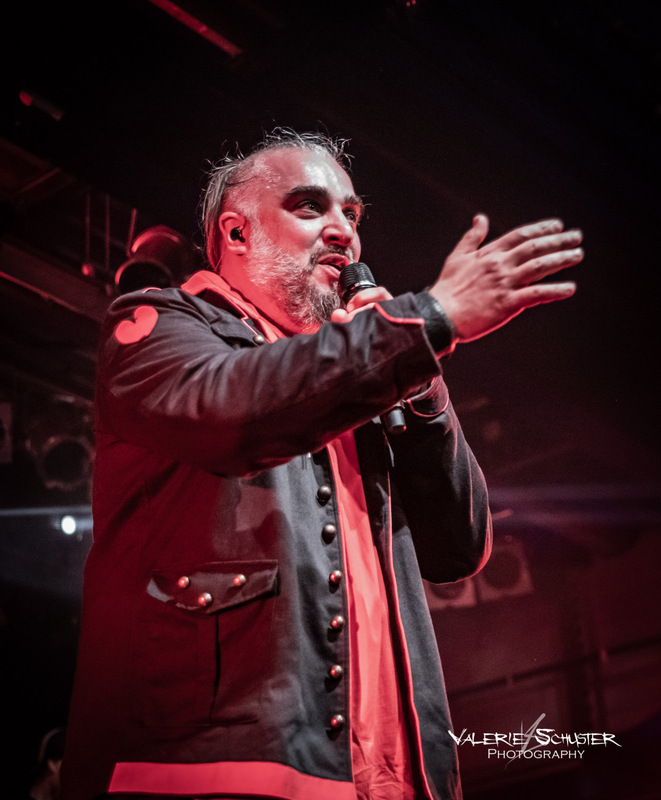 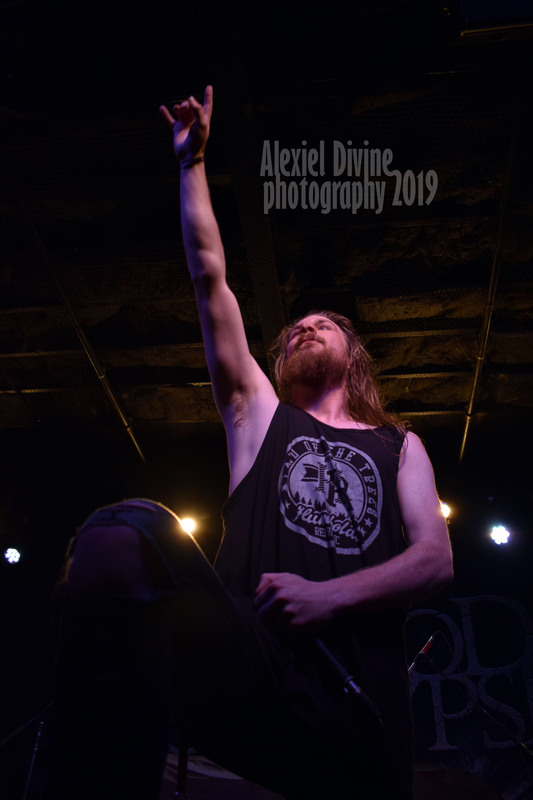 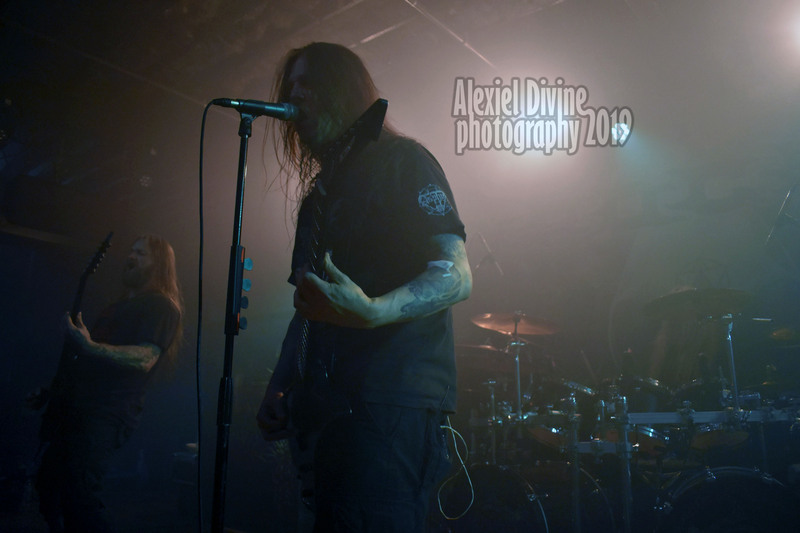 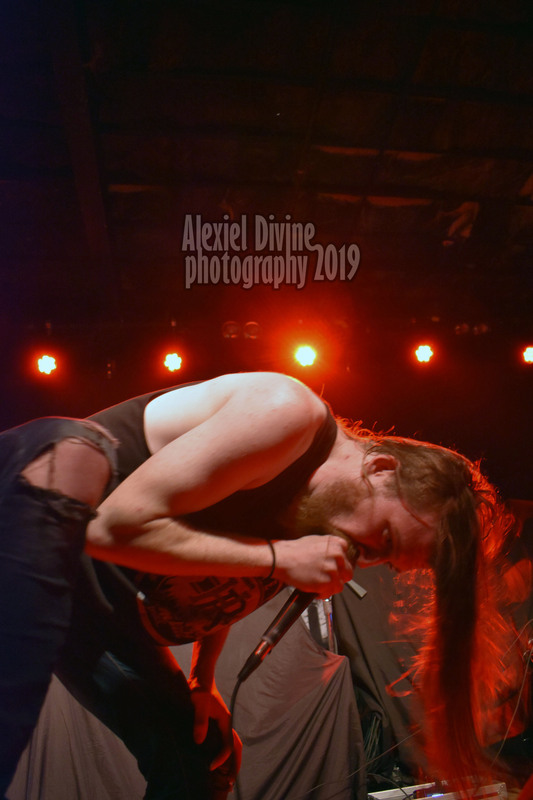 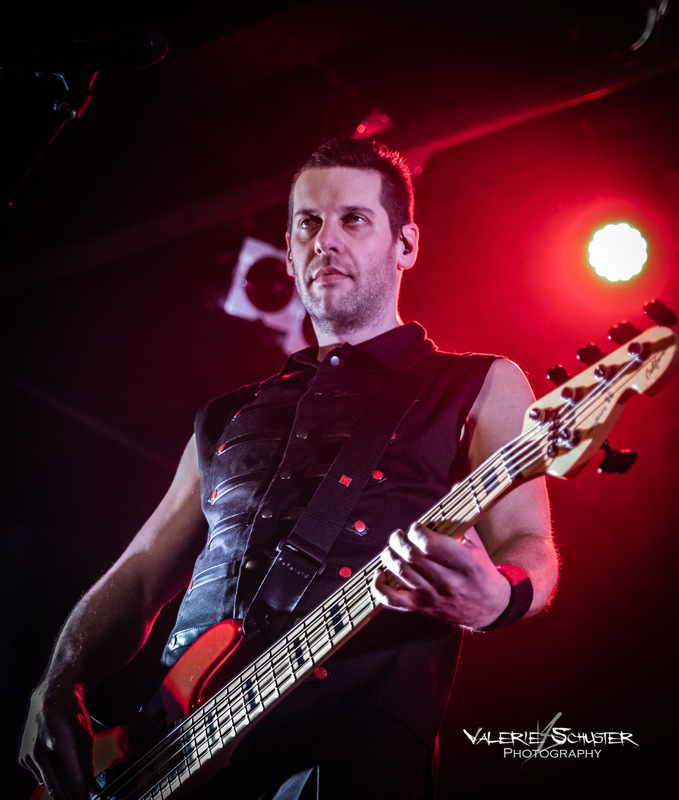 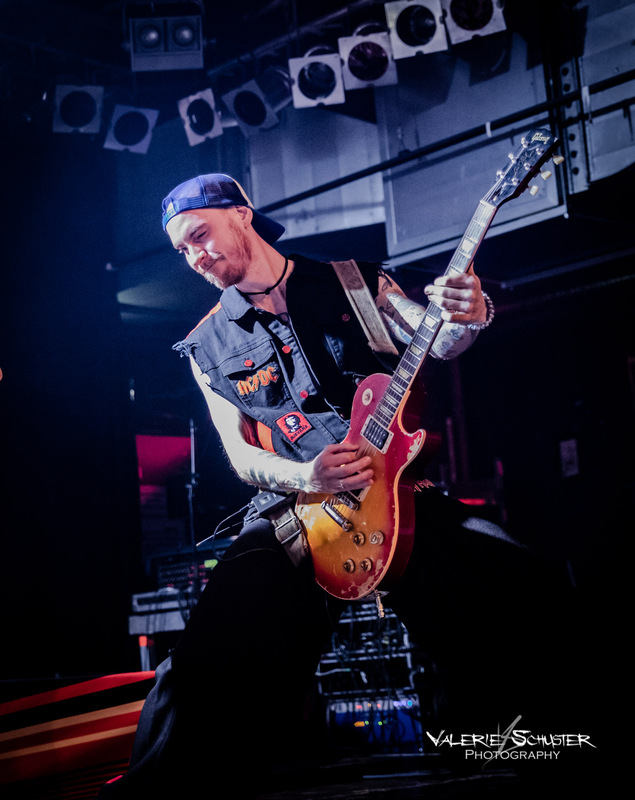 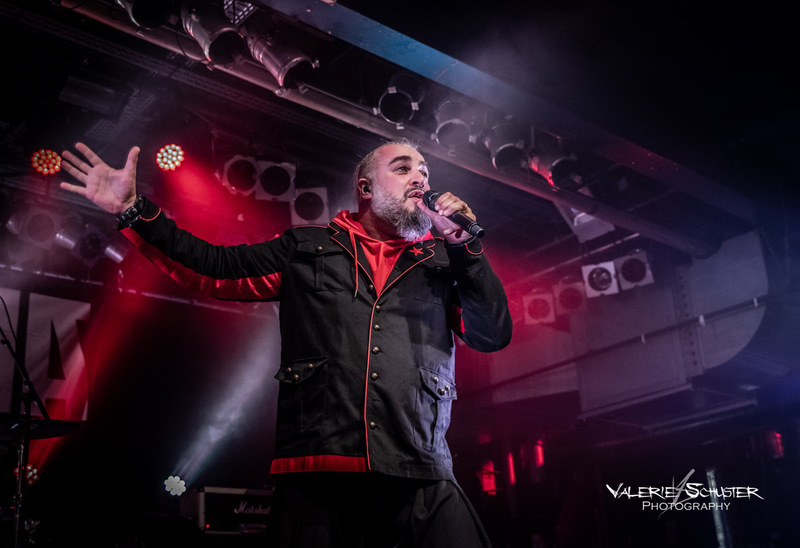 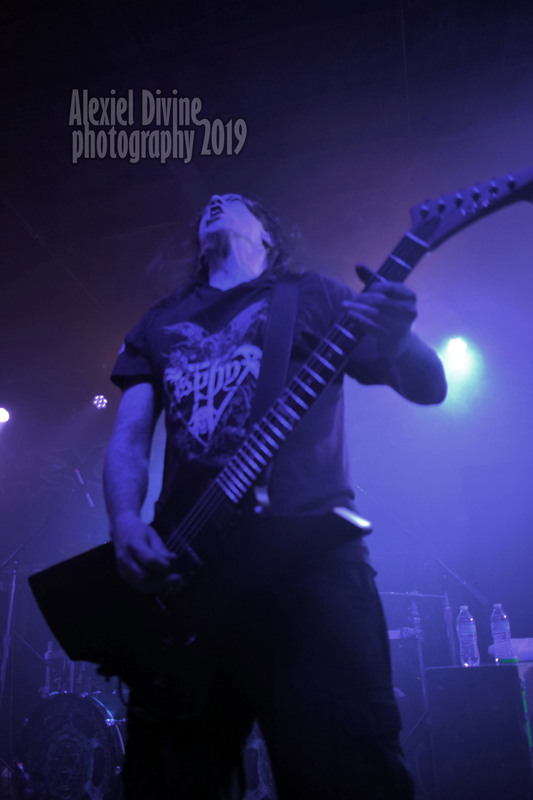 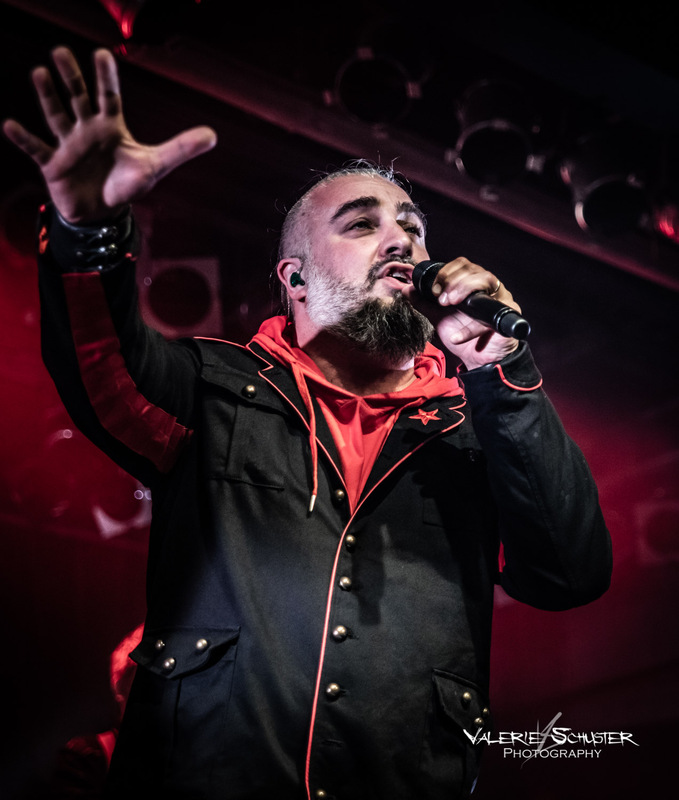 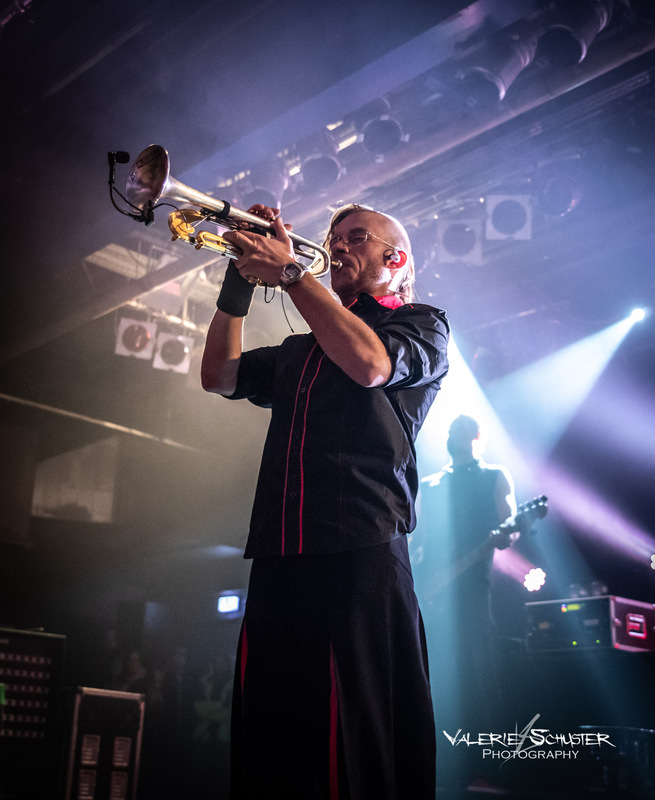 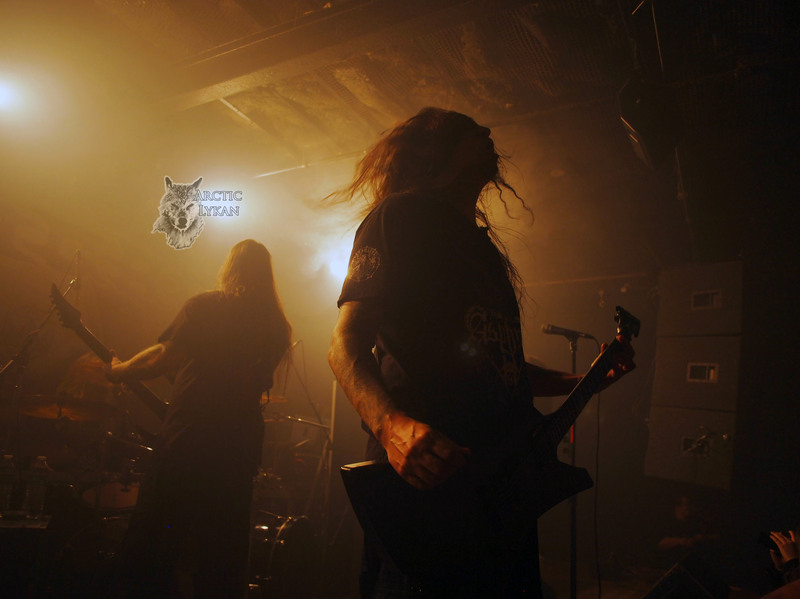 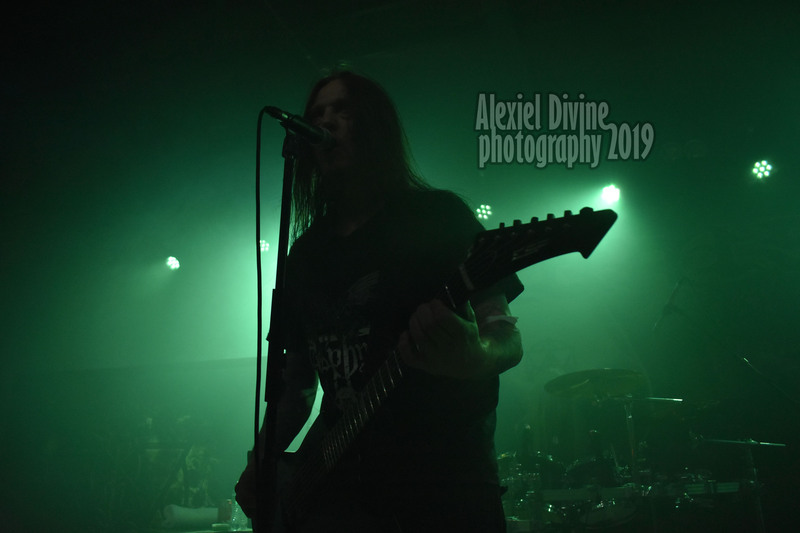 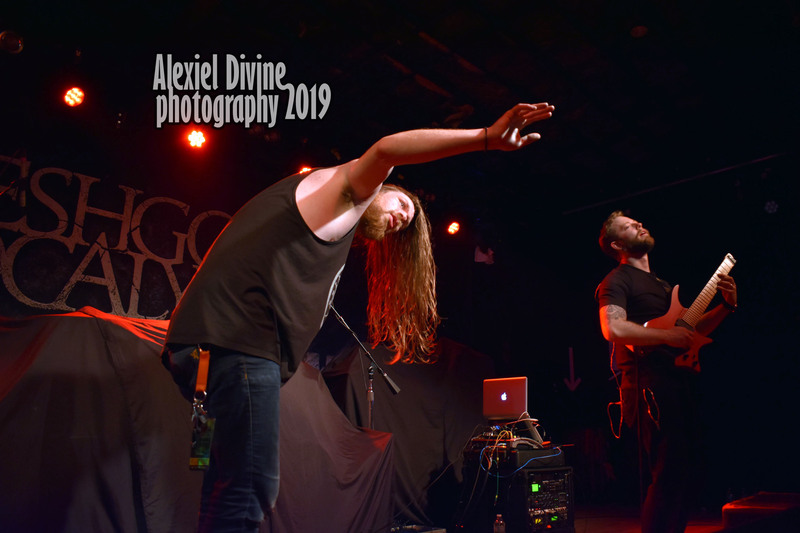 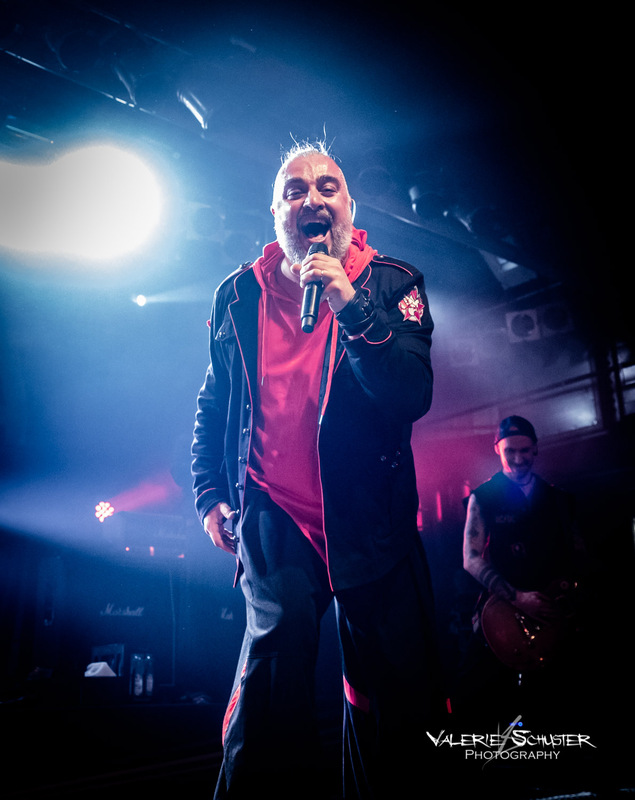 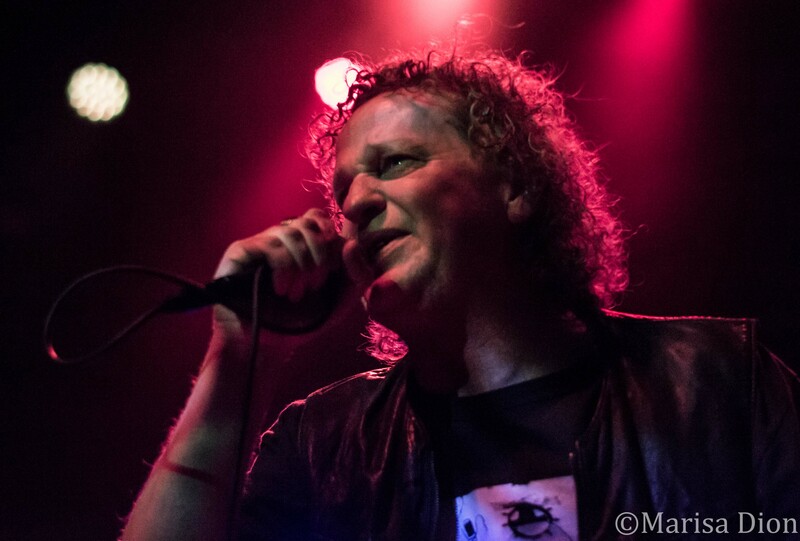 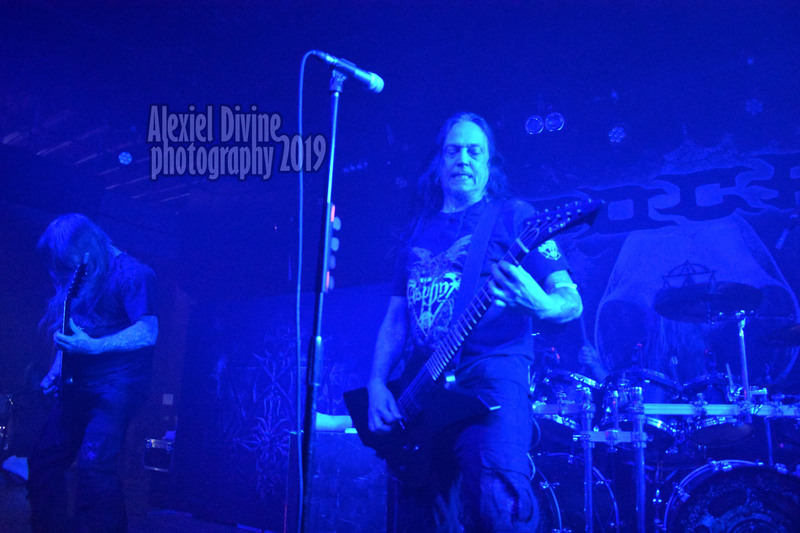 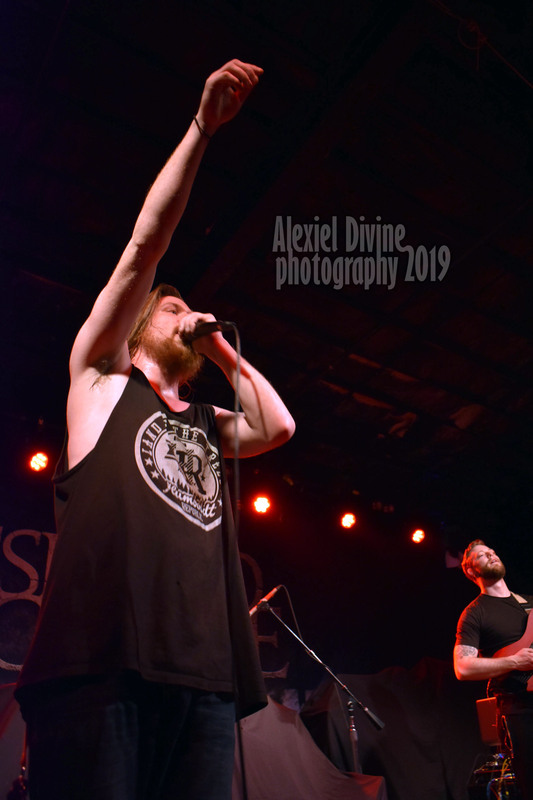 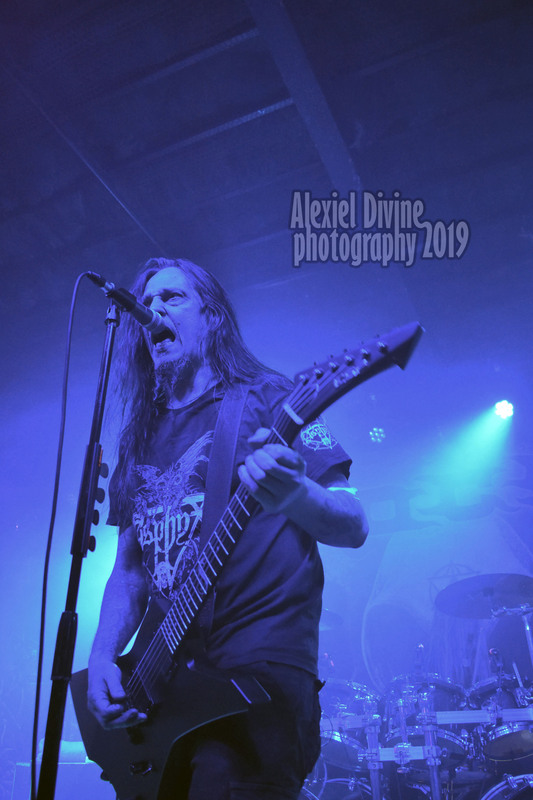 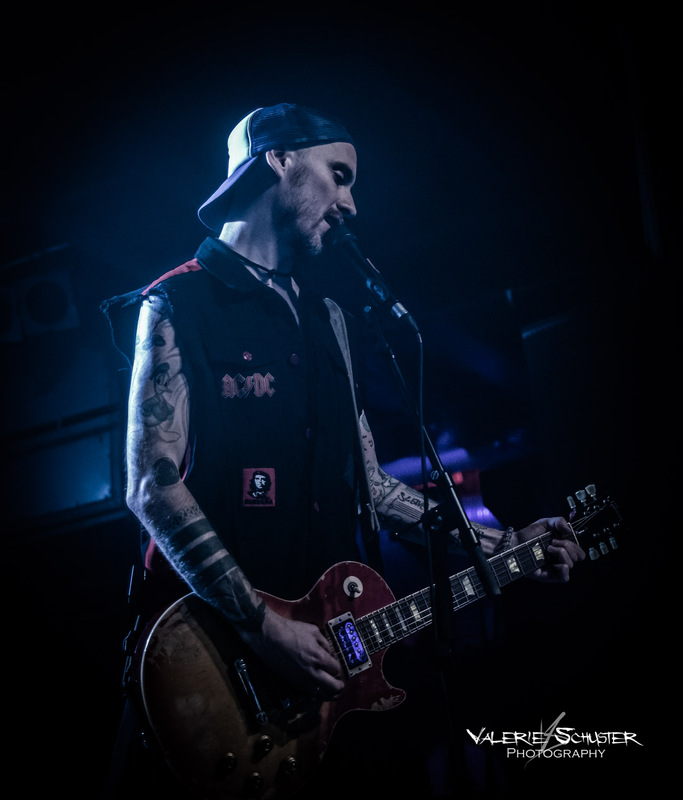 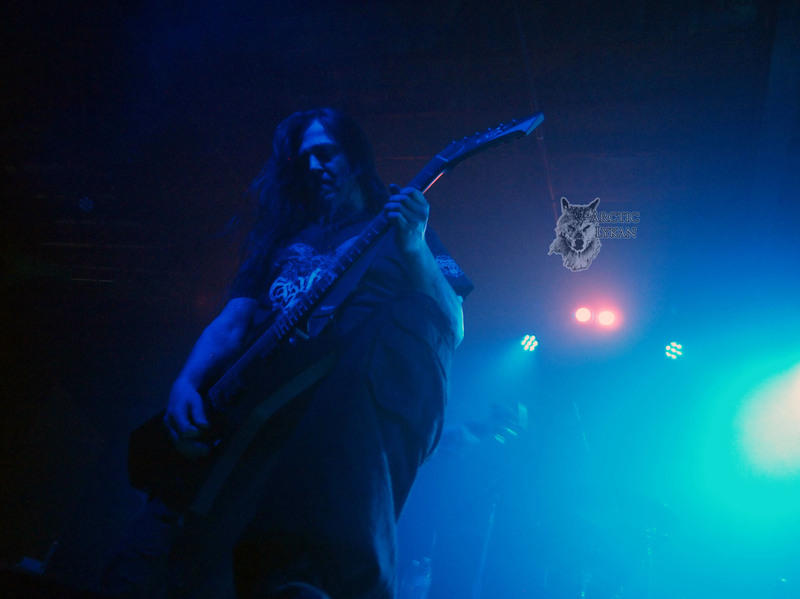 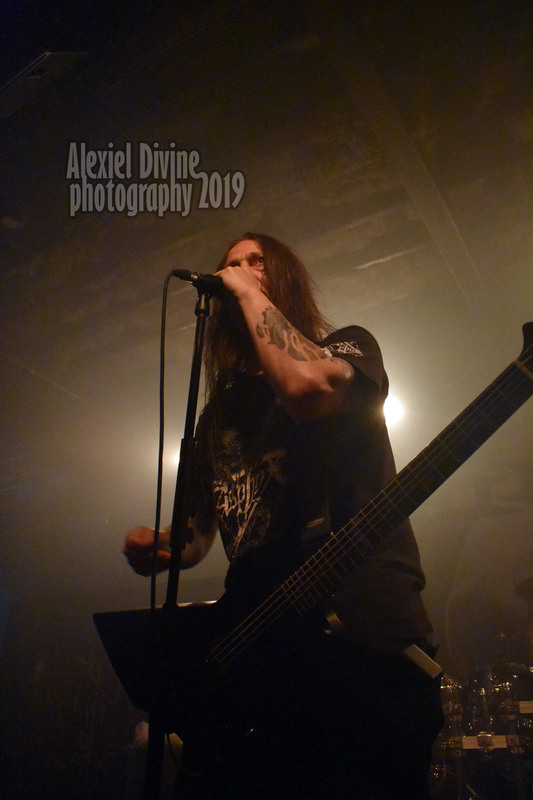 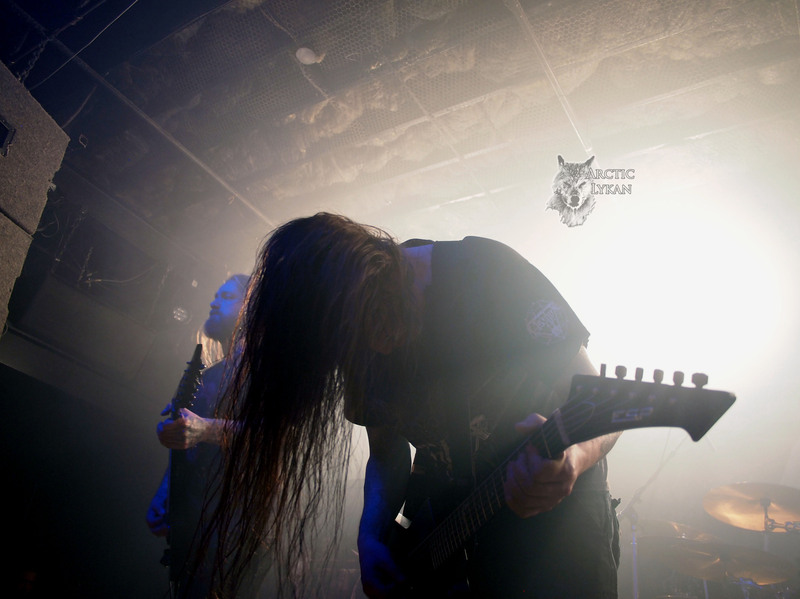 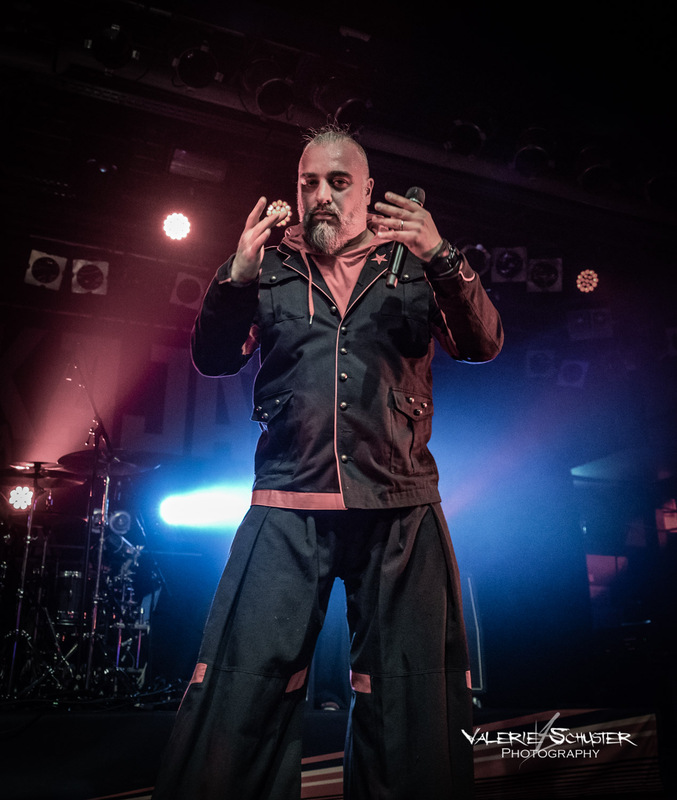 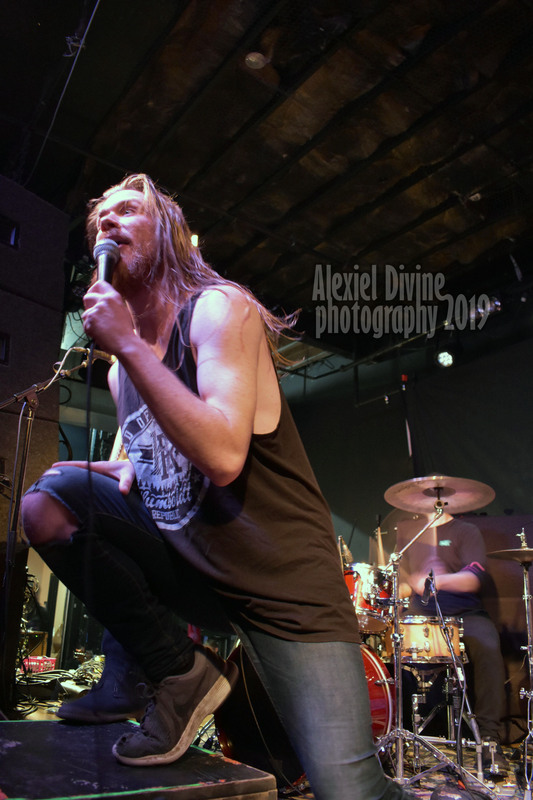 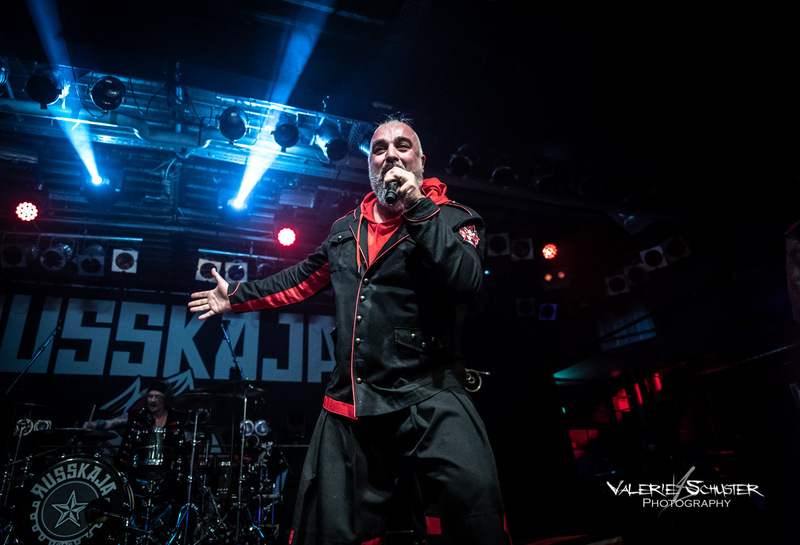 It all started back in 1992 and certainly Hypocrisy still hold an influential status in the current metal scene so it was not surprising to see such a large crowd of loyal fans at Bottom Lounge in Chicago. 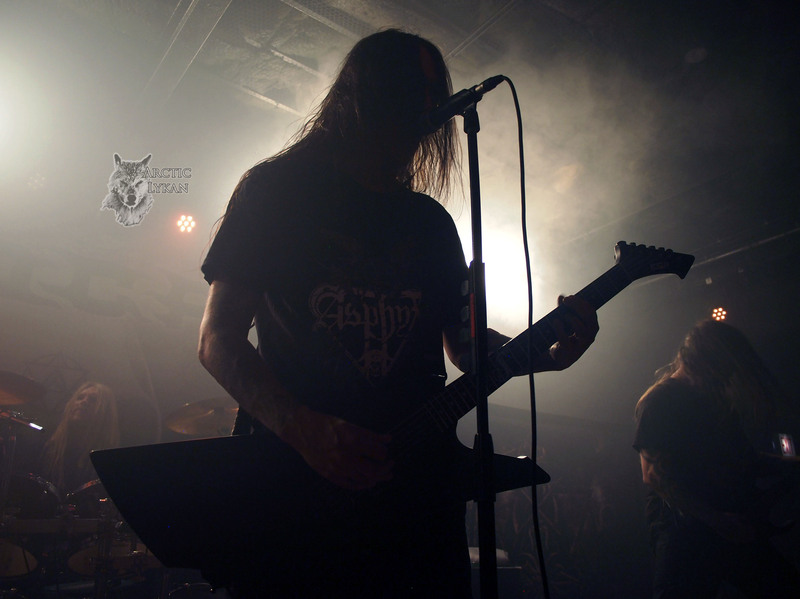 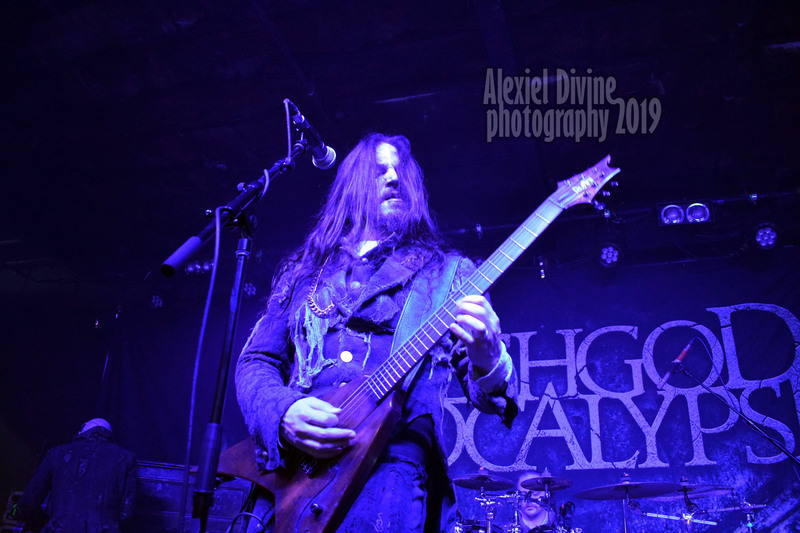 Hypocrisy chose a setlist that definitely represents their signature blend of fast & heavy death metal grooves and darkly melodic depth ranging from the classic tracks “Fractured Millennium”, “The Final Chapter” and “Into The Abyss” to the most recent “End Of Disclosure”. 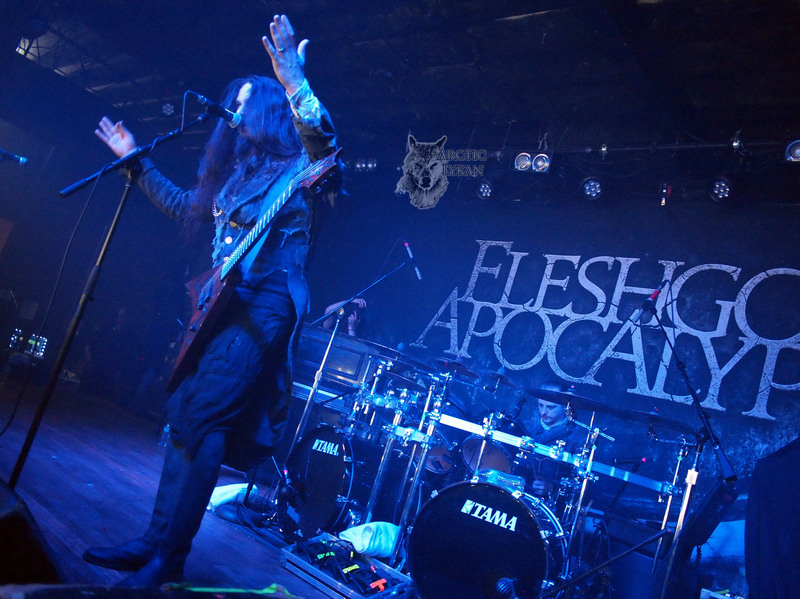 It’s an exciting time for Italian orchestral death metal masters Fleshgod Apocalypse as the highly anticipated 5th album “Veleno” will be released on May 24th via Nuclear Blast and they are currently co-headlining the massive “Death …Is Just The Beginning” North American Tour with legendary Hypocrisy. 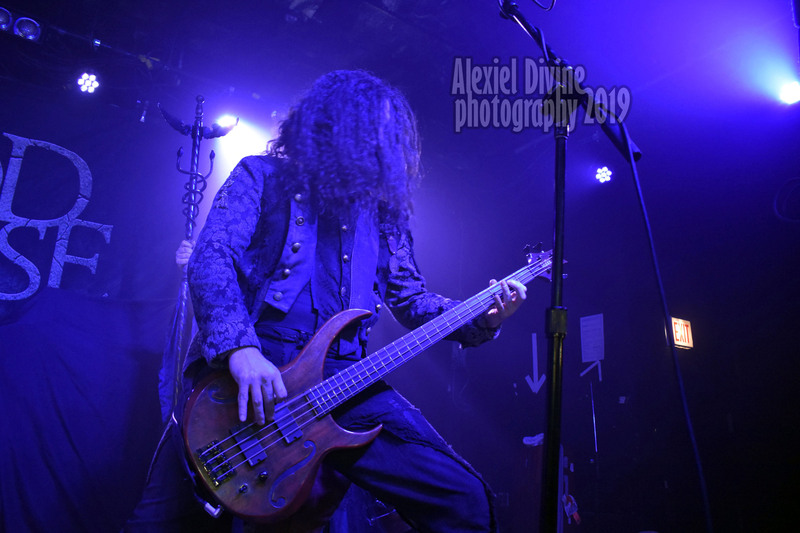 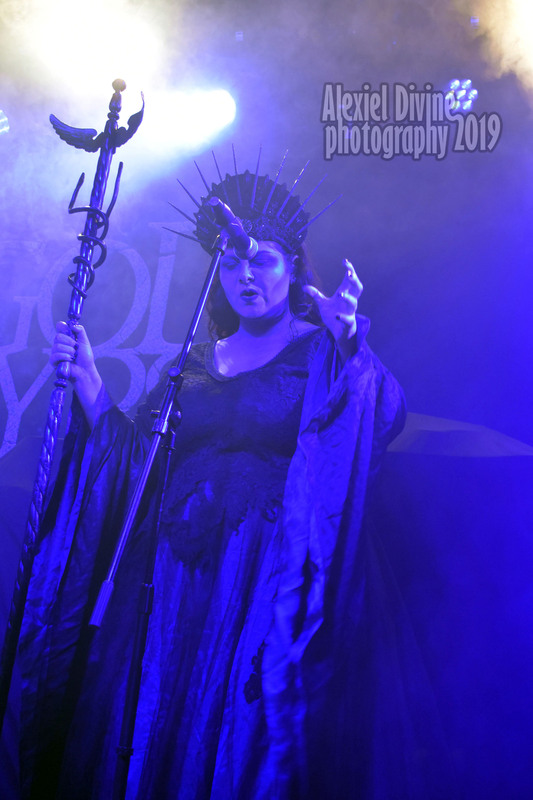 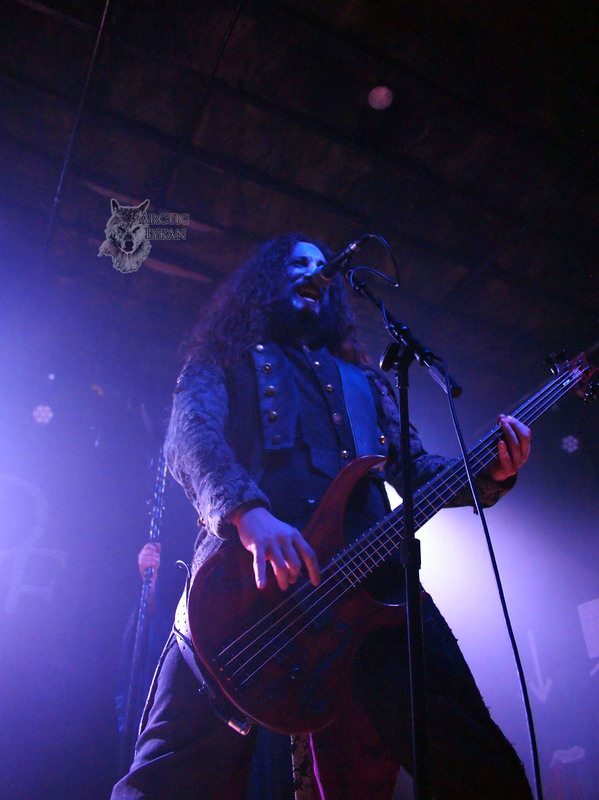 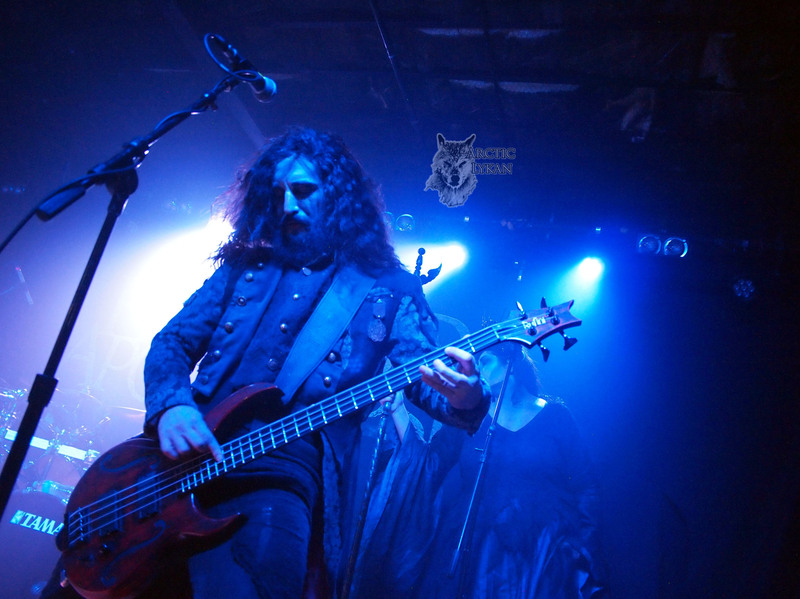 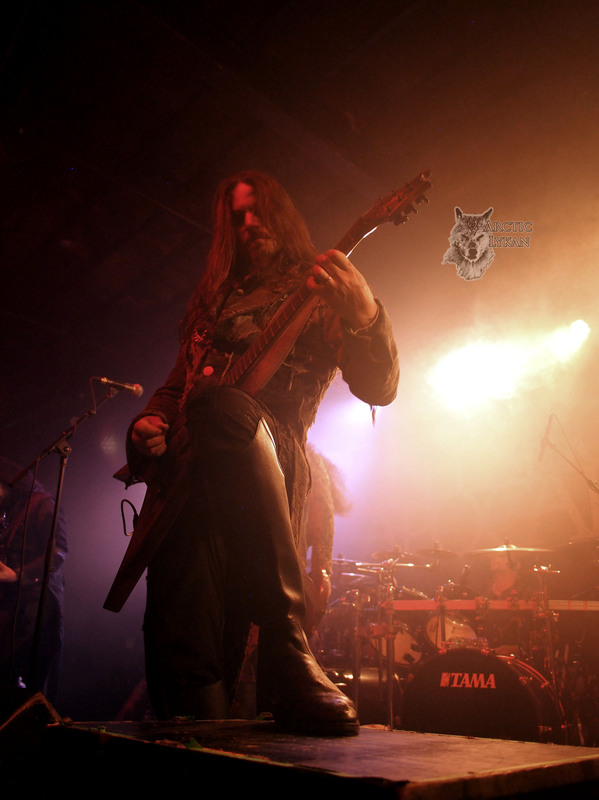 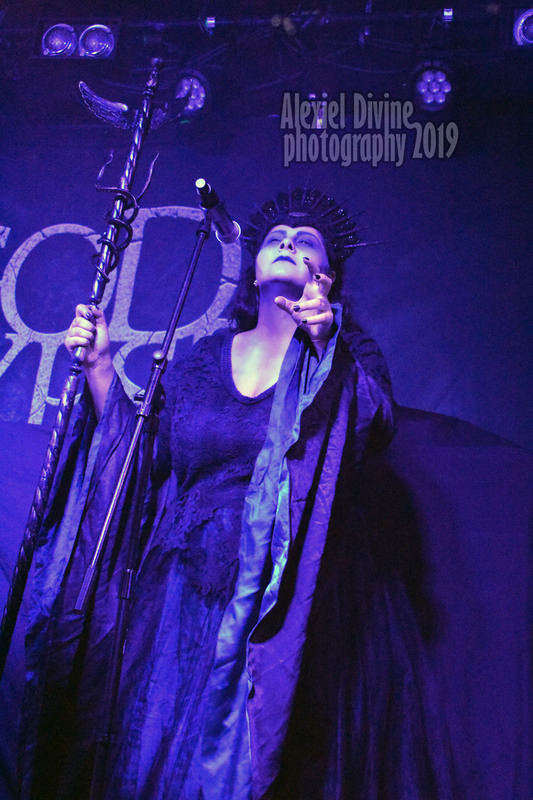 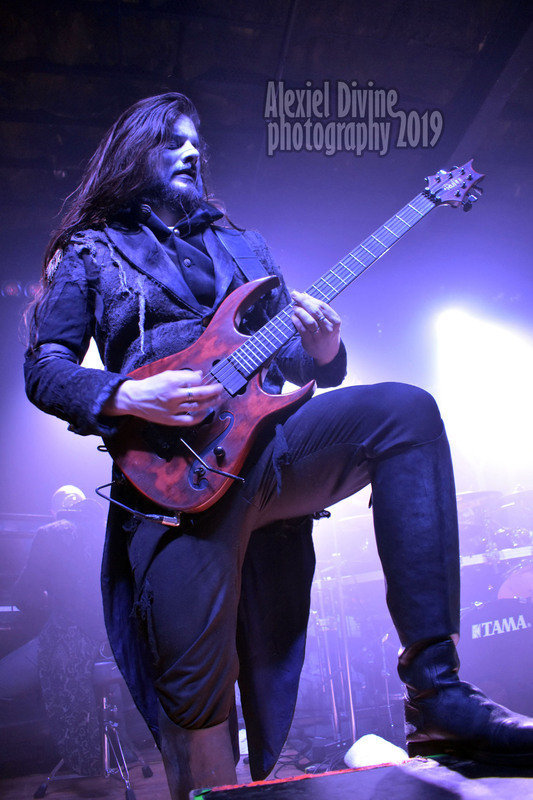 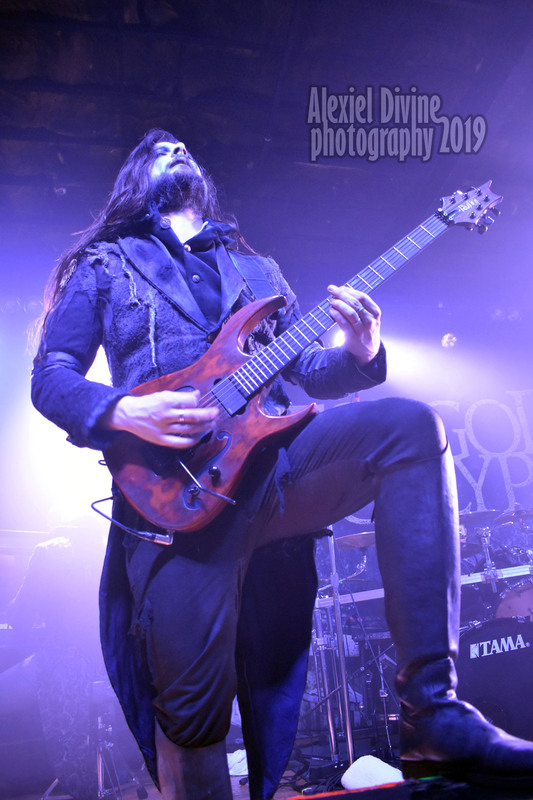 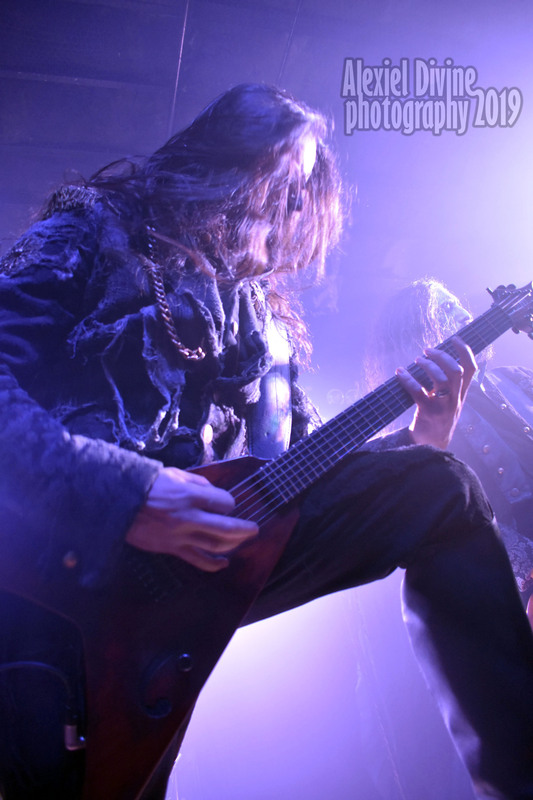 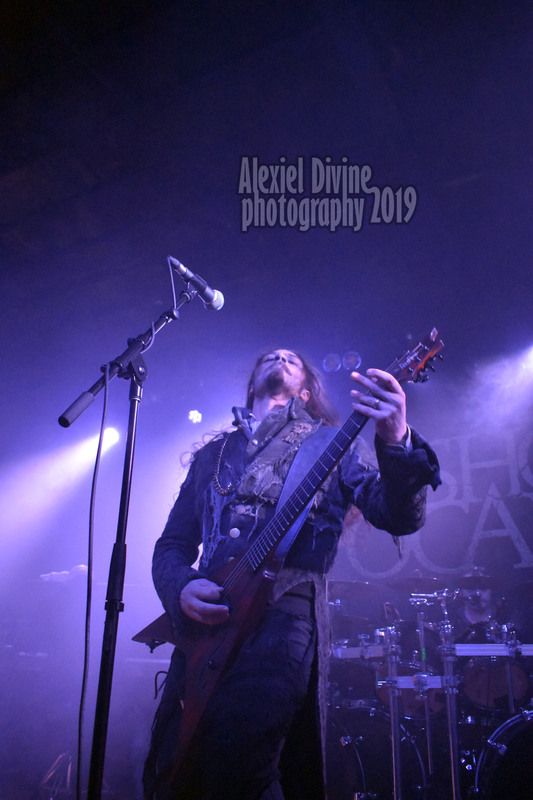 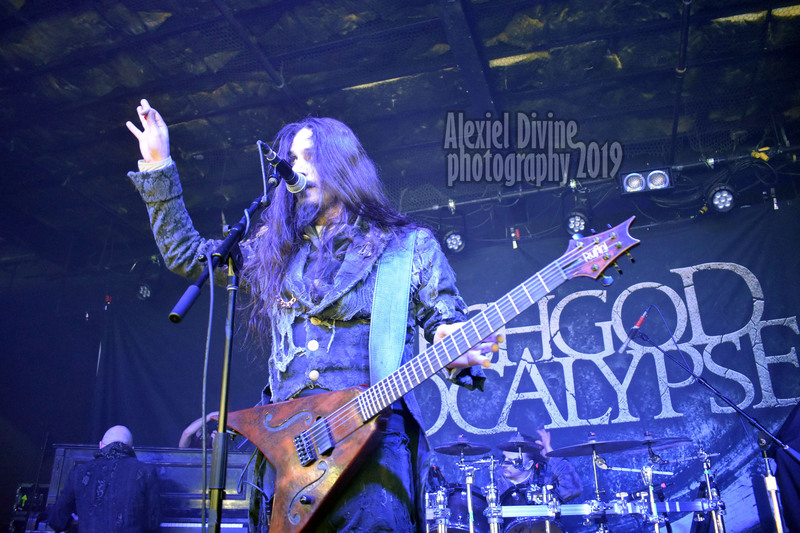 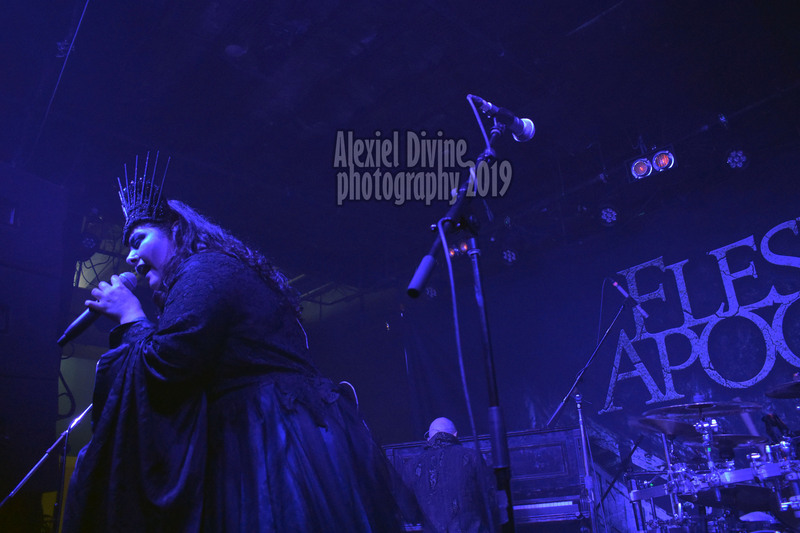 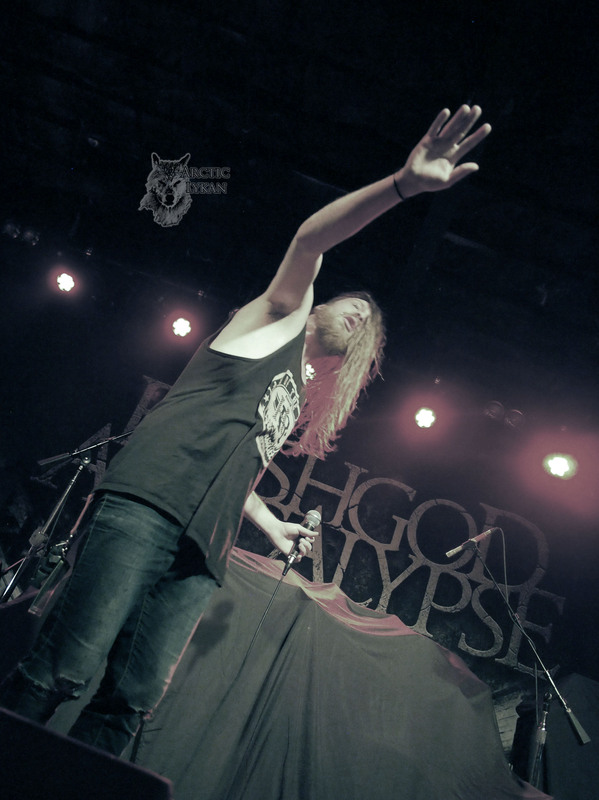 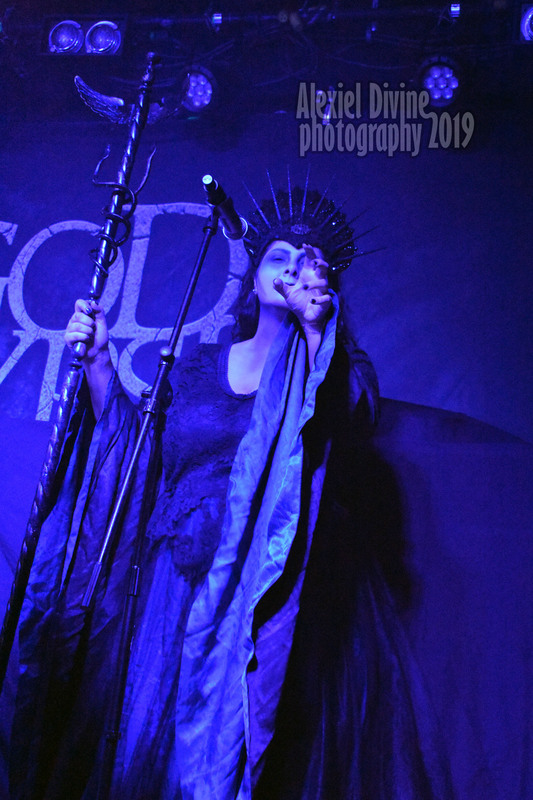 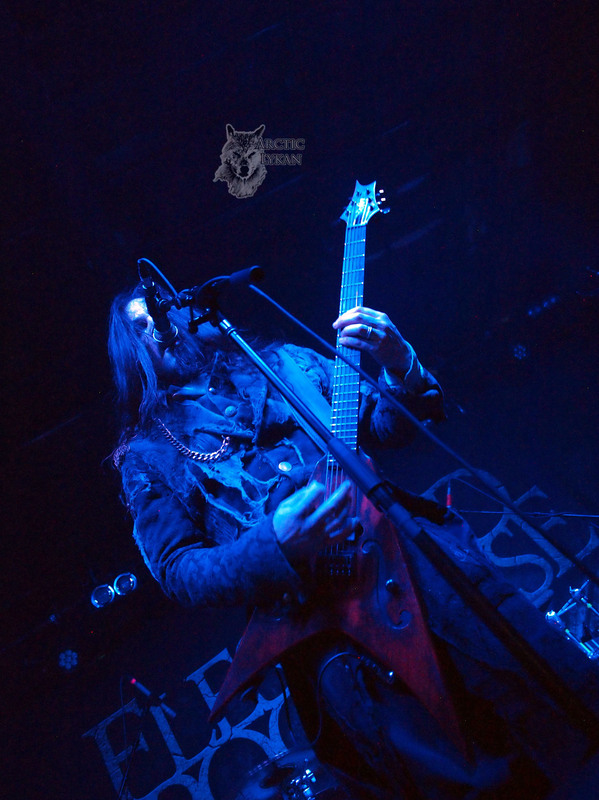 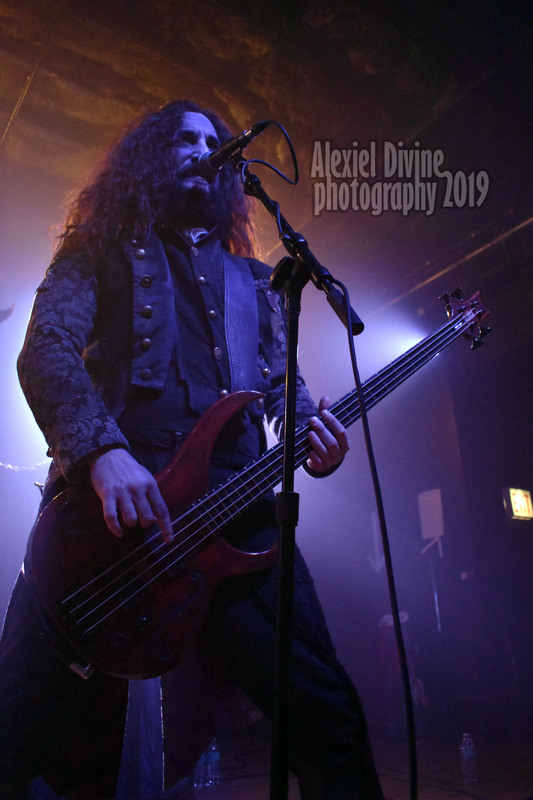 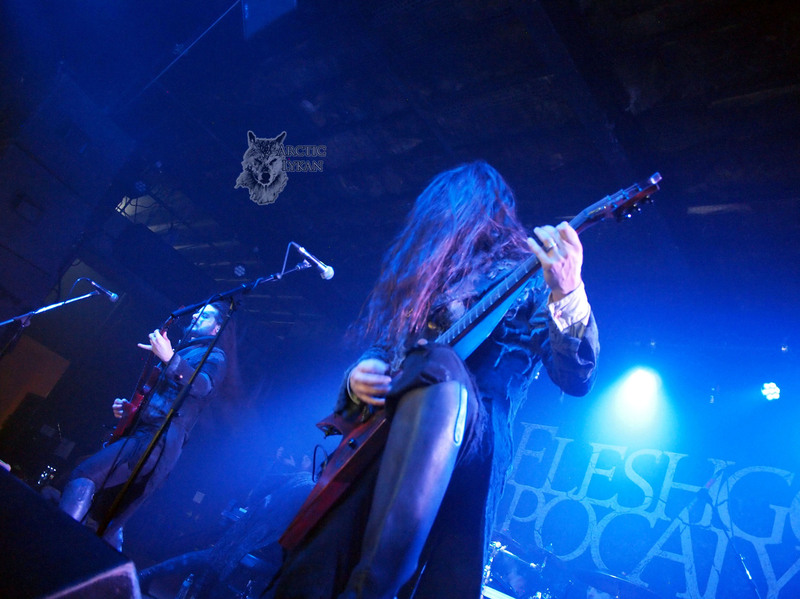 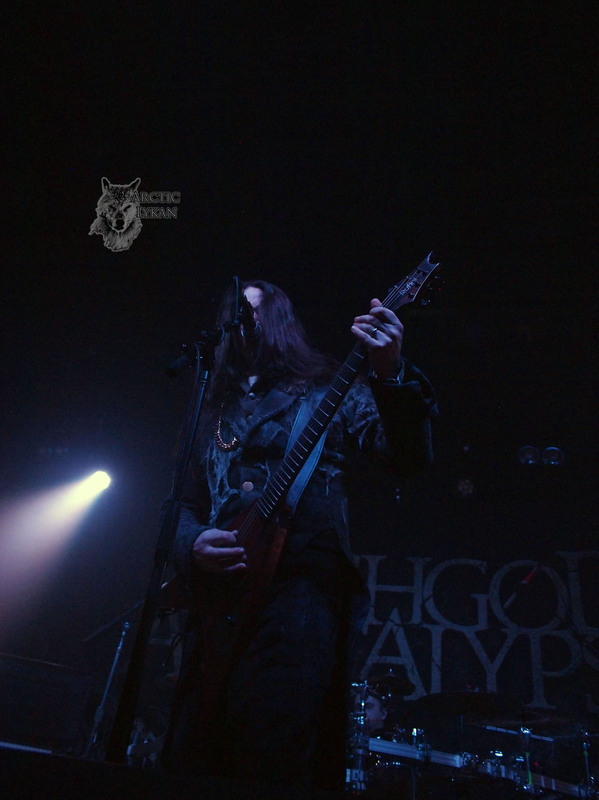 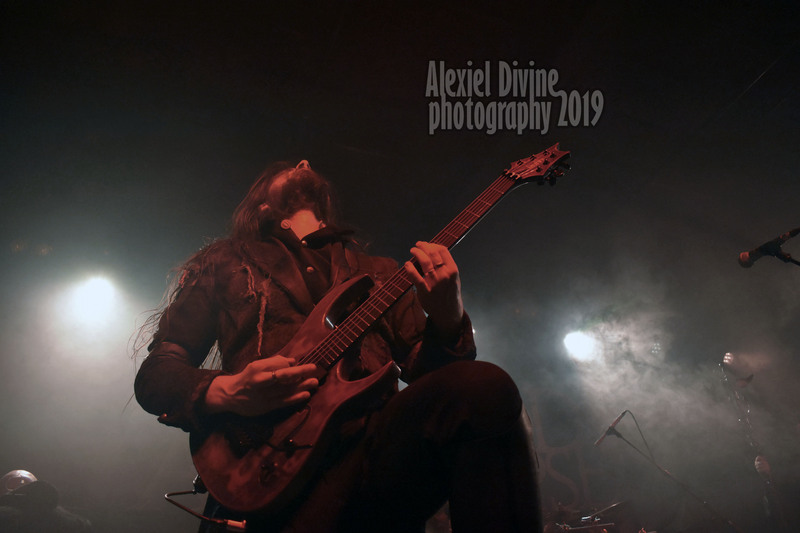 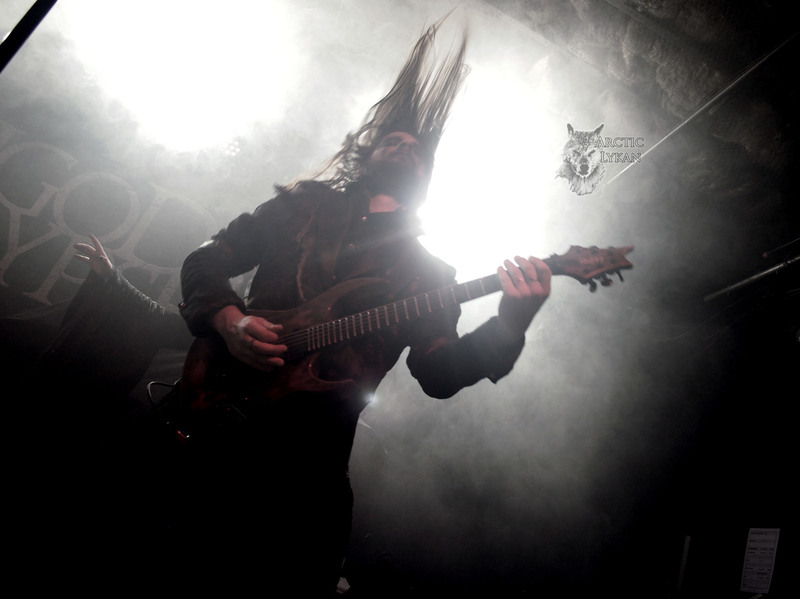 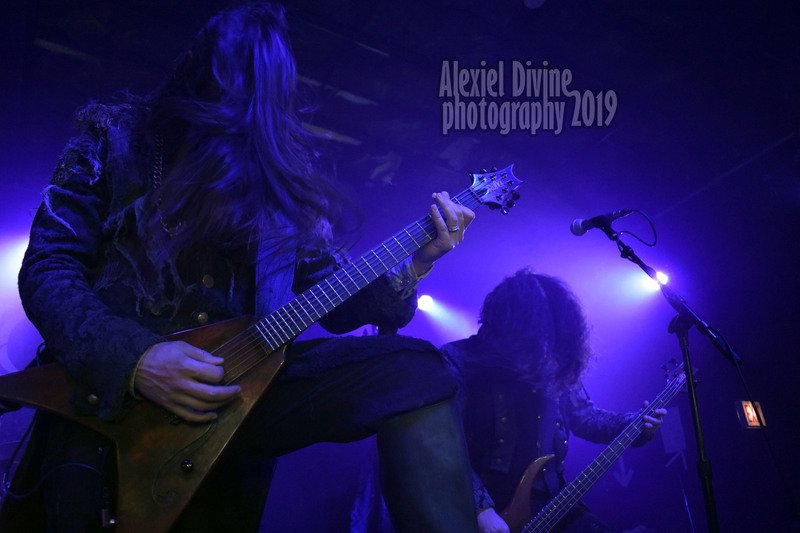 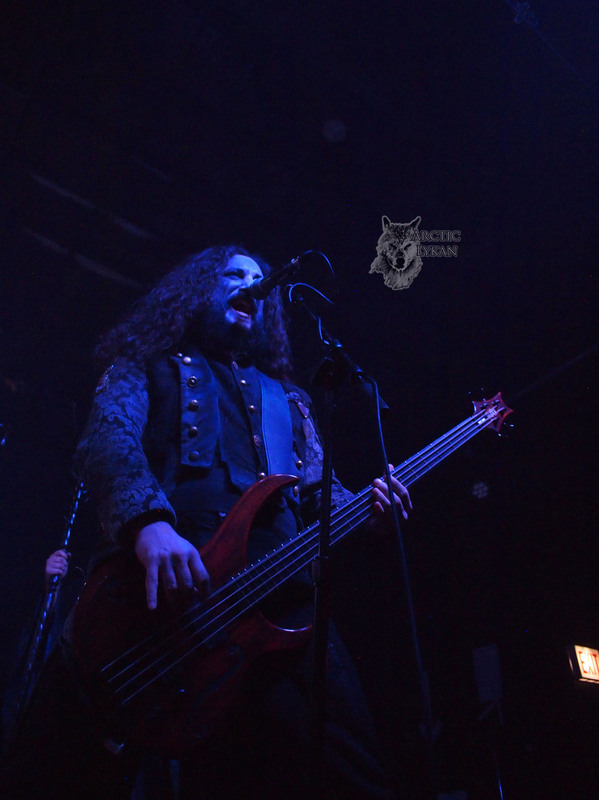 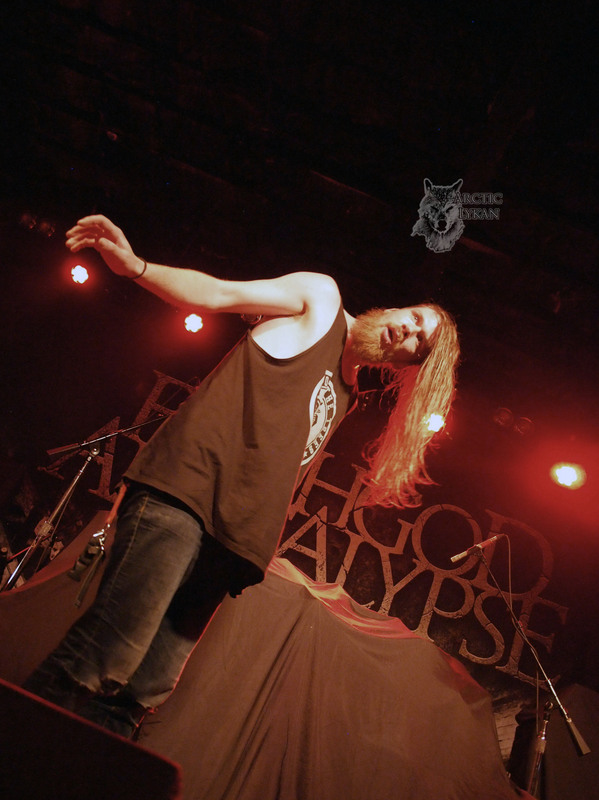 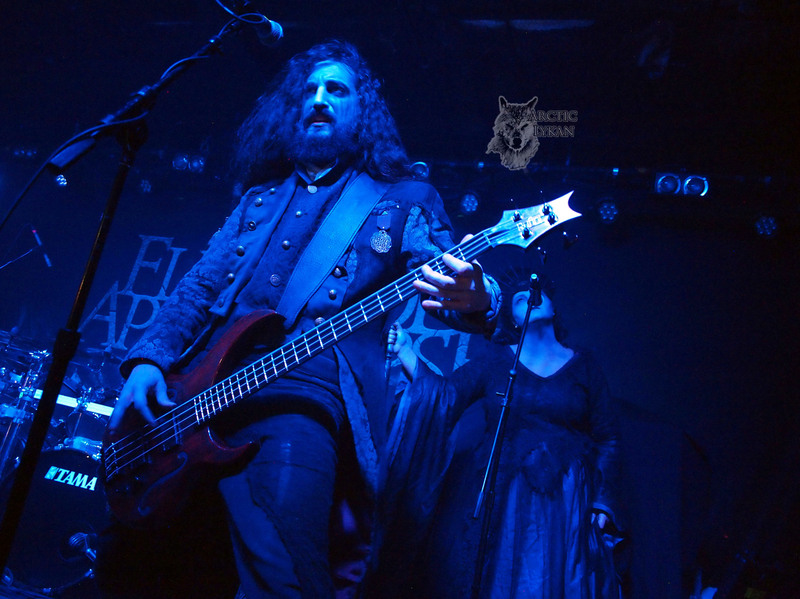 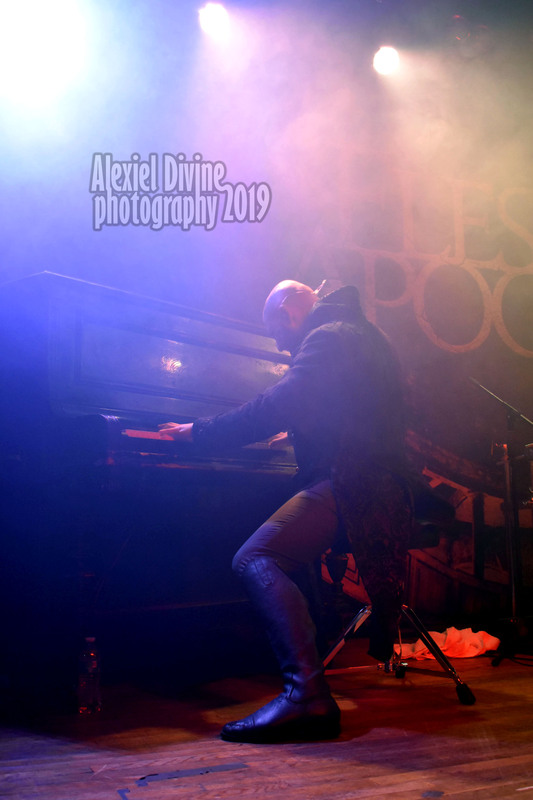 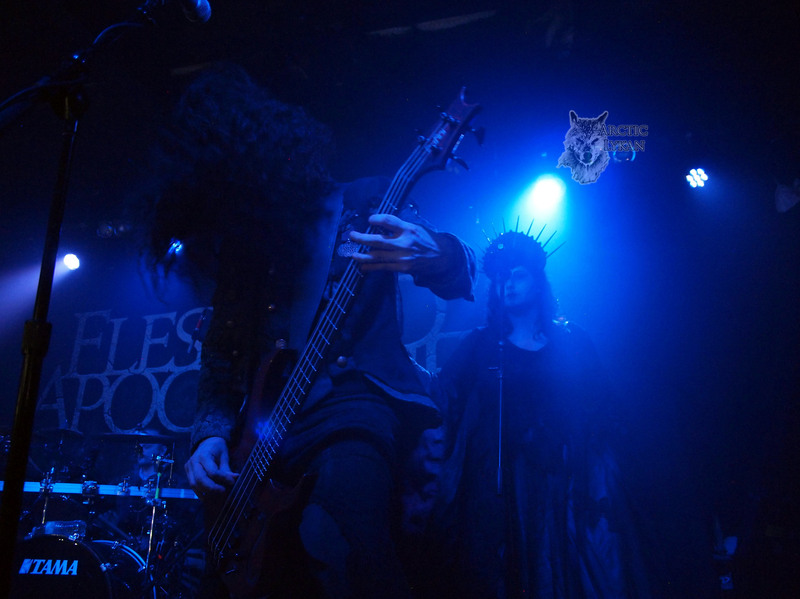 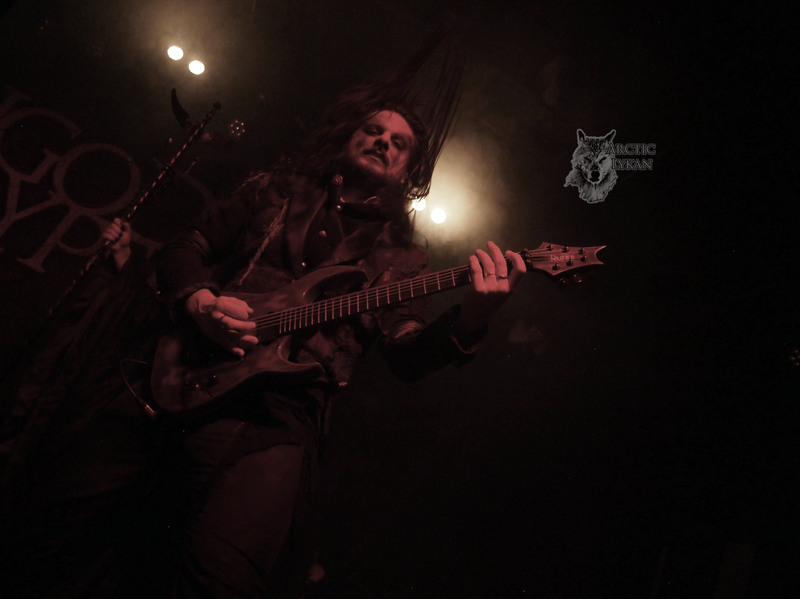 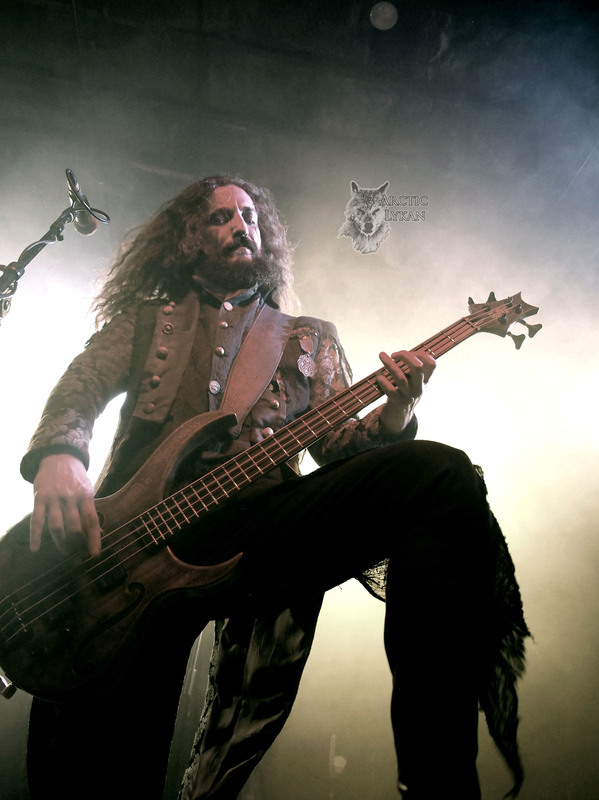 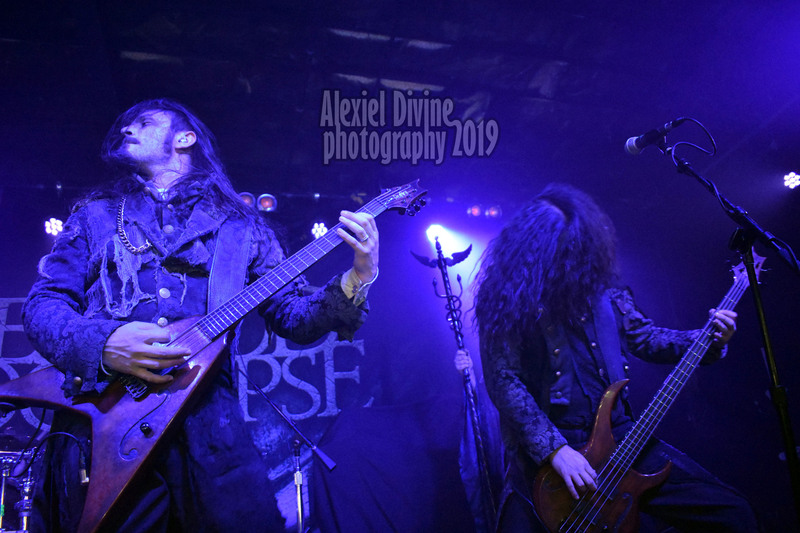 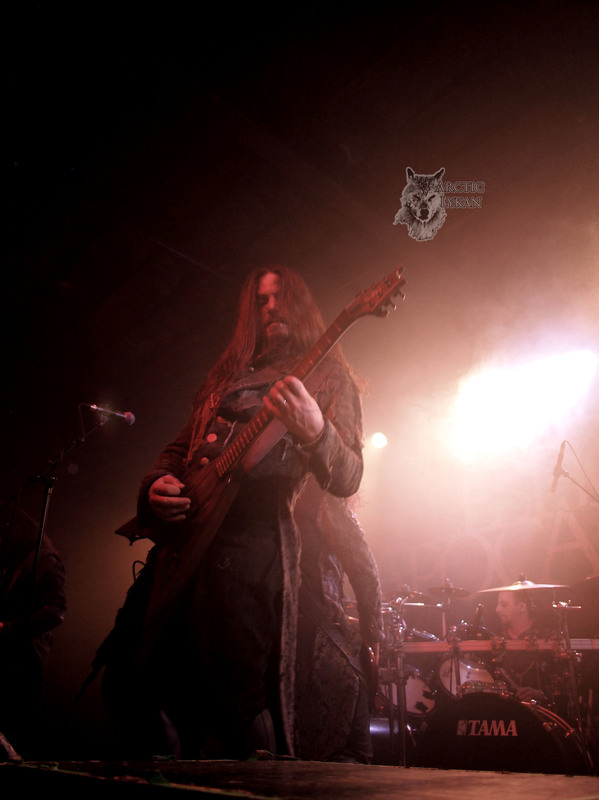 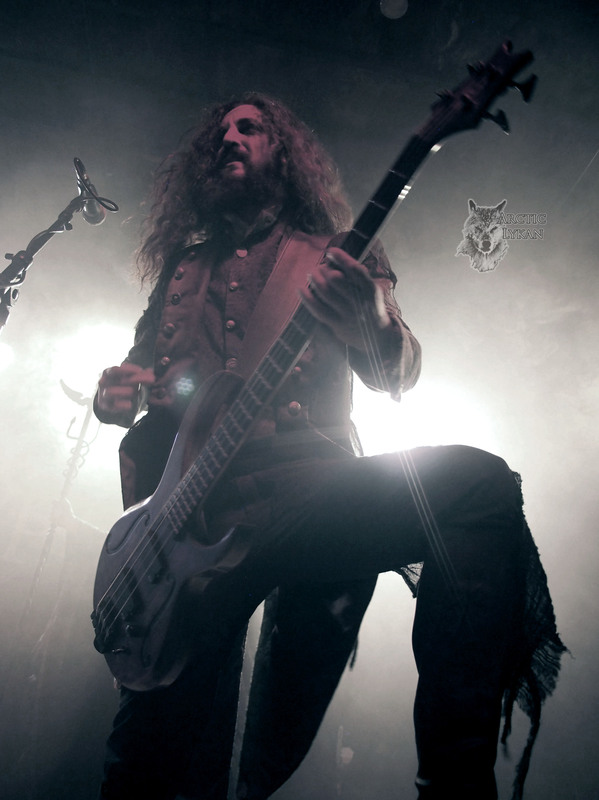 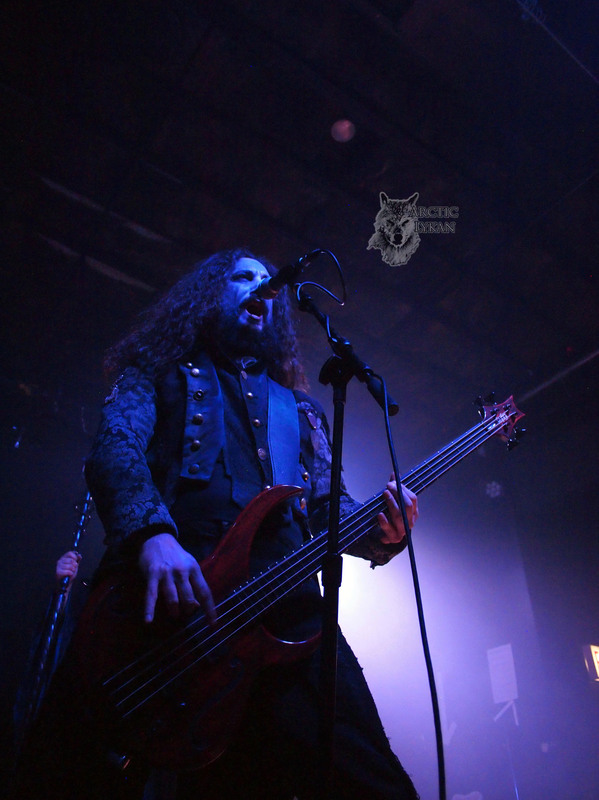 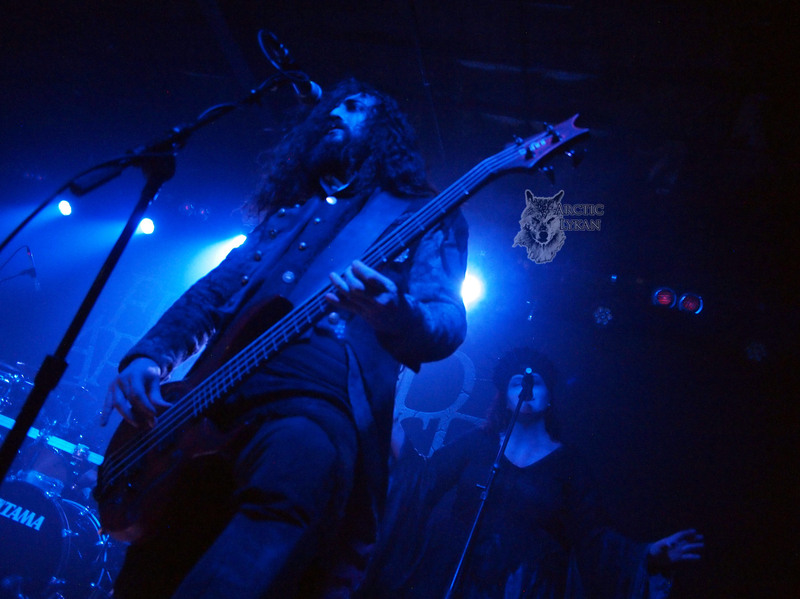 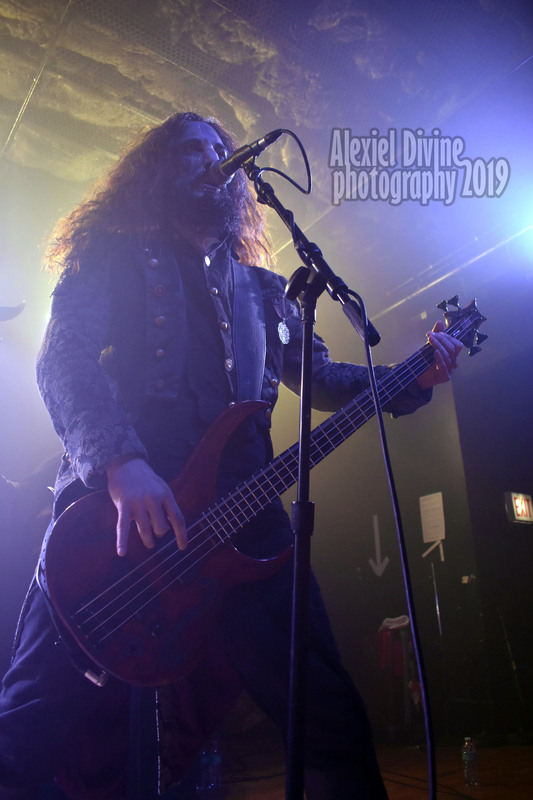 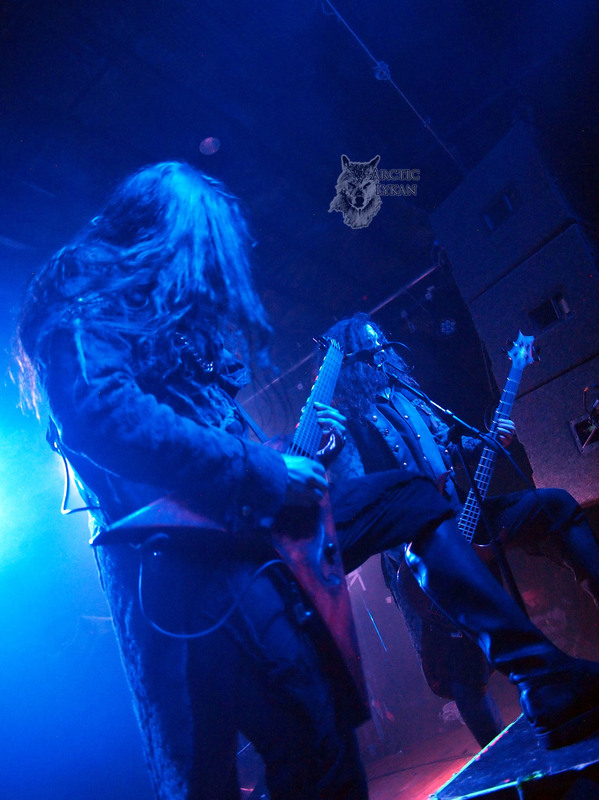 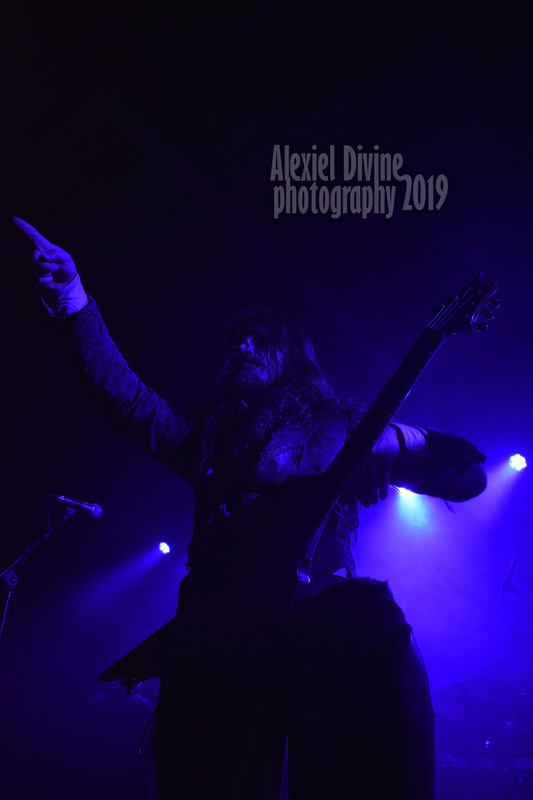 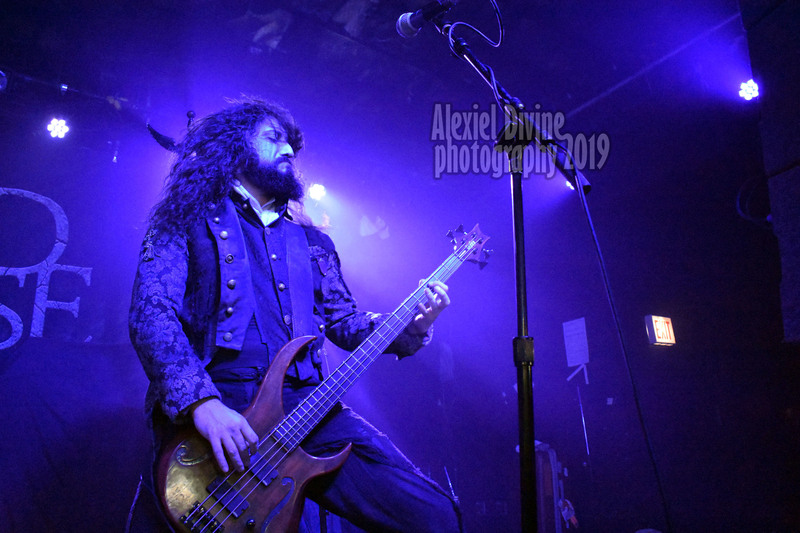 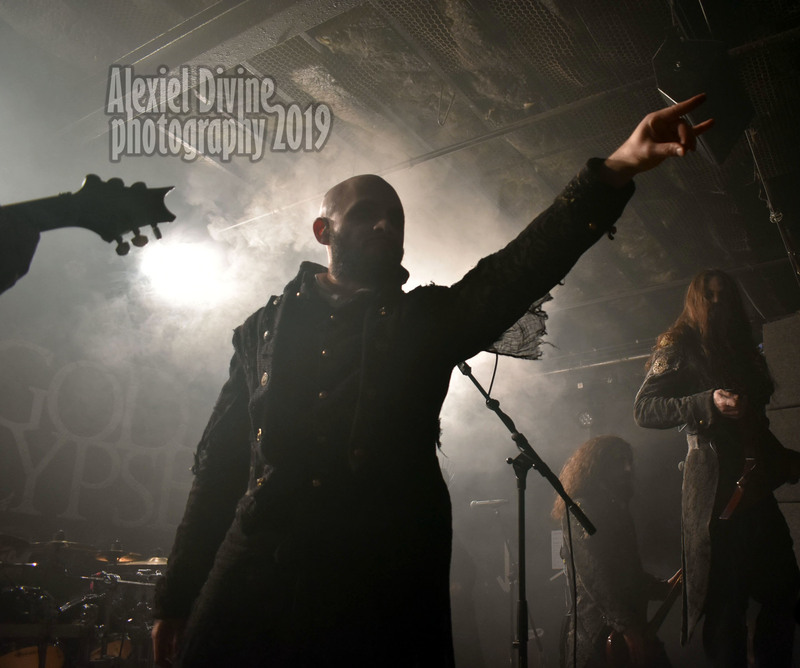 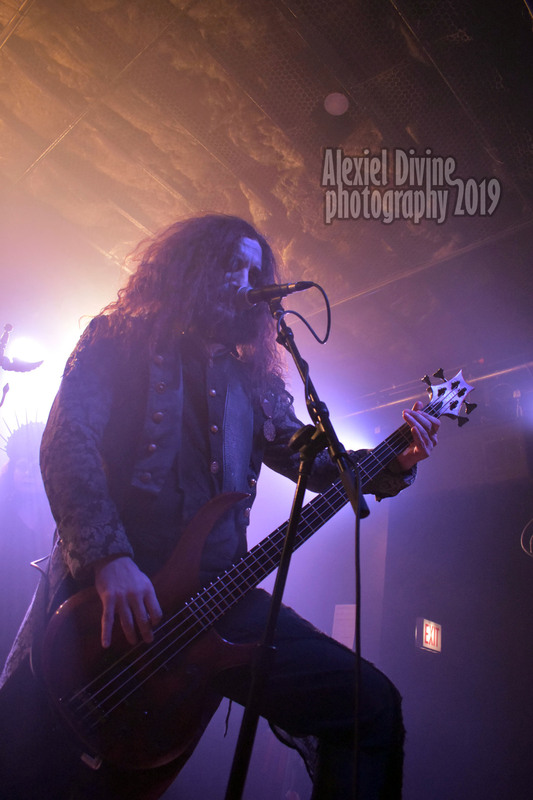 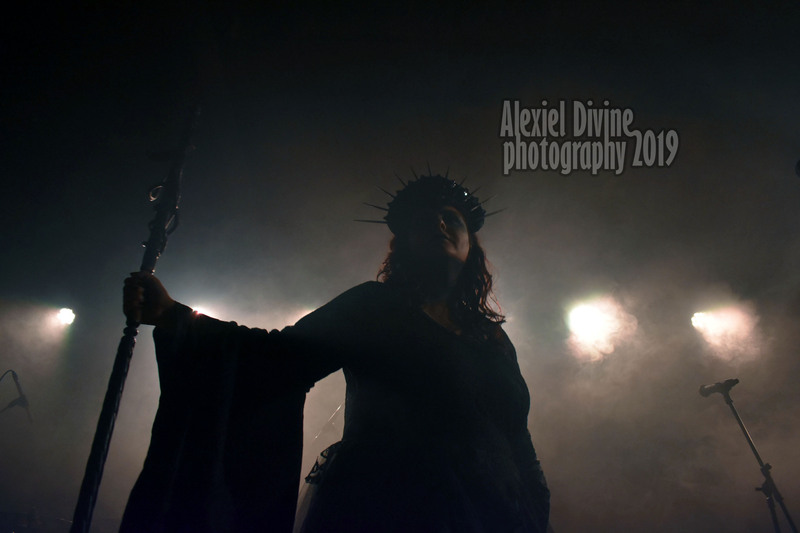 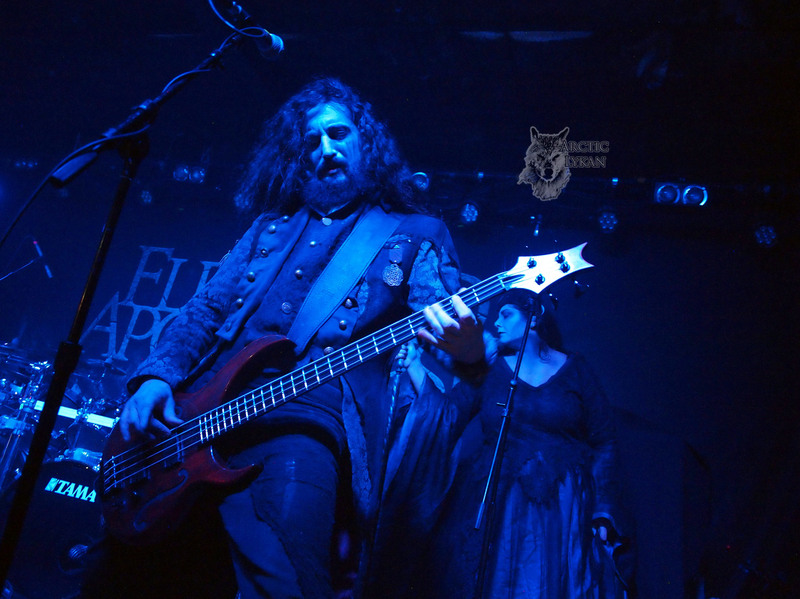 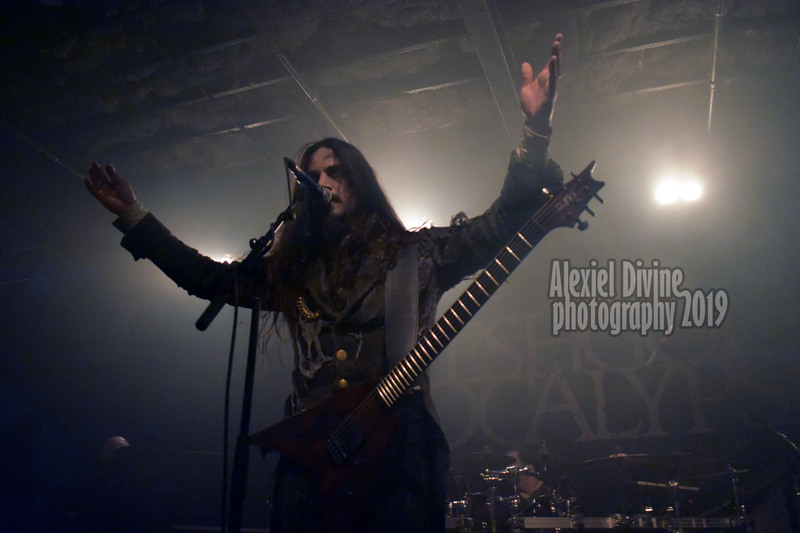 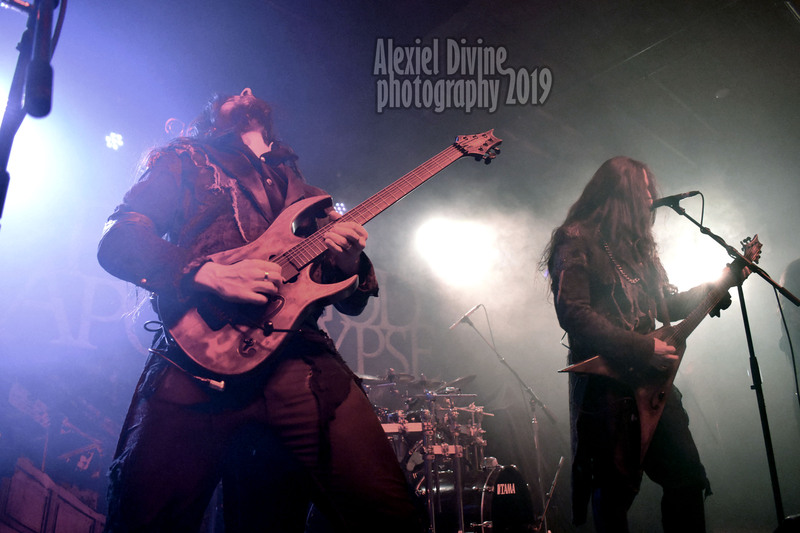 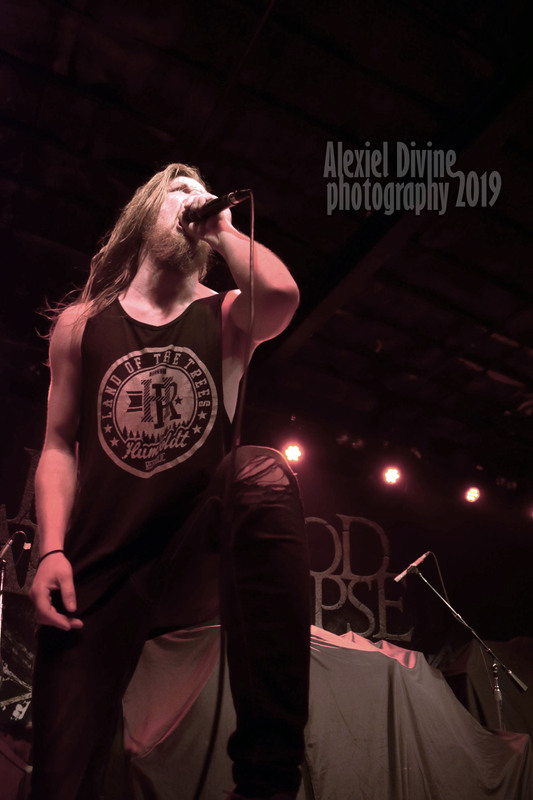 Fleshgod Apocalypse undoubtedly have already a huge fanbase in North America as proved by the love and appreciation that the crowd expressed during their memorable live performance at Bottom Lounge in Chicago. 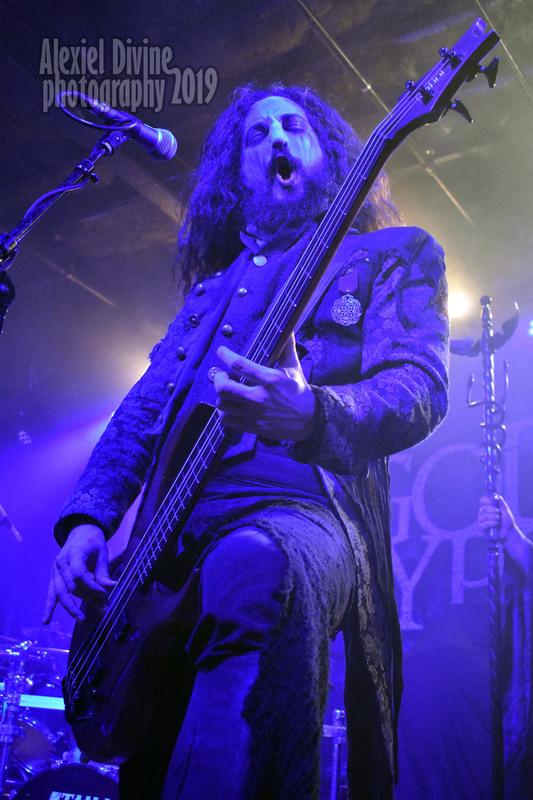 With a charismatic stage presence Fleshgod Apocalypse chose an eclectic & energetic setlist that included “The Violation” and “The Forsaking” from the 2011 release “Agony”, “Cold As Perfection”, “Healing Through War” and “The Fool” from the acclaimed album “King” while the new single “Sugar” that definitely marked another intense moment. 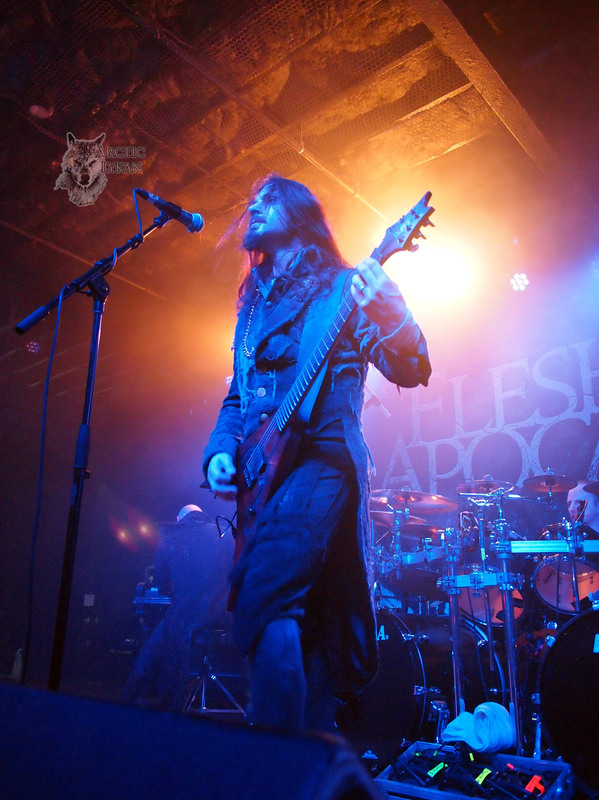 Watching Fleshgod Apocalypse live it becomes evident that besides the darkened & crushing death metal elements, the enticing detailed orchestral arrangements and the operatic grandeur demonstrate why the band’s unique music style is bound to stand out in the crowded metal scene. 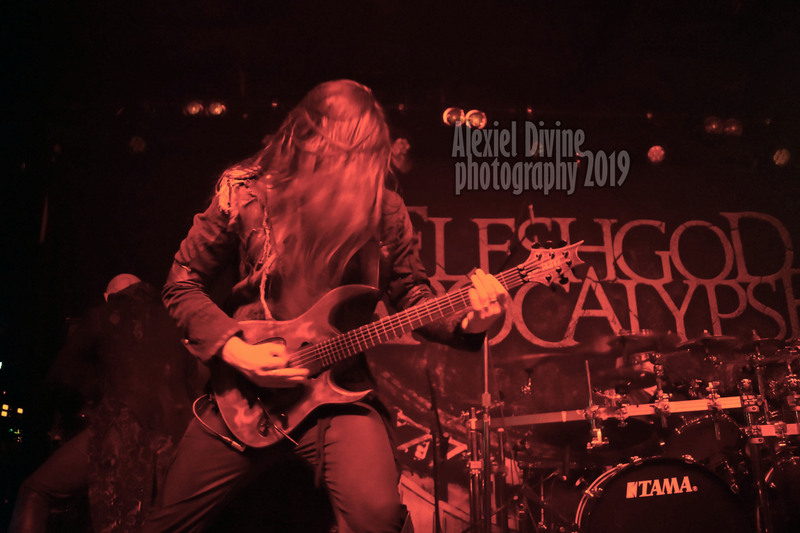 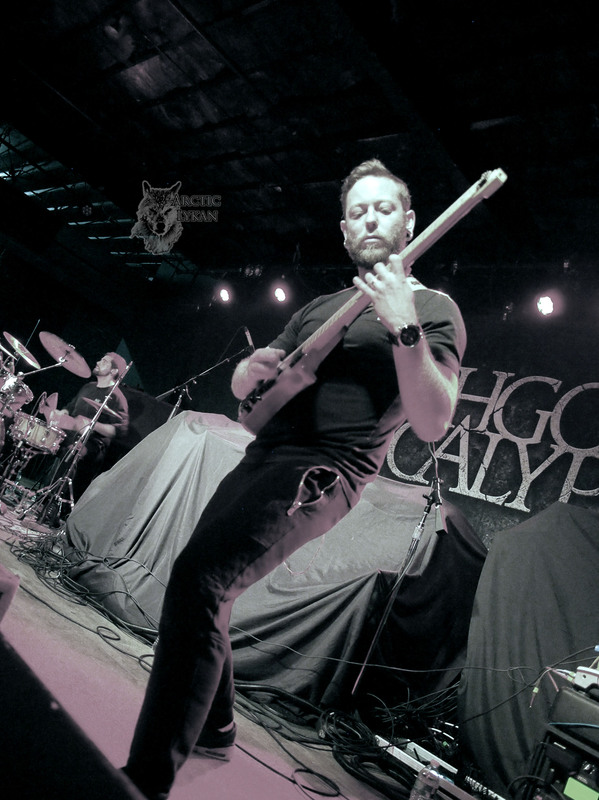 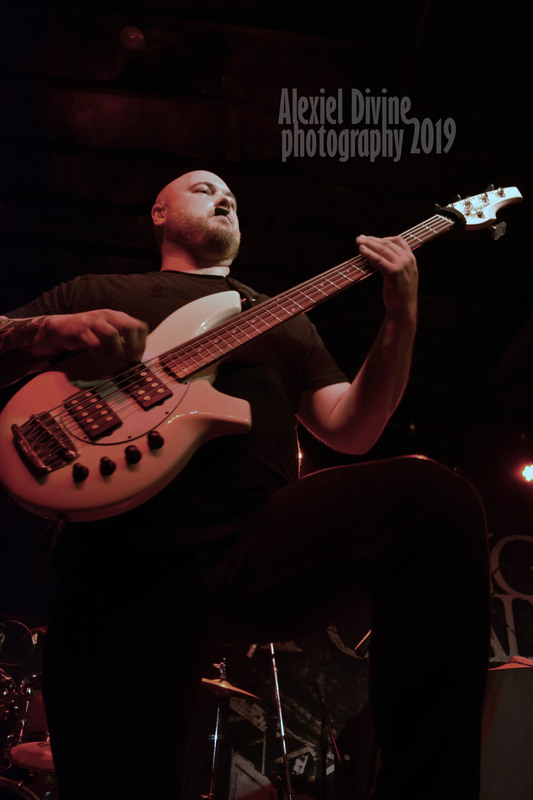 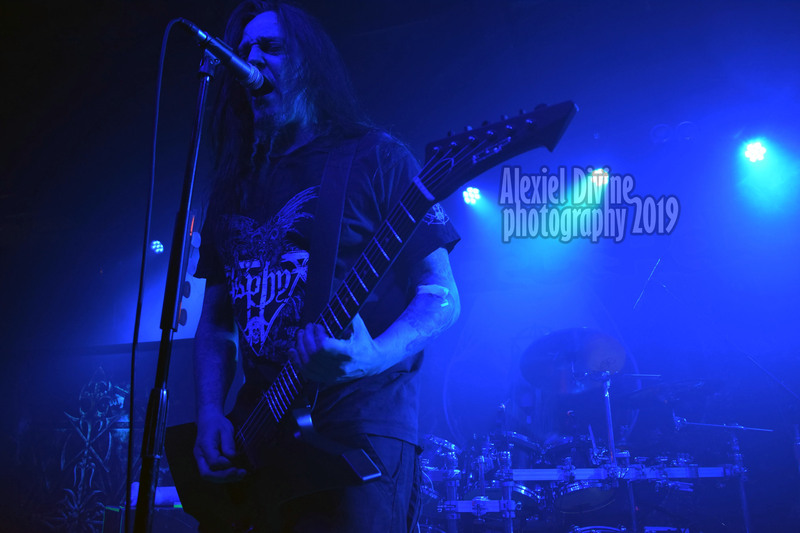 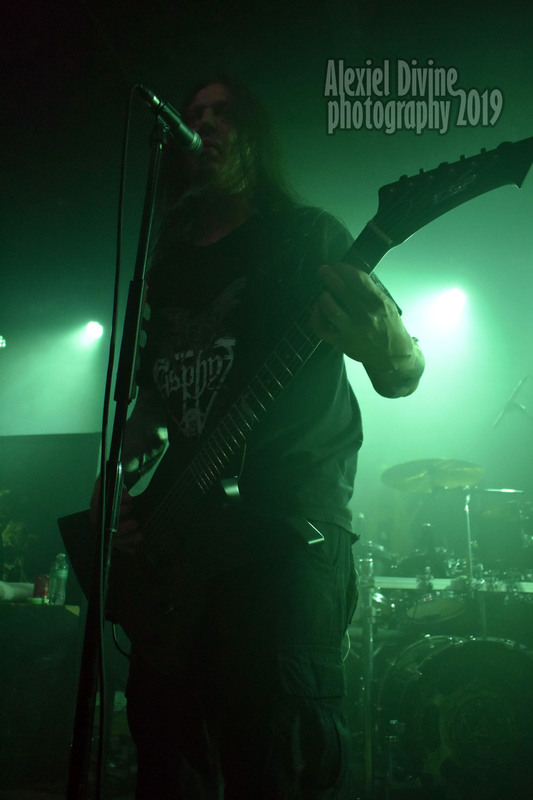 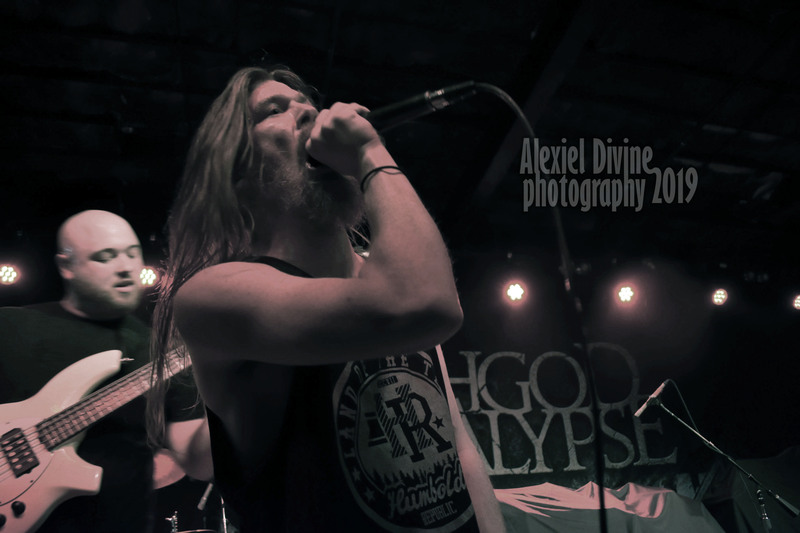 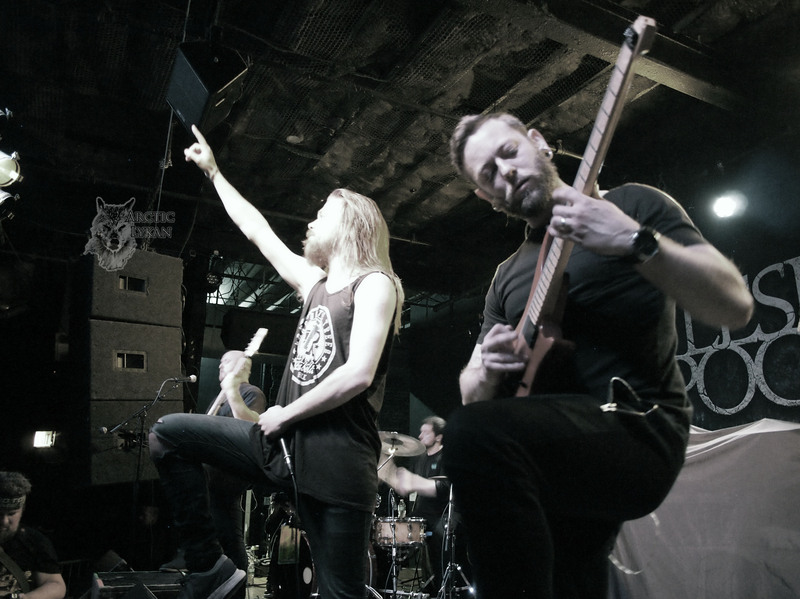 Following the release of the sophomore album “Dreamcatcher” via Nuclear Blast, Aenimus are currently spreading their technical prog death metal music style across North America on tour with Hypocrisy and Fleshgod Apocalypse. 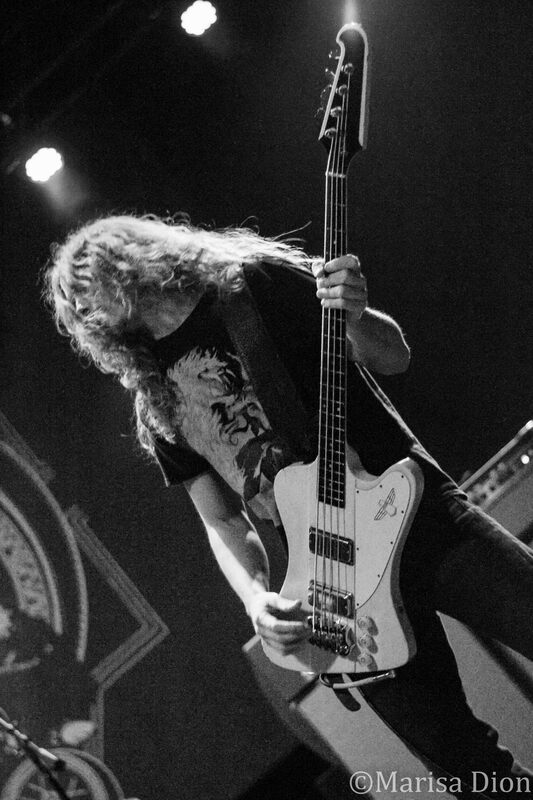 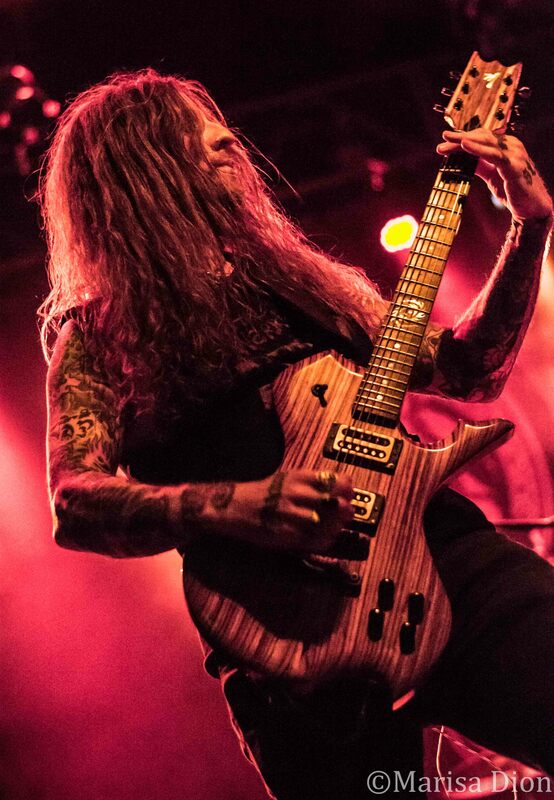 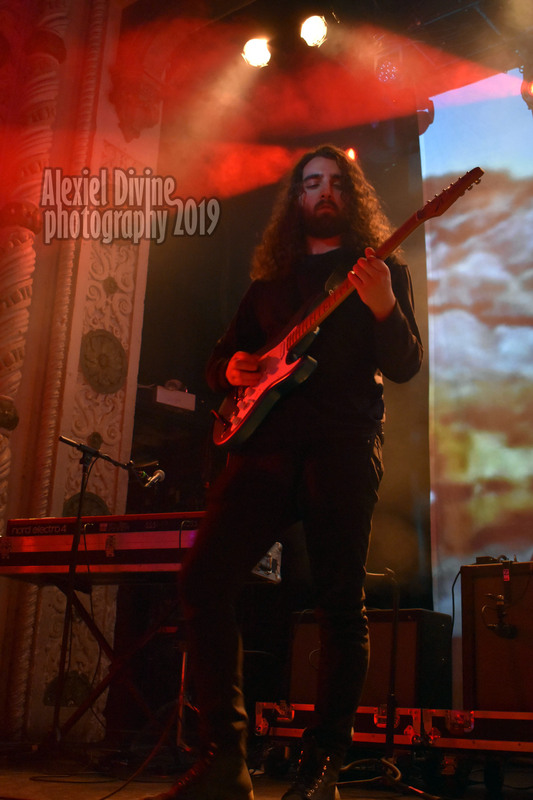 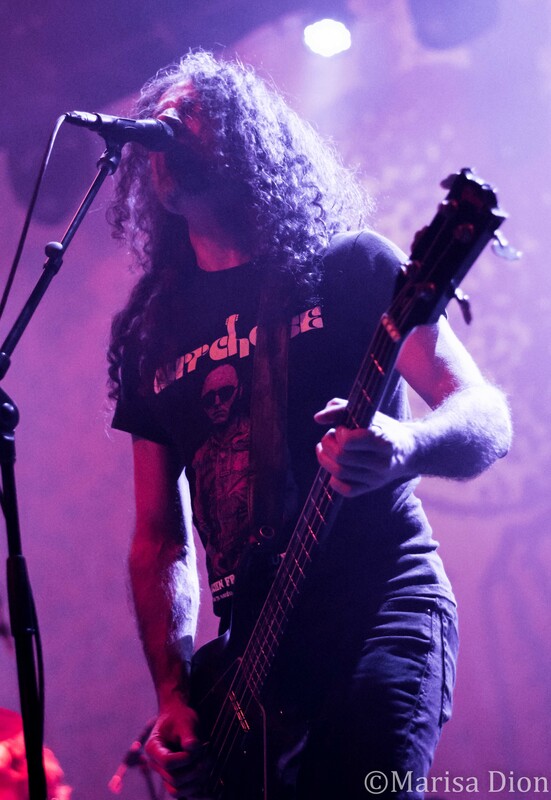 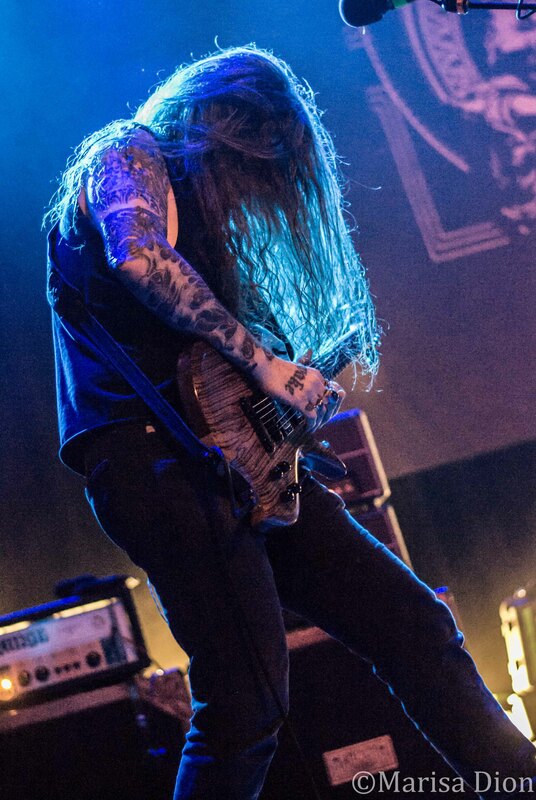 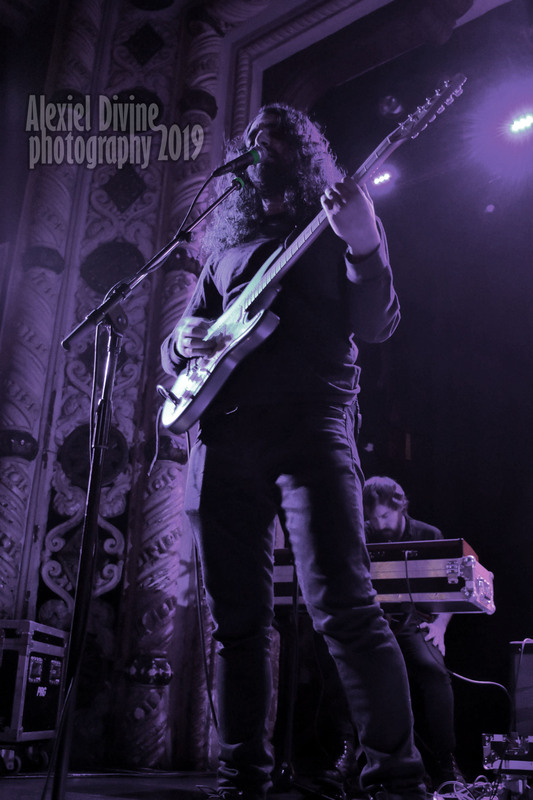 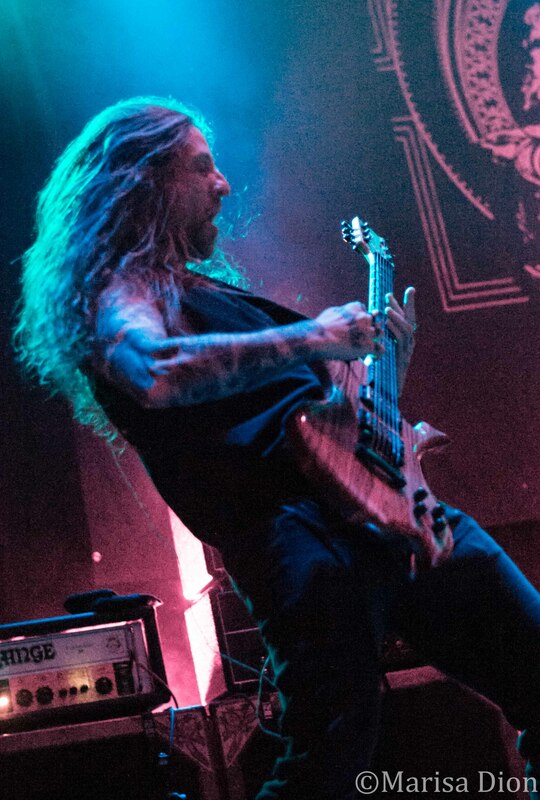 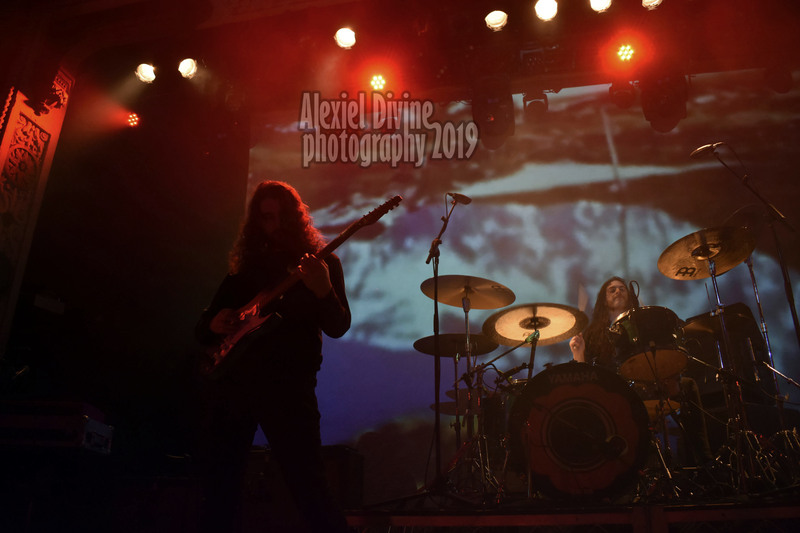 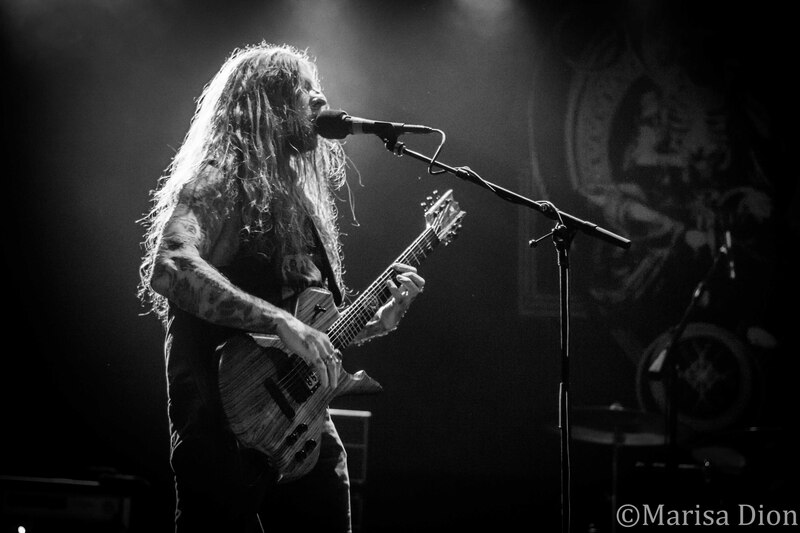 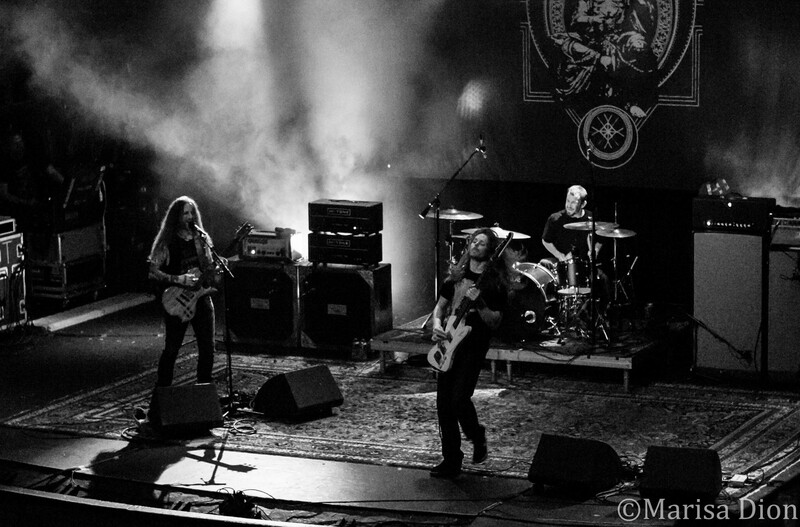 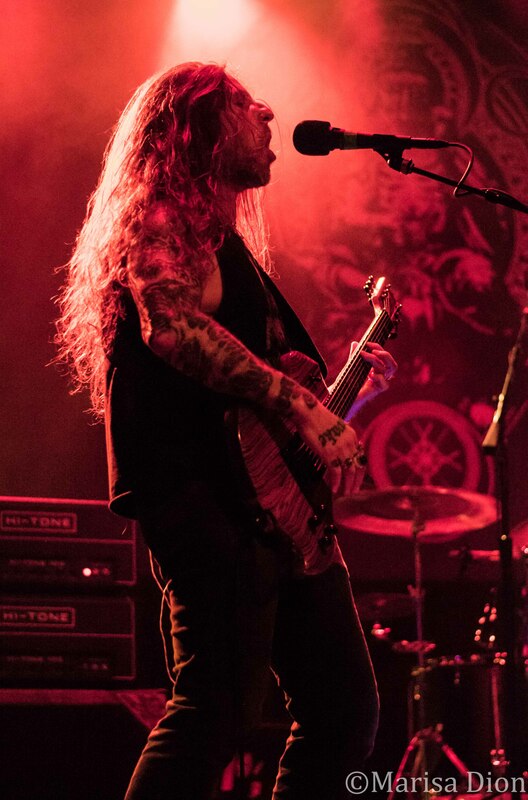 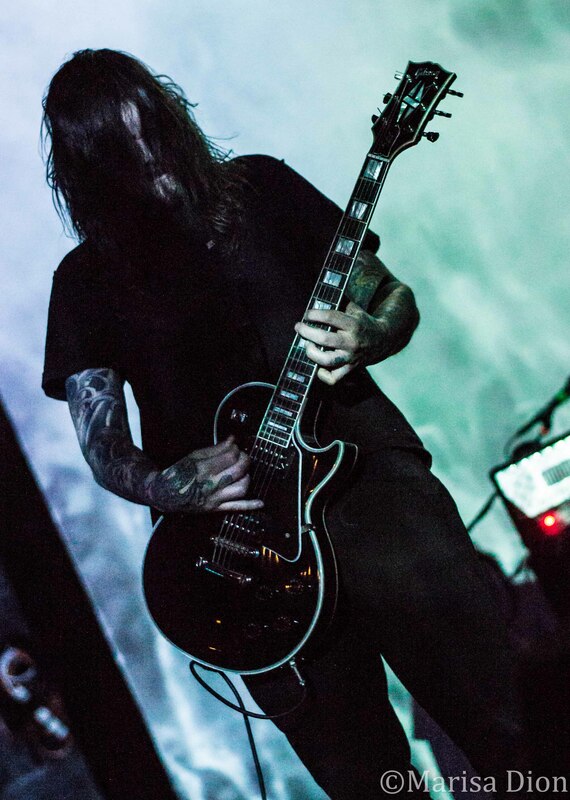 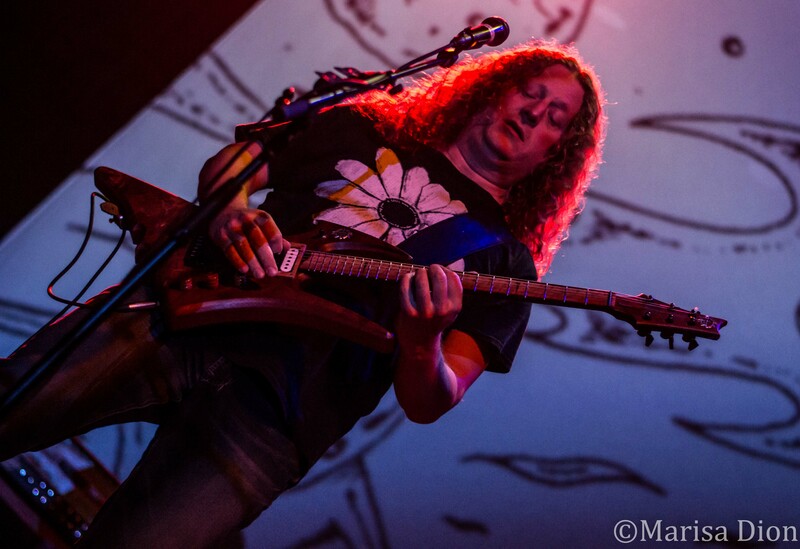 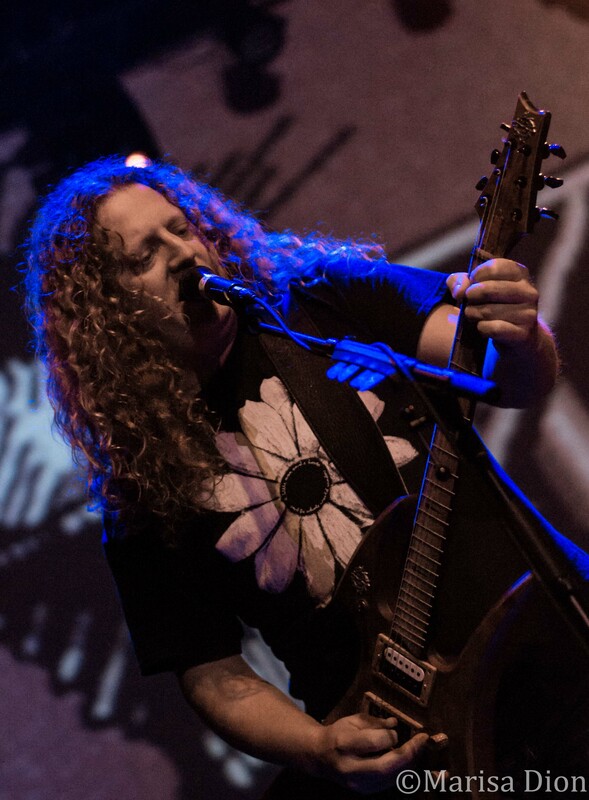 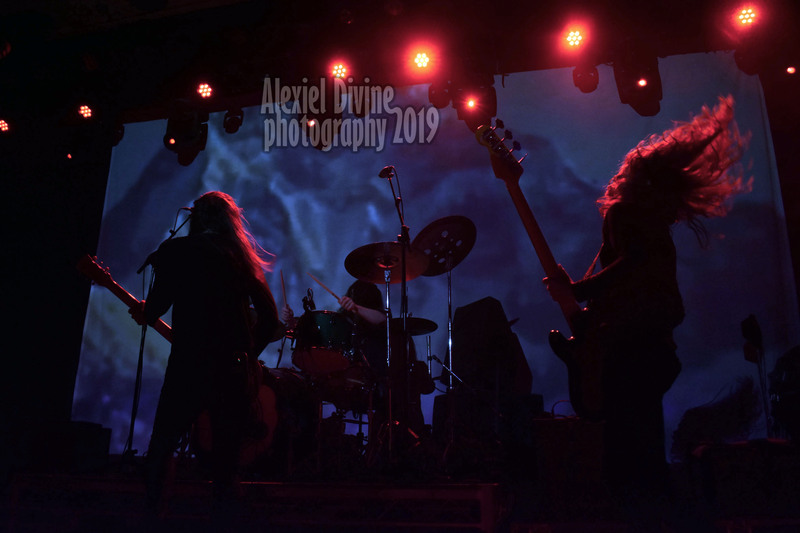 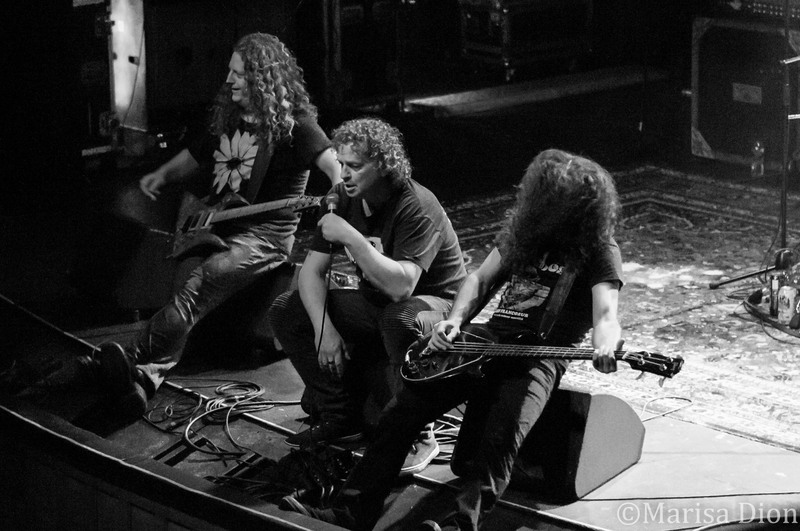 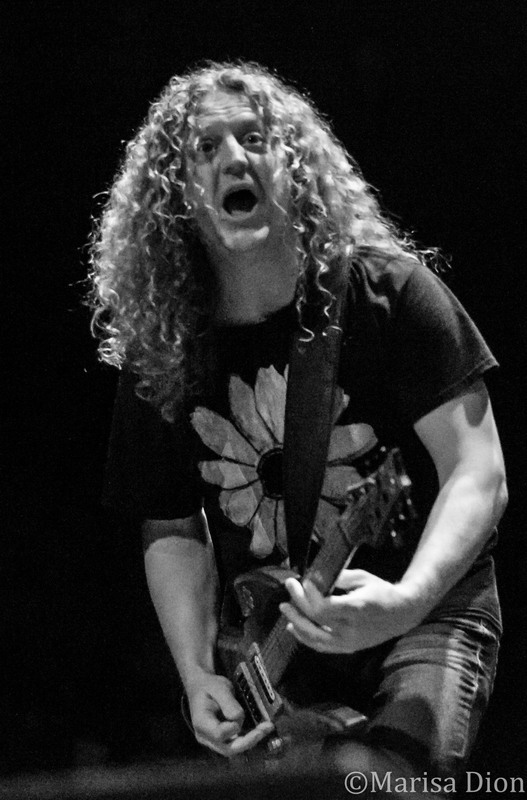 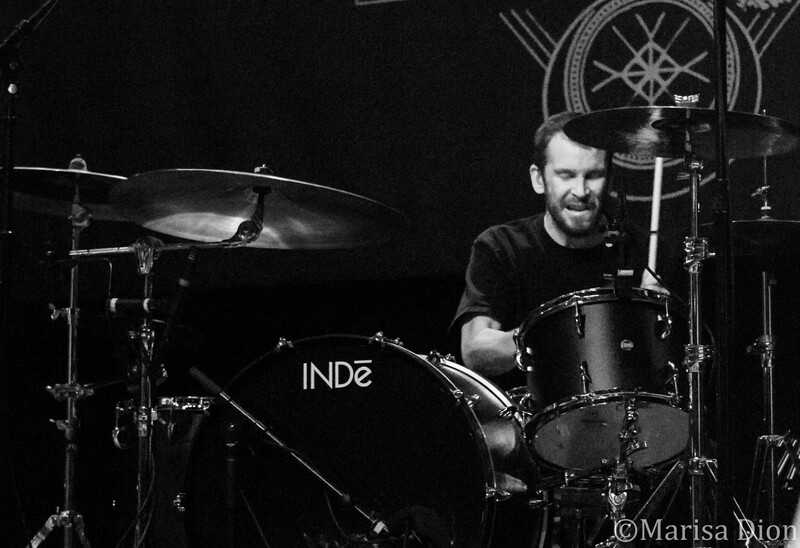 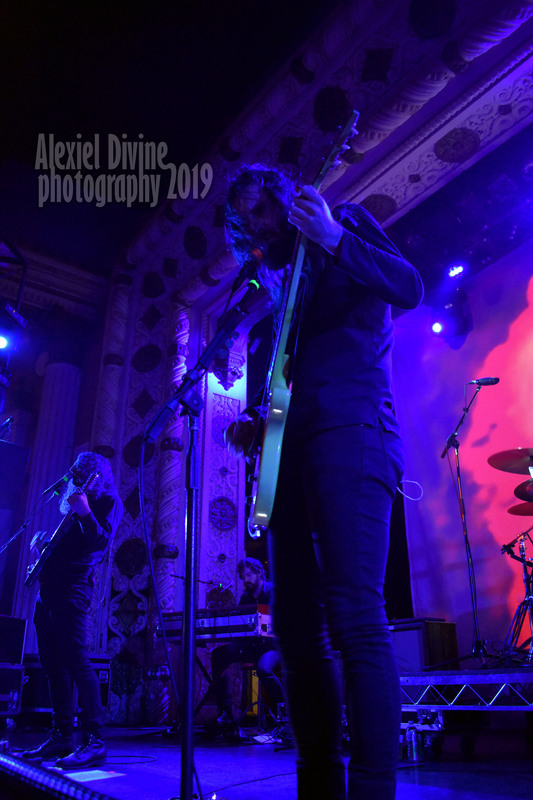 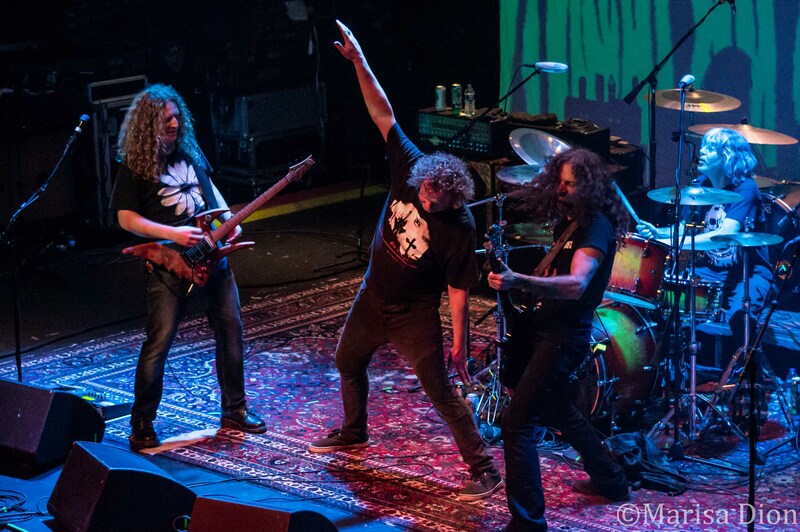 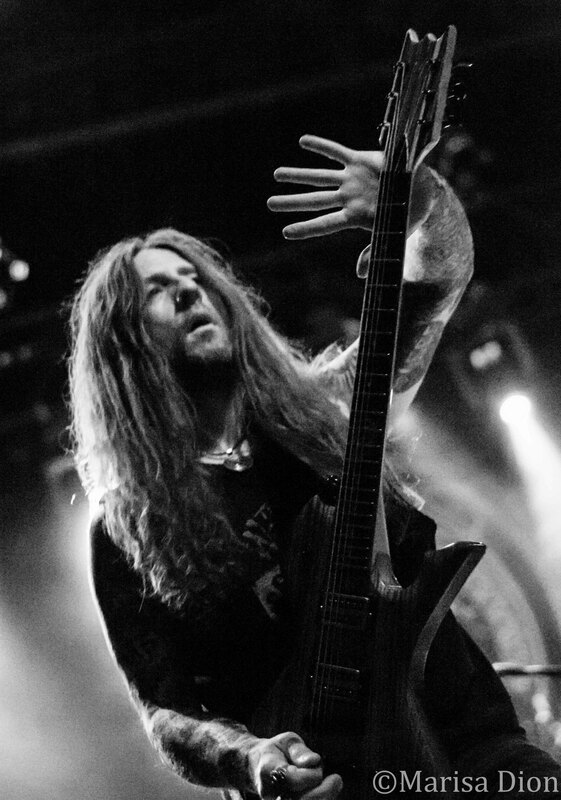 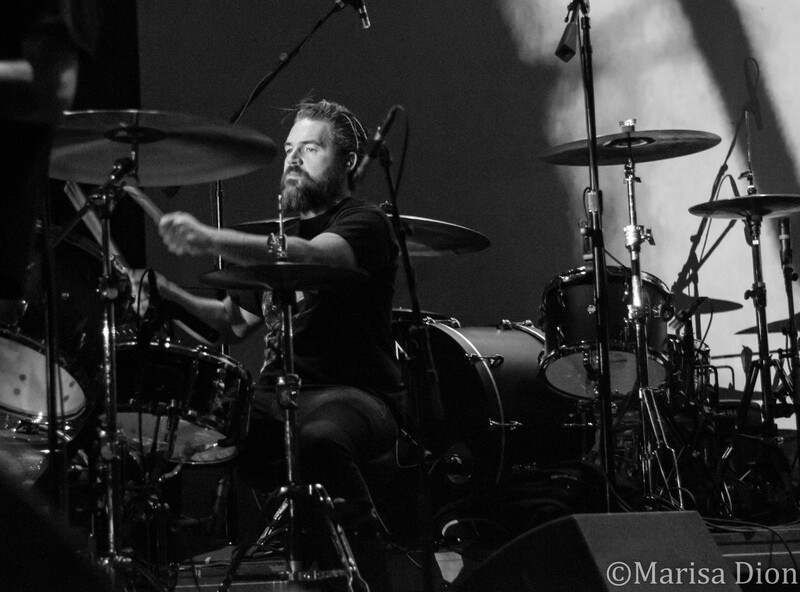 YOB brought their powerful doom metal sound to Thalia Hall in Chicago as part of their current North American tour. 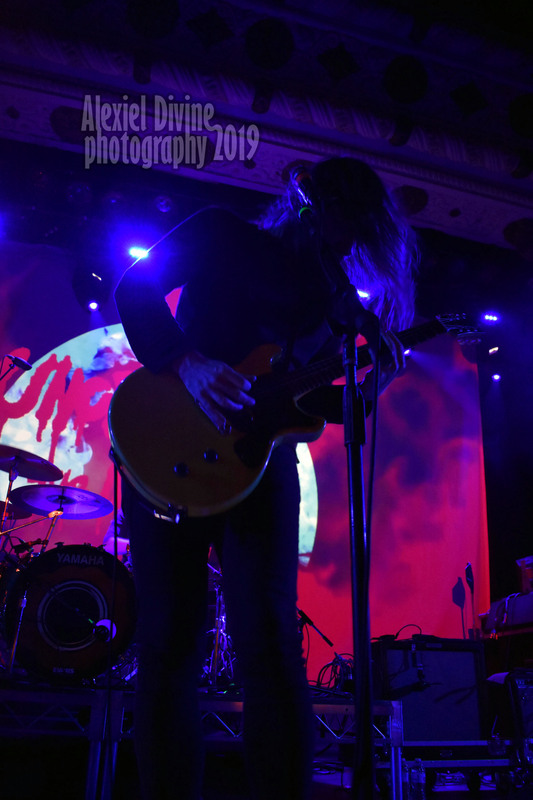 Their six songs, hour and fifteen minute set was full of low frequency riffs, crushing vocals, and waves of sonic intensity. 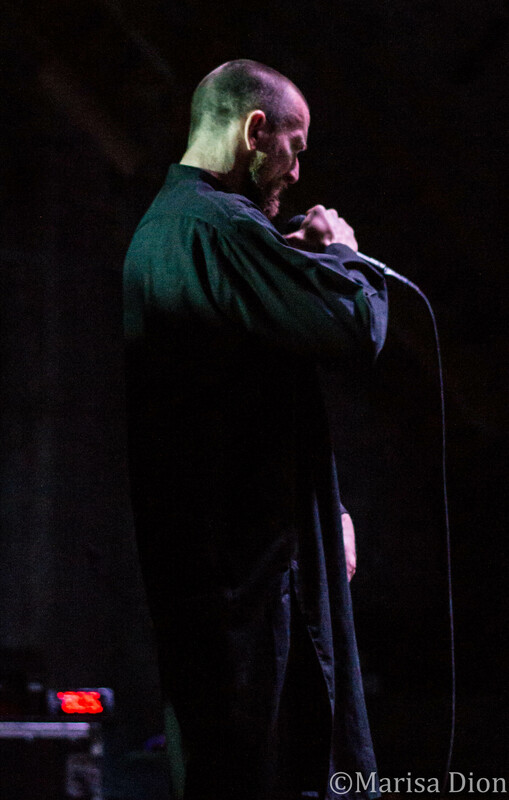 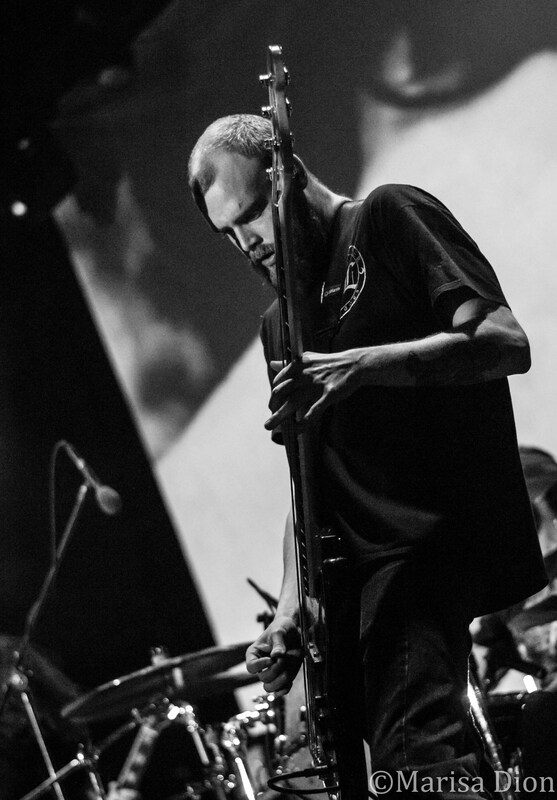 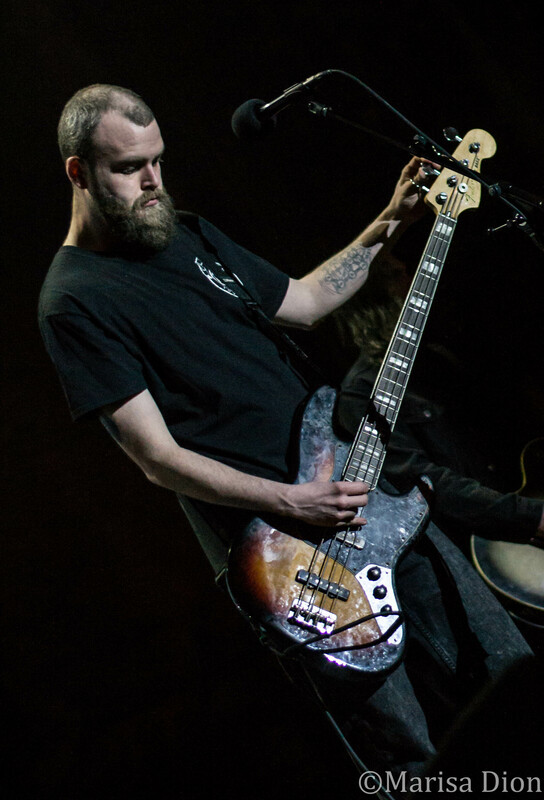 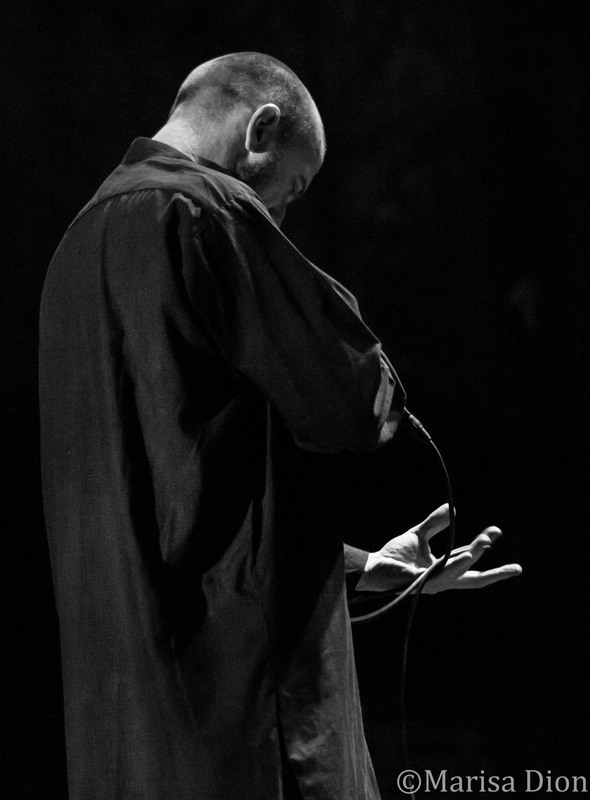 Fans enjoyed seeing Levy Seynaeve (bassist of opening band Amenra) perform “Grasping Air” alongside YOB. 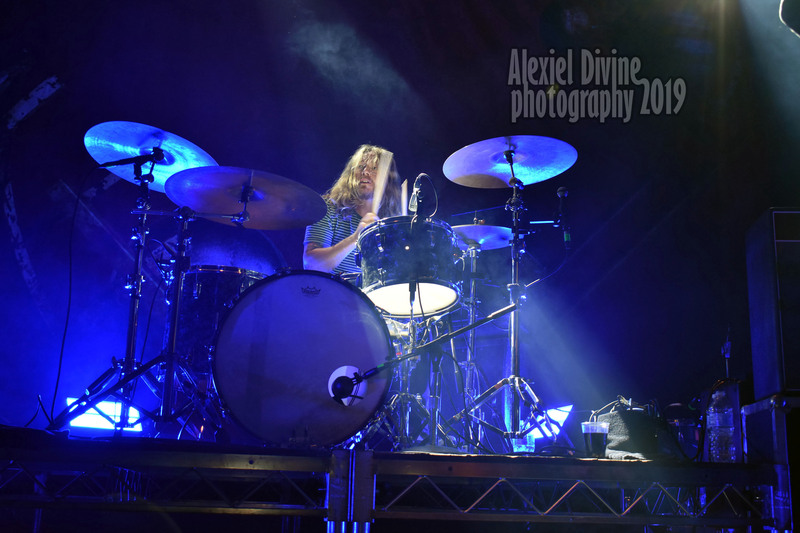 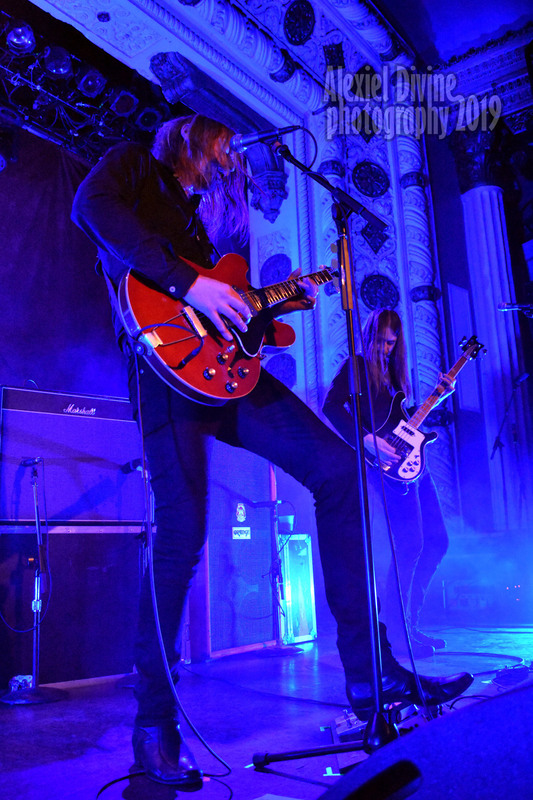 Their set flowed seamlessly for an exciting, compelling performance. 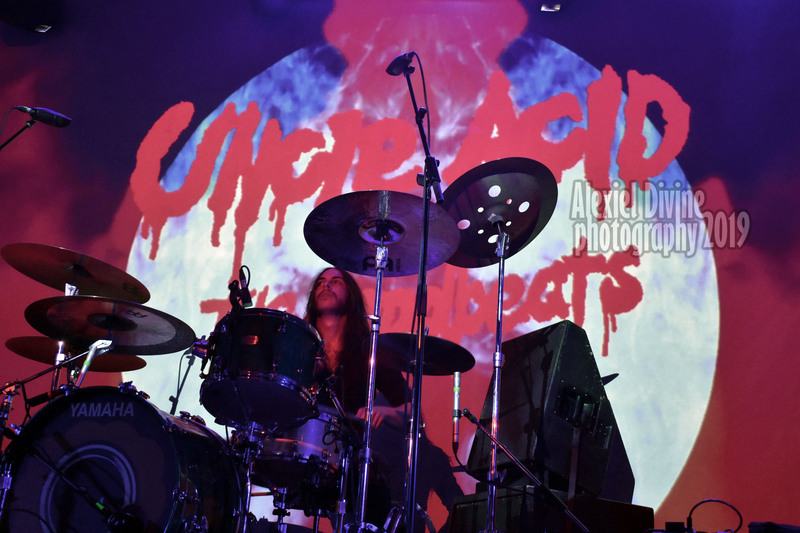 Created by mastermind Kevin Starrs, Uncle Acid & The Deadbeats quickly started to gain interest within the British underground music scene but the latest immersive album “Wasteland”, released last year via Rise Above Records, truly impressed a much wider audience. 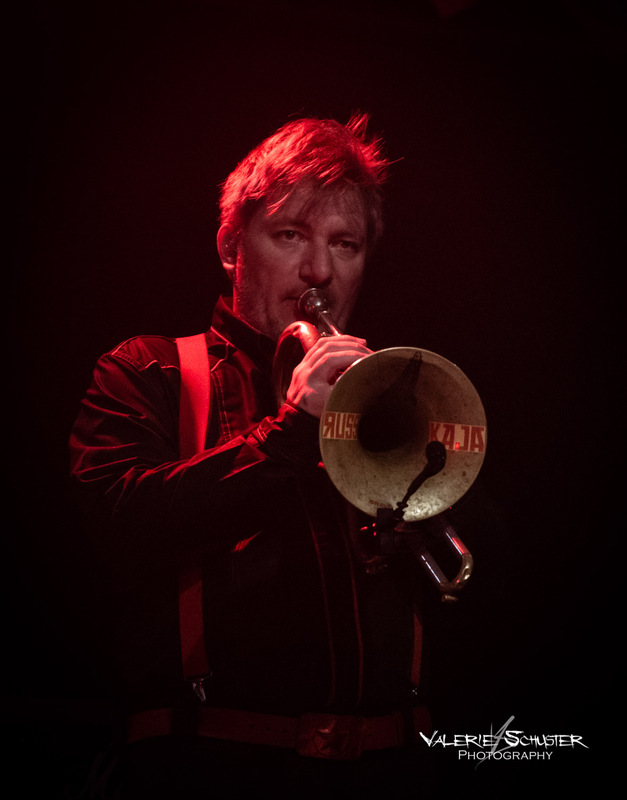 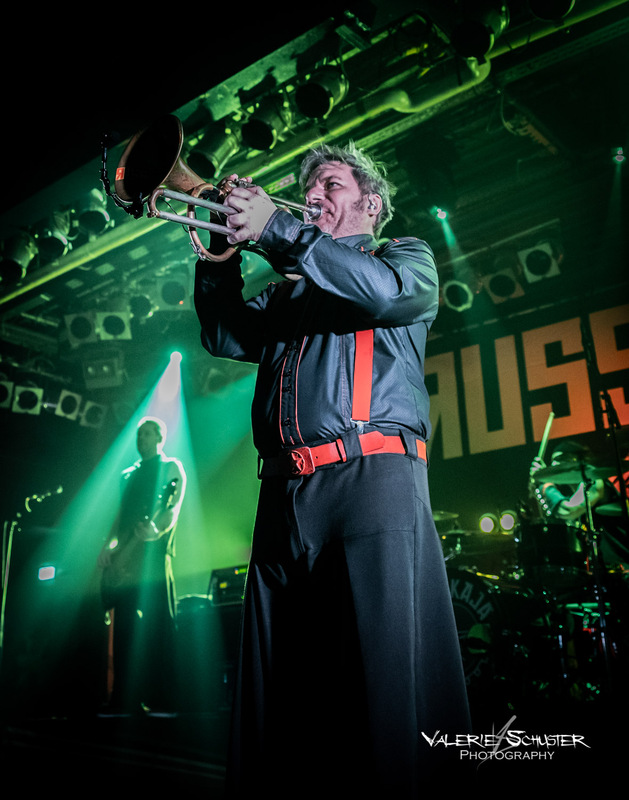 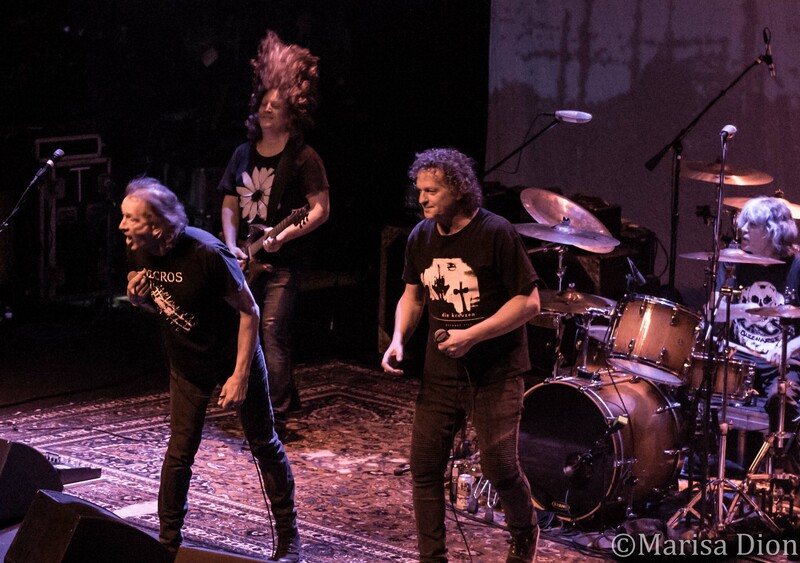 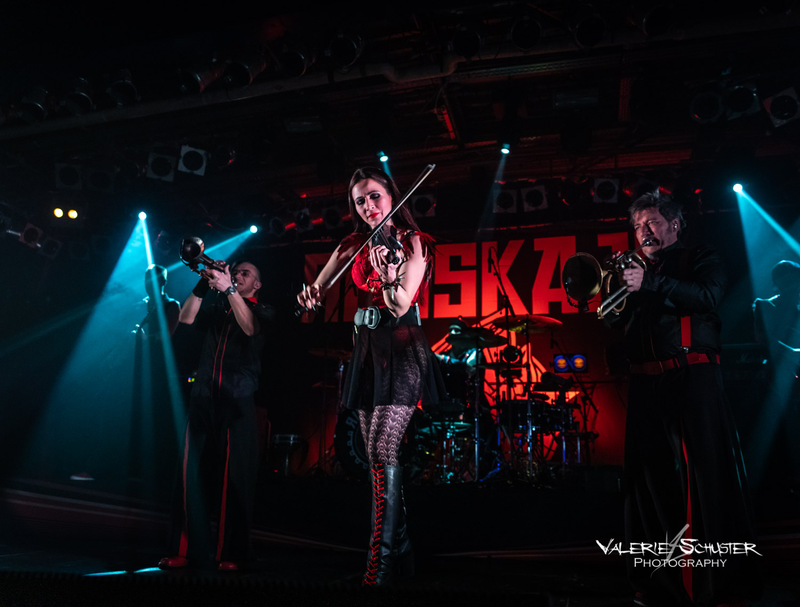 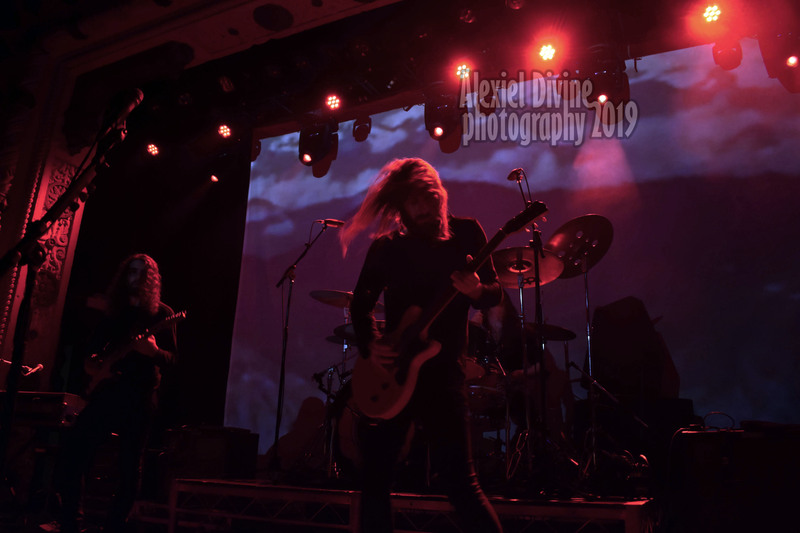 Now the band’s intriguing psychedelic proto-metal & doom style has conquered fans worldwide as proved by the successful ‘Peace Across The Wasteland’ tour in North America. 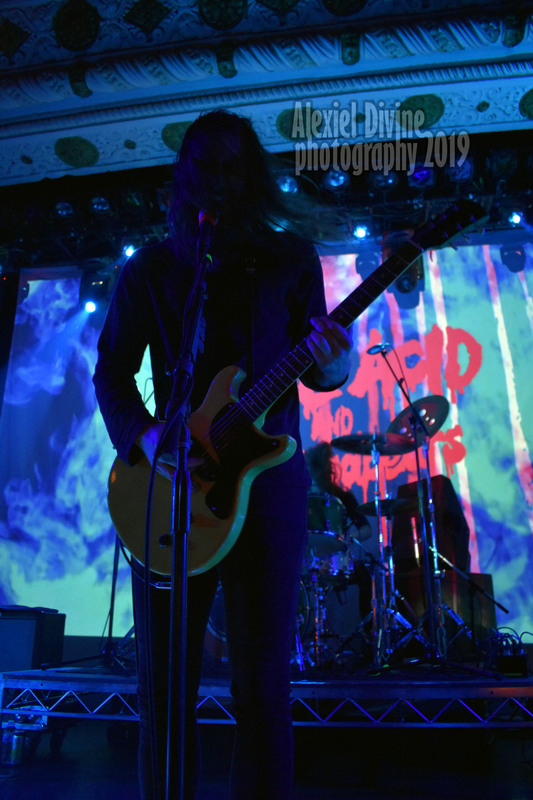 At the sold out show at Metro in Chicago Uncle Acid & The Deadbeats delivered a memorable hypnotizing performance on a dark stage illuminated almost exclusively by the trippy projections in the background playing songs from all the albums including “I See Through You”, “Shockwave City”, “Blood Runner” and “No Return” from “Wasteland”. 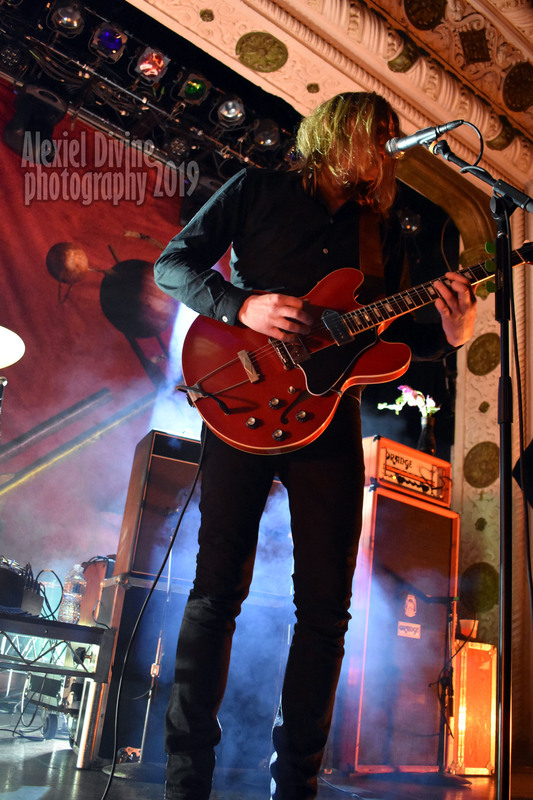 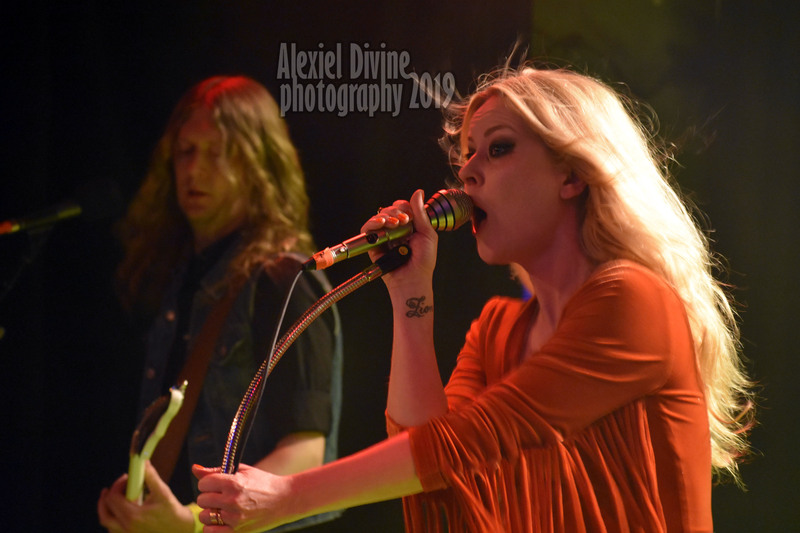 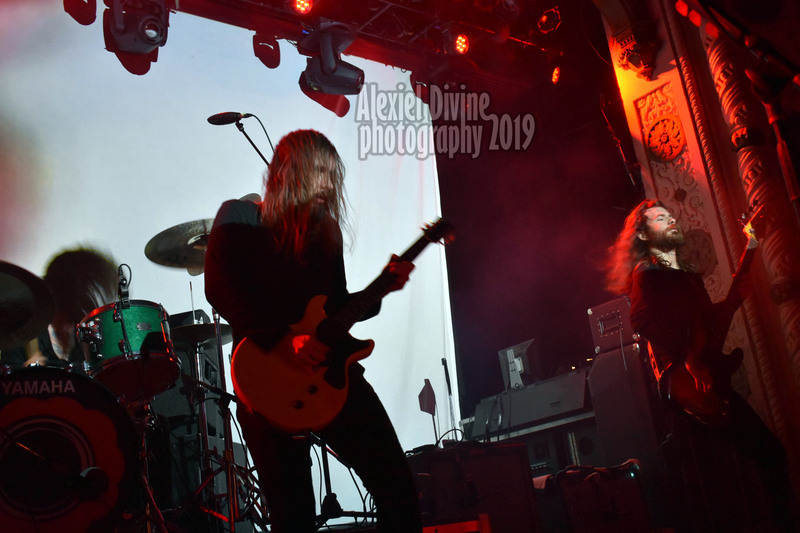 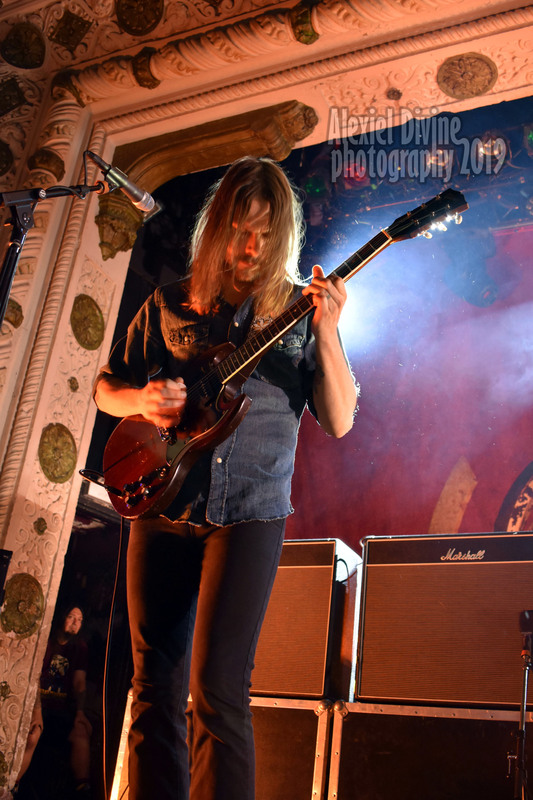 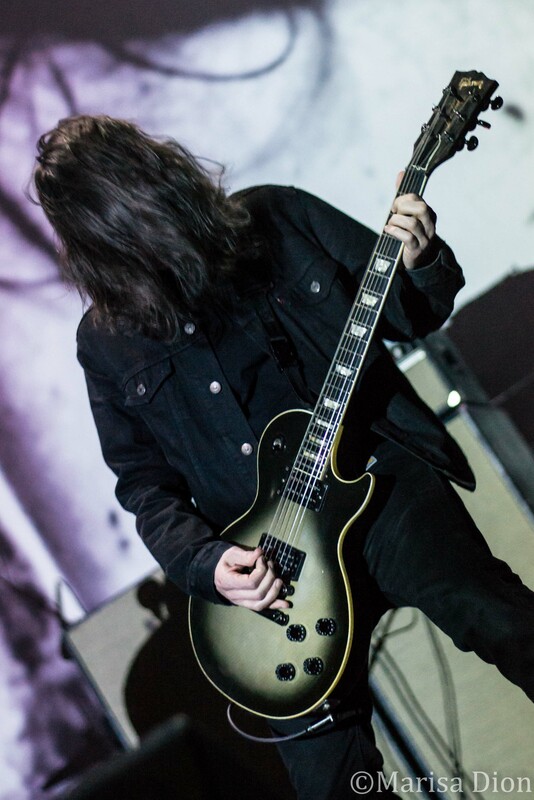 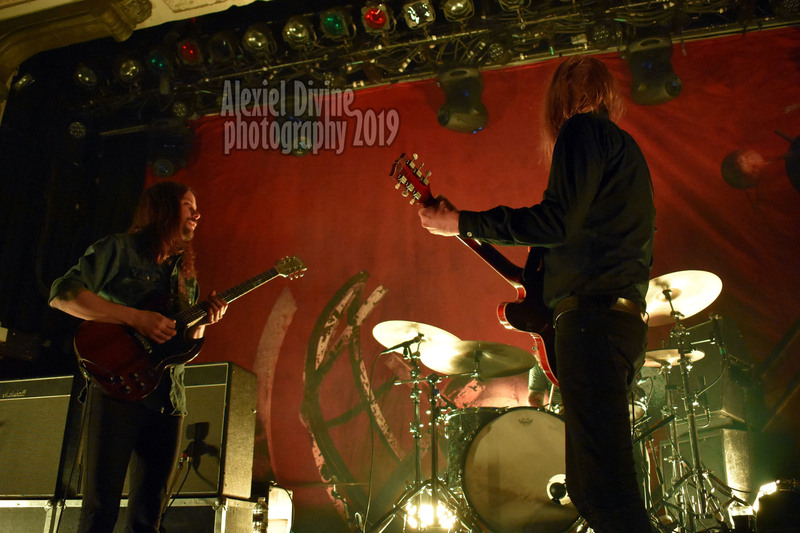 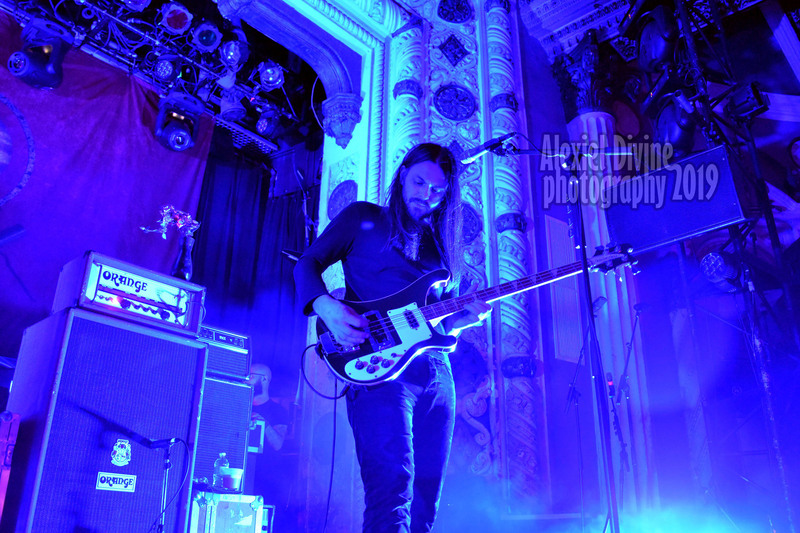 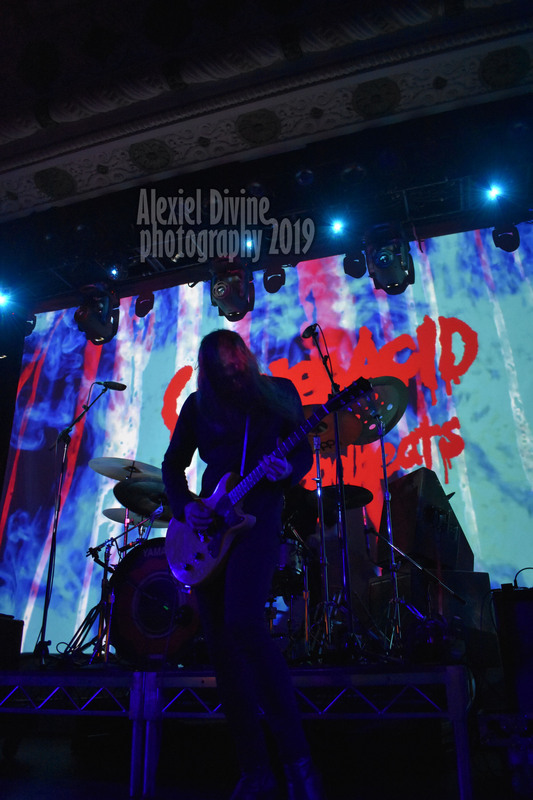 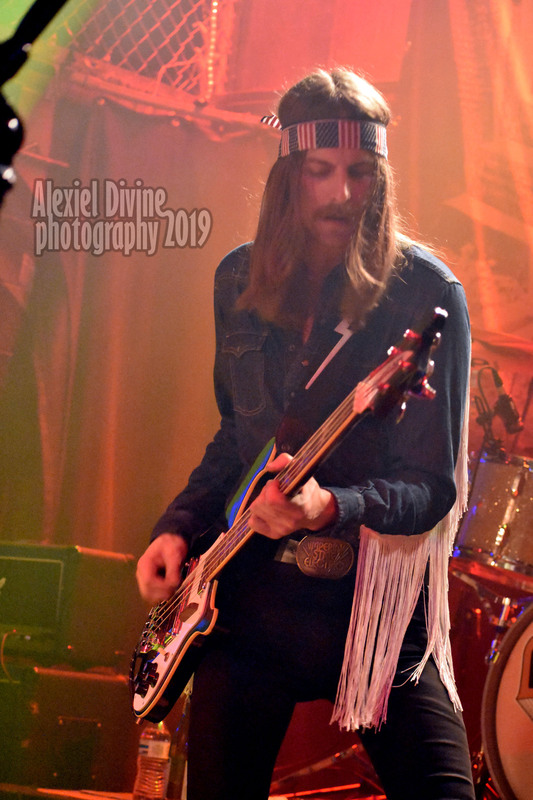 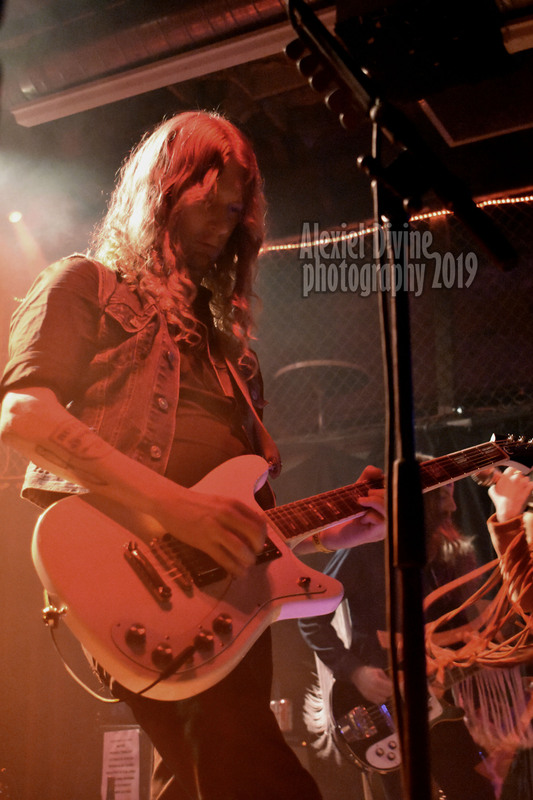 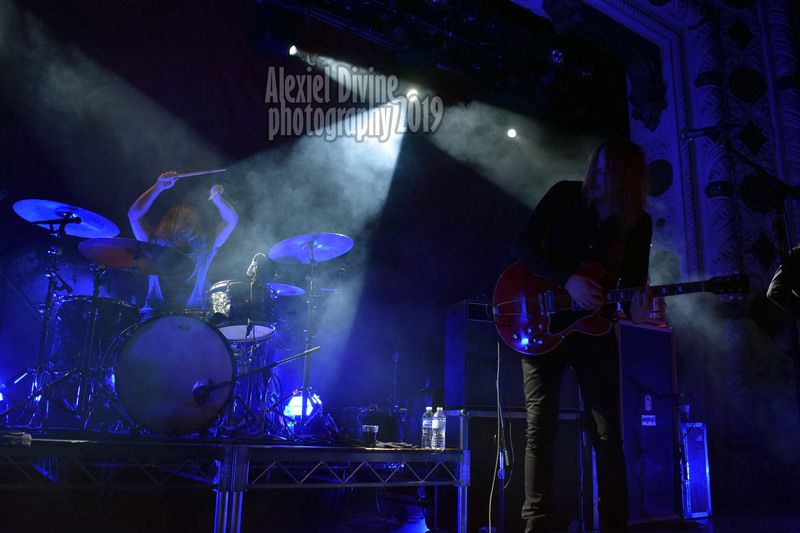 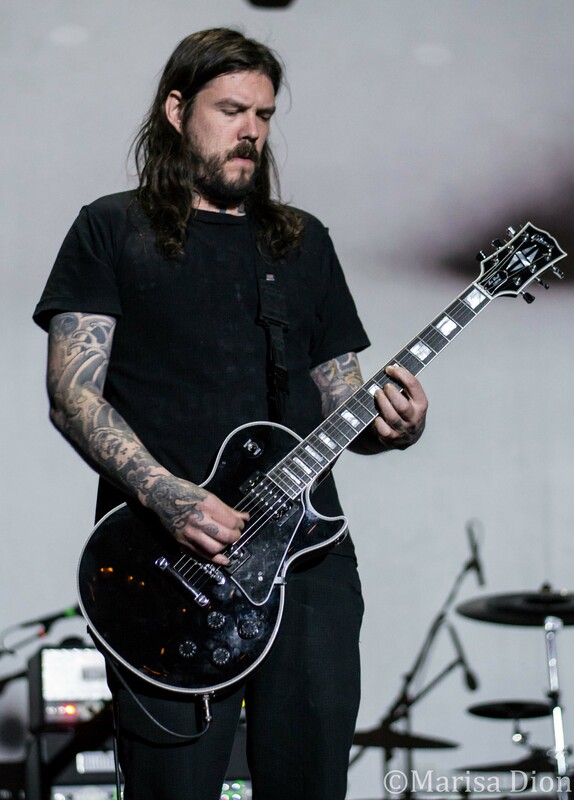 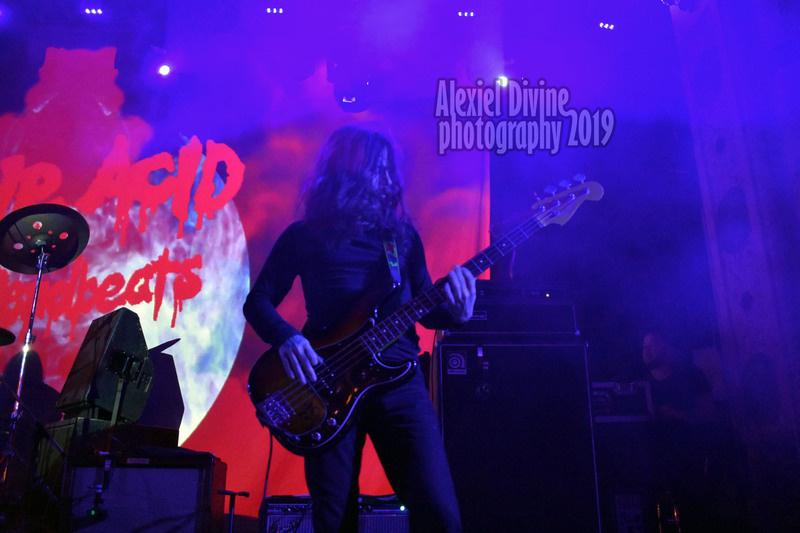 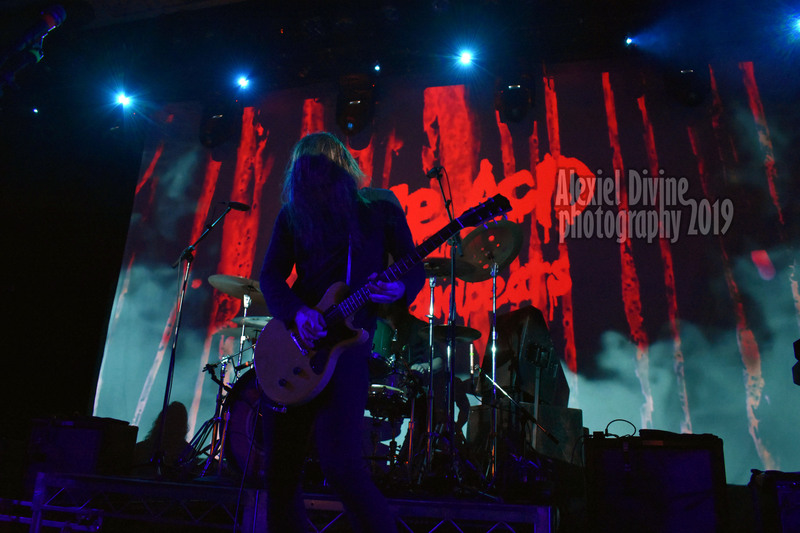 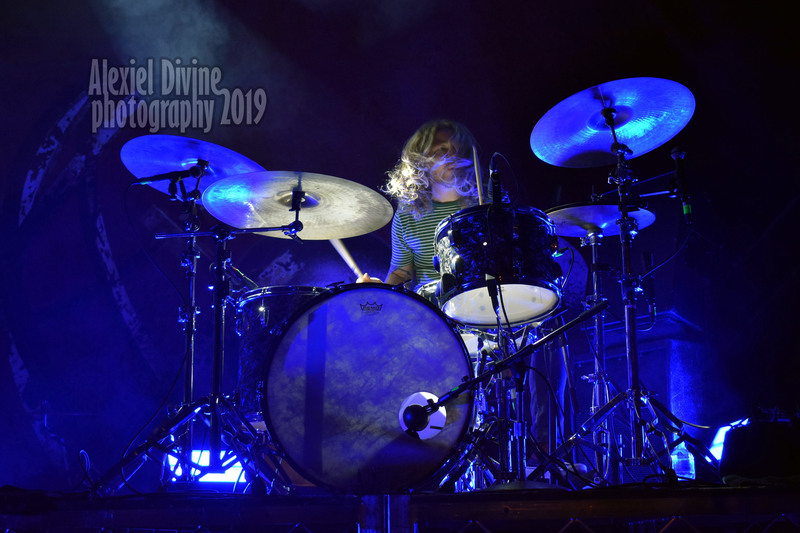 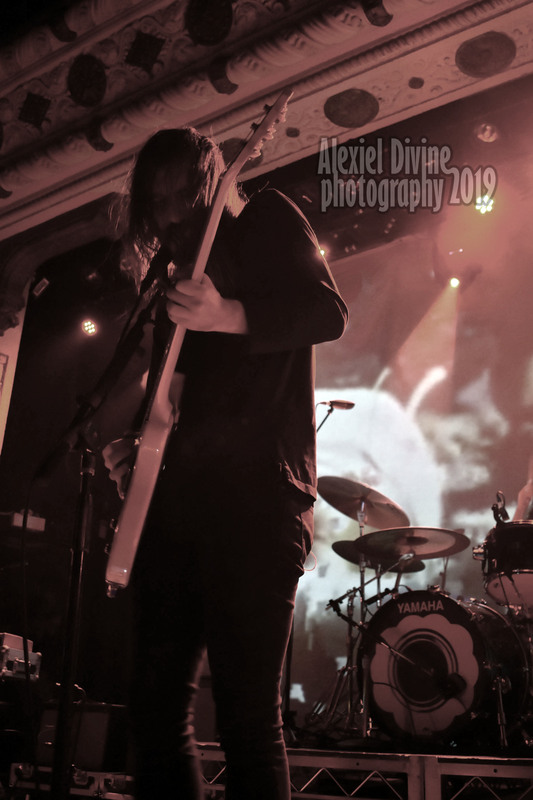 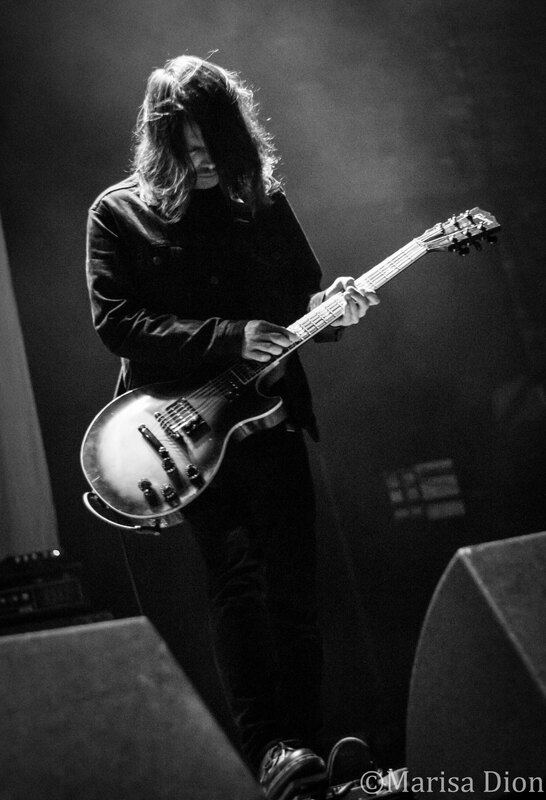 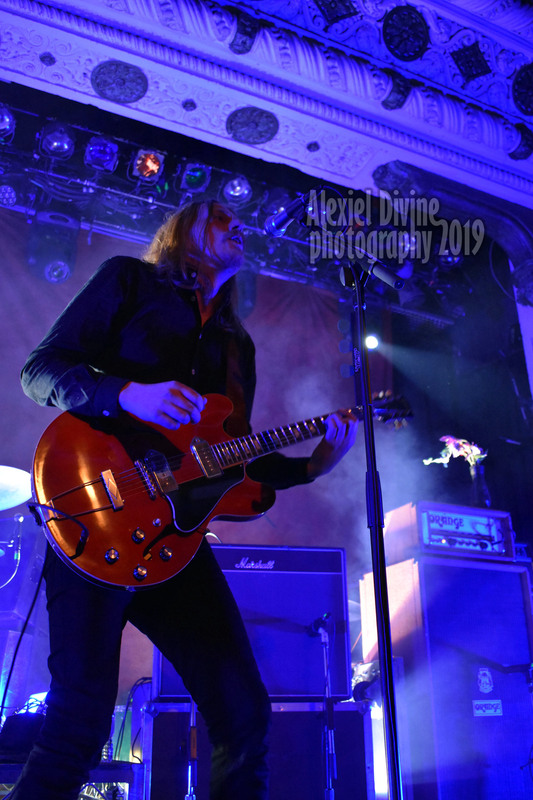 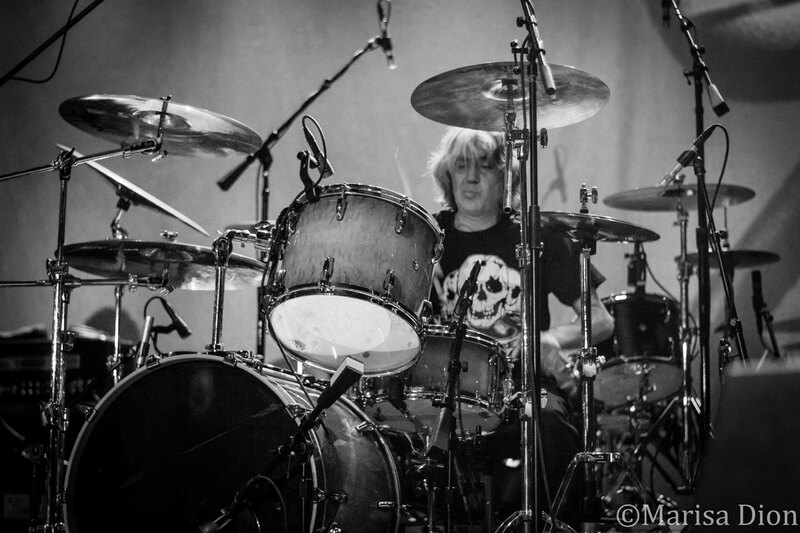 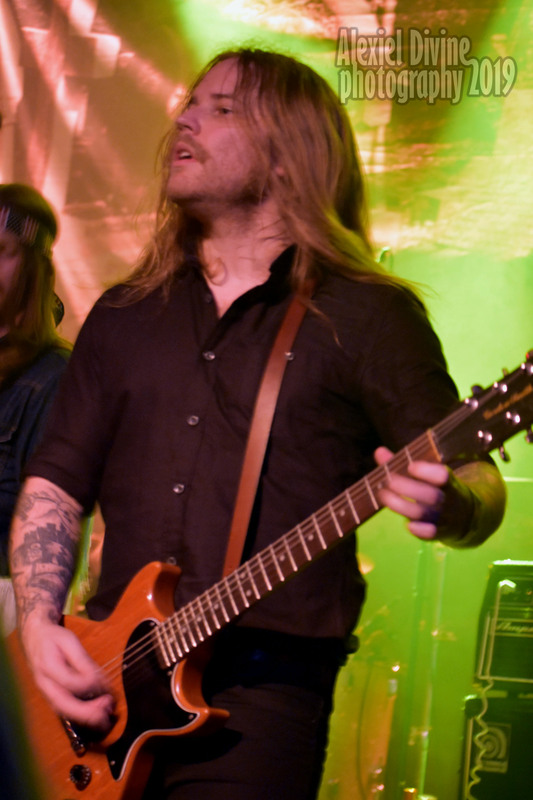 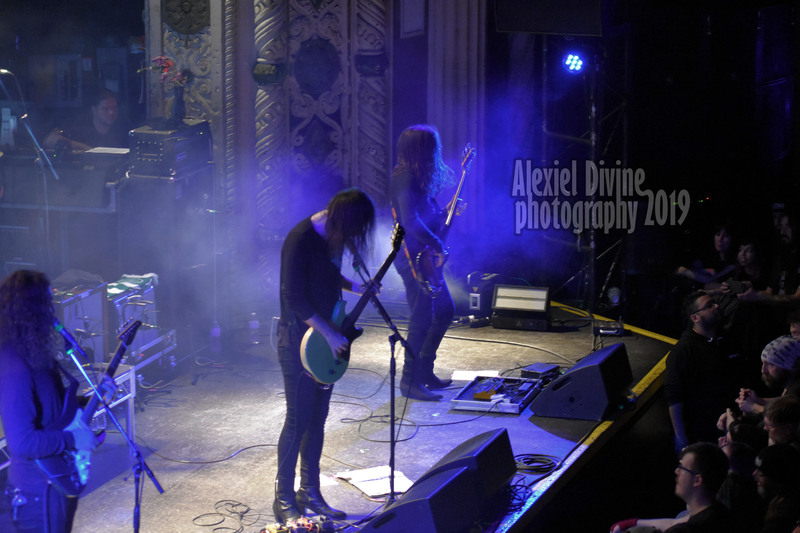 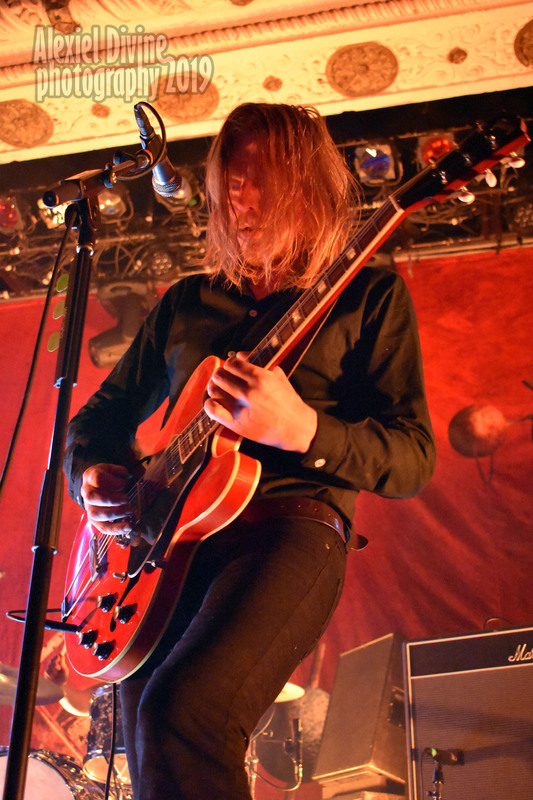 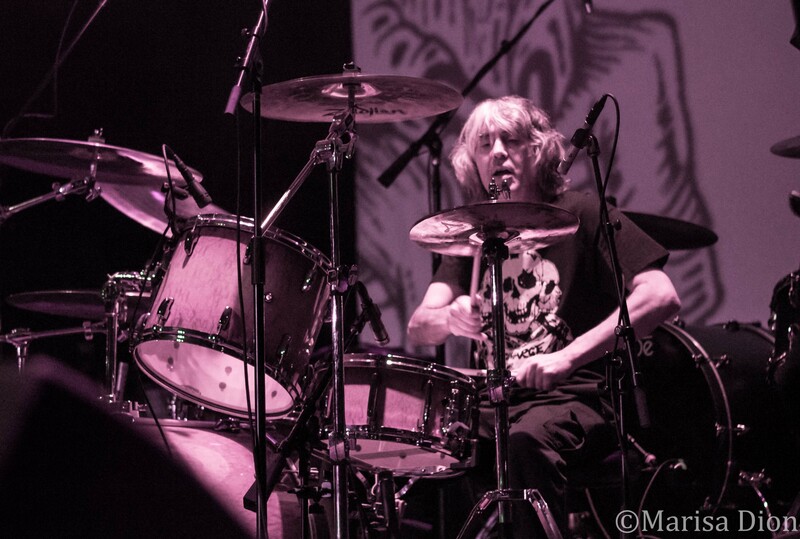 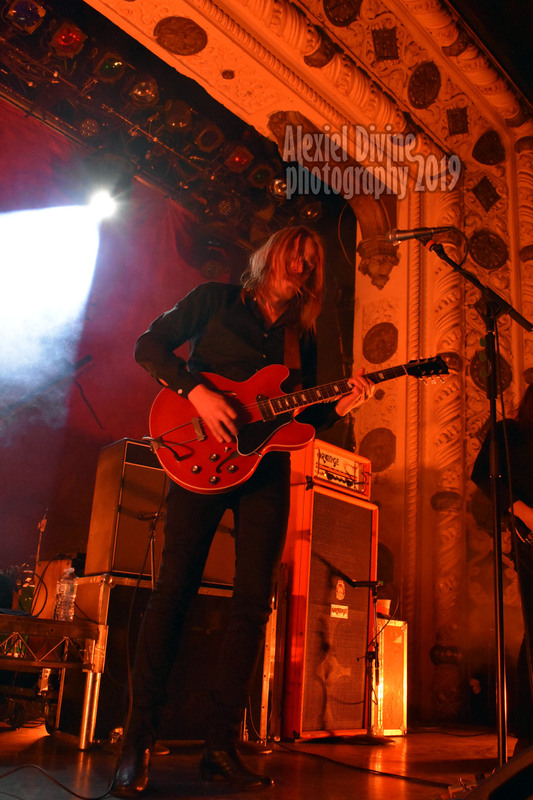 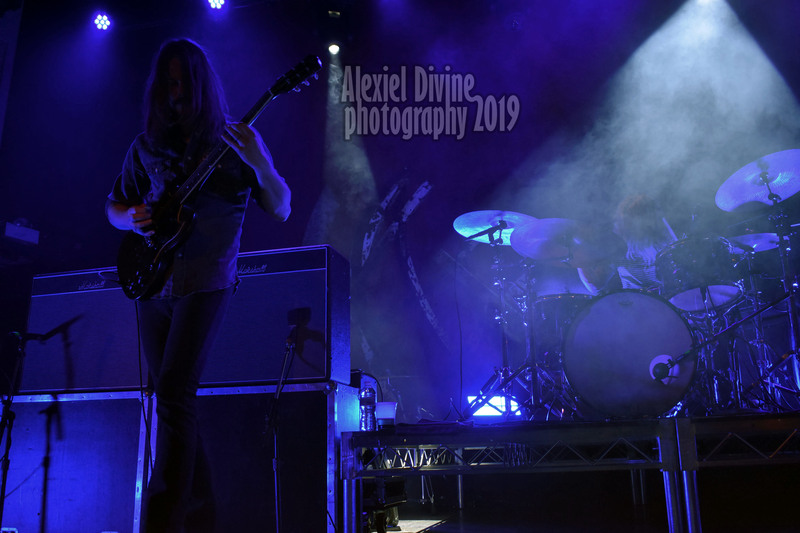 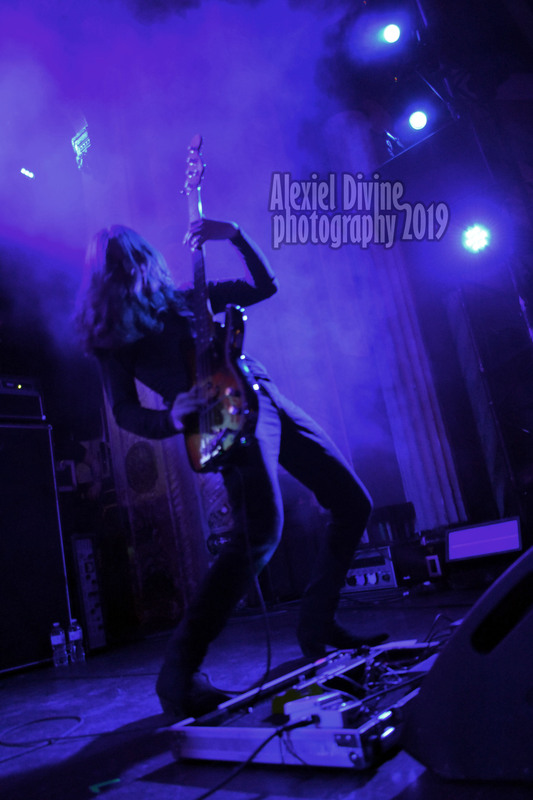 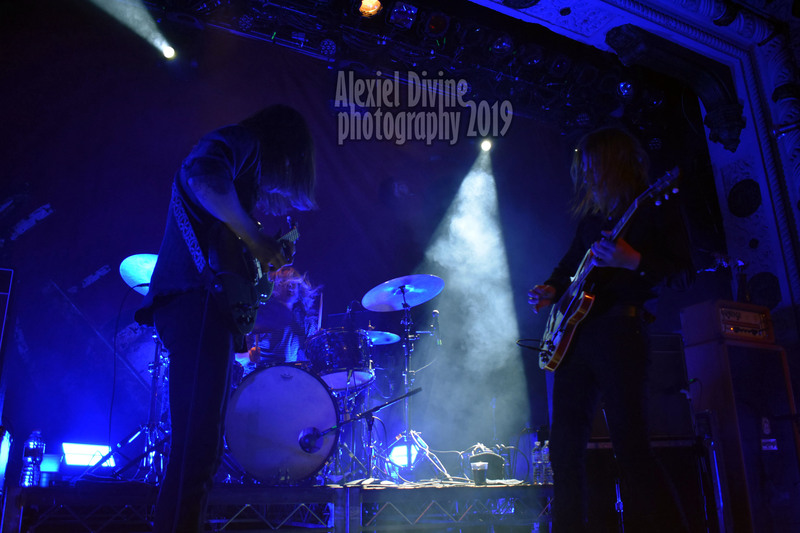 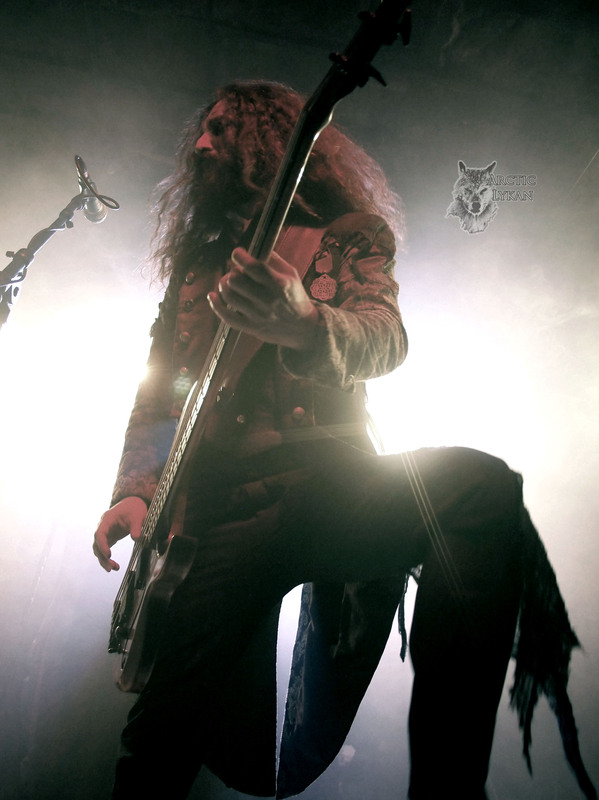 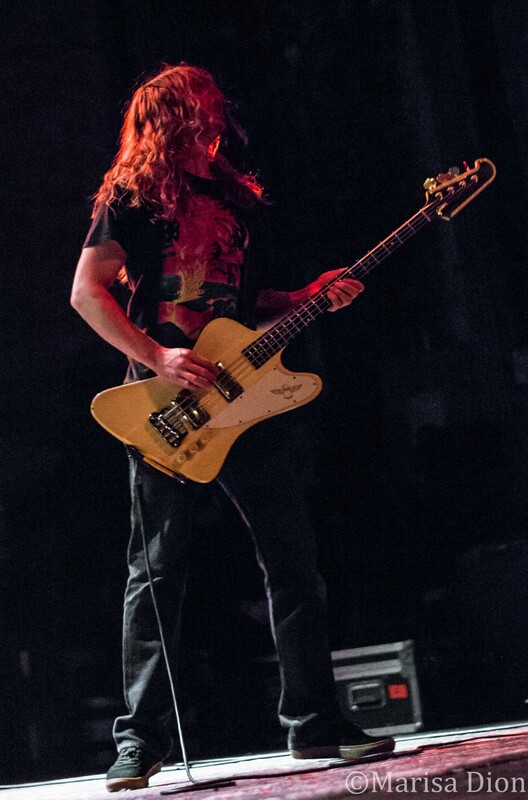 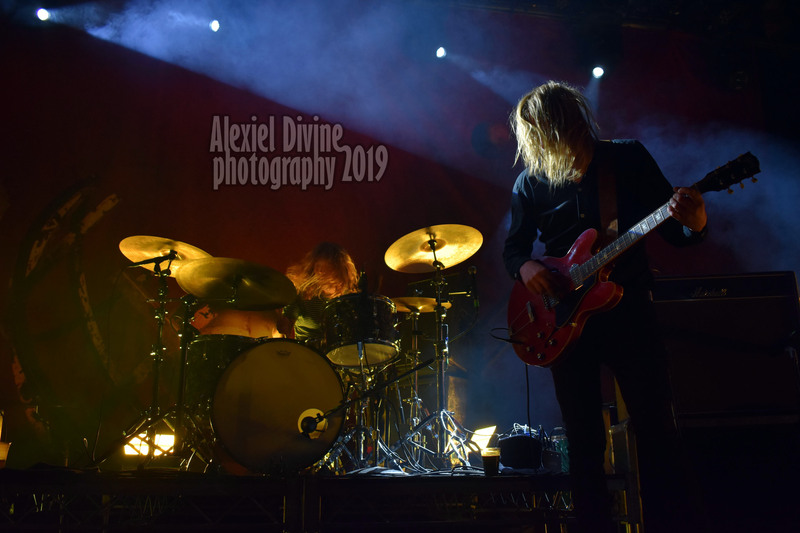 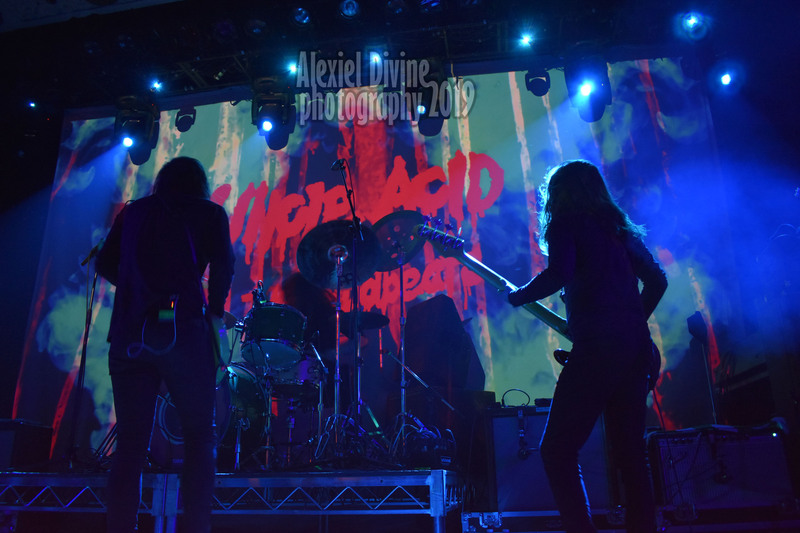 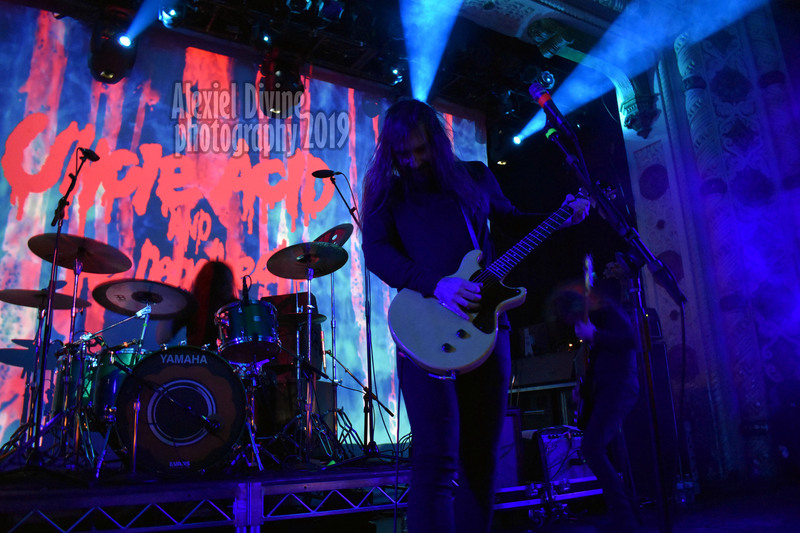 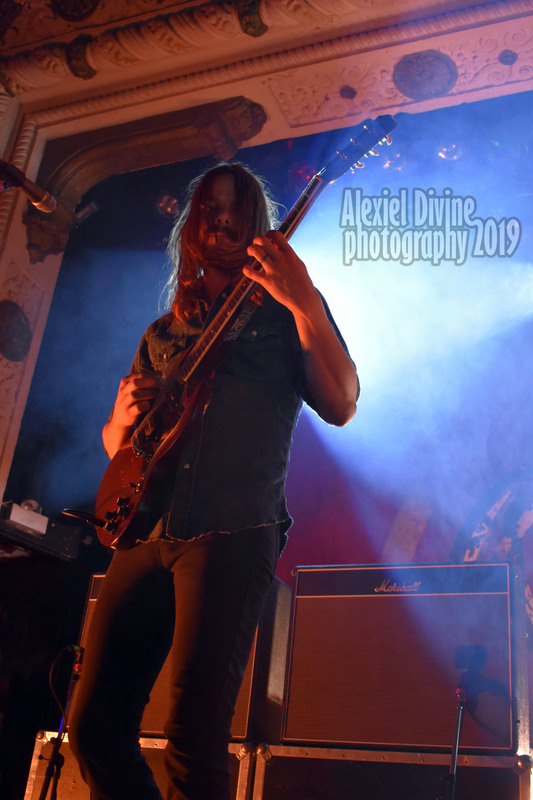 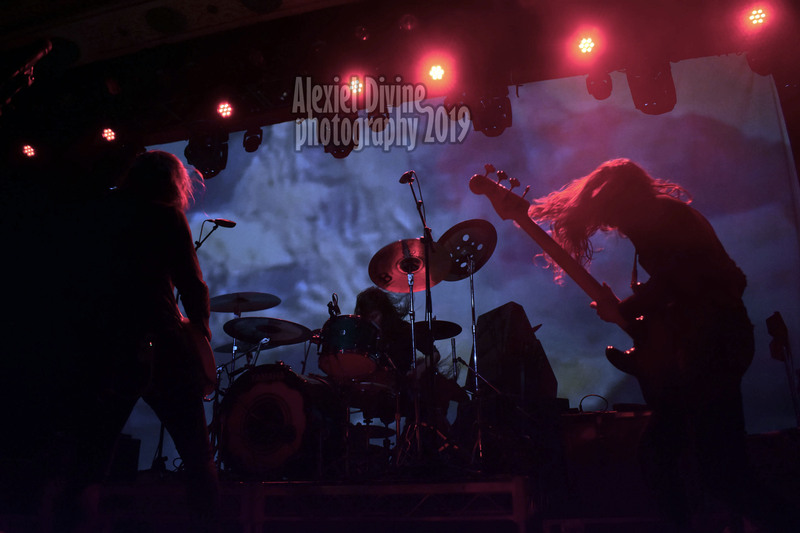 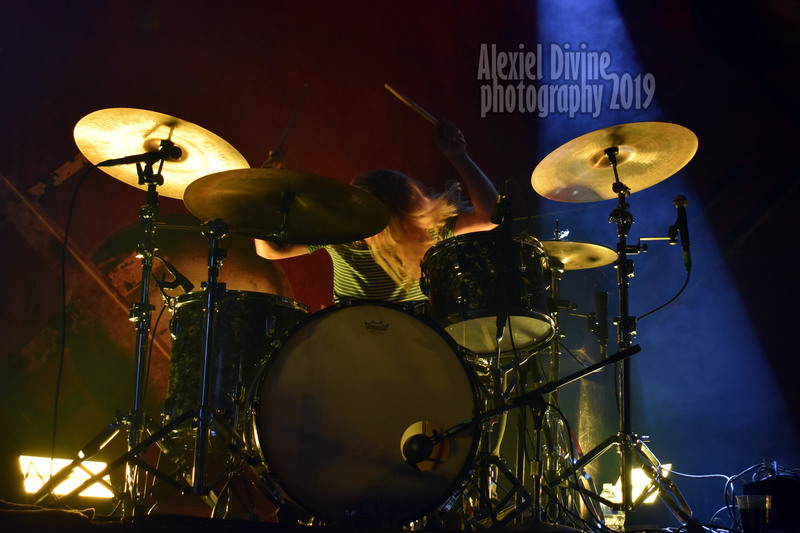 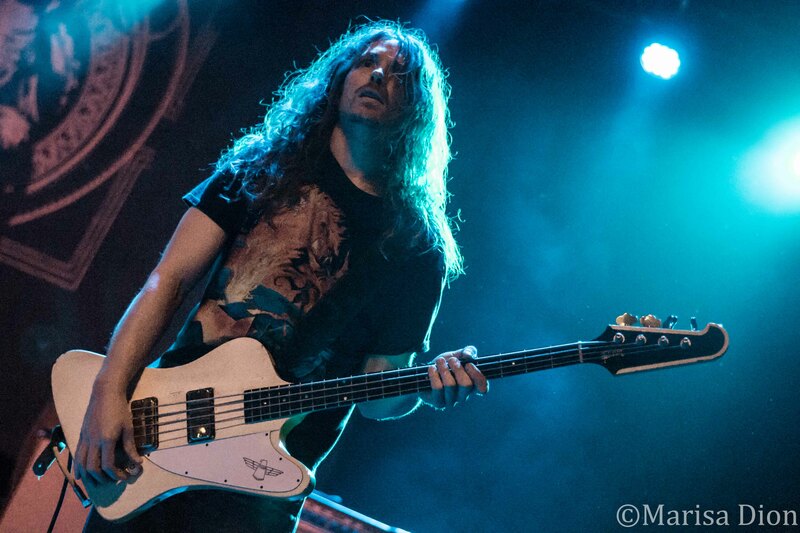 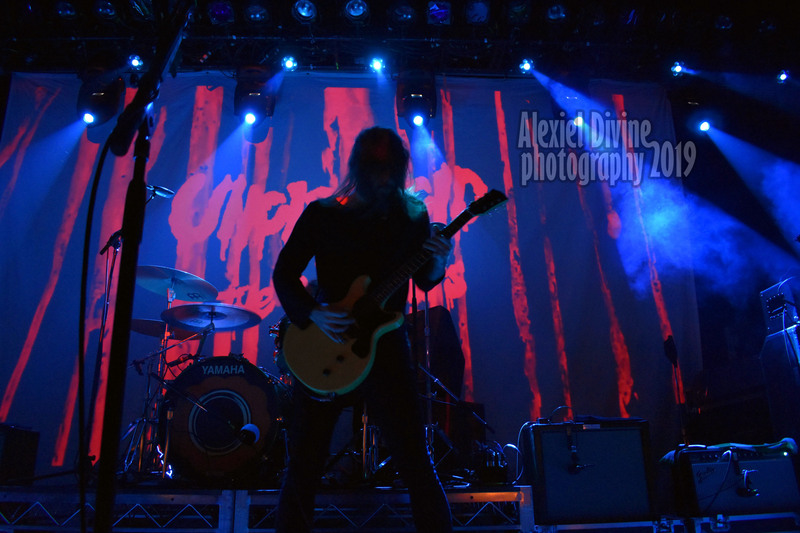 The release of the album “Peace” last year represented a great return for Swedish rockers Graveyard and the ‘Peace Across The Wasteland’ tour co-headlining with Uncle Acid and The Deadbeats has been another successful experience packing venues all over North America. 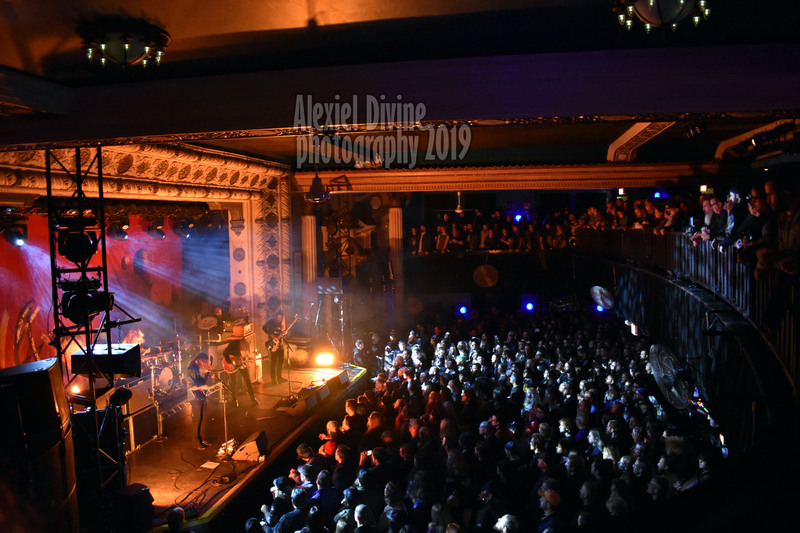 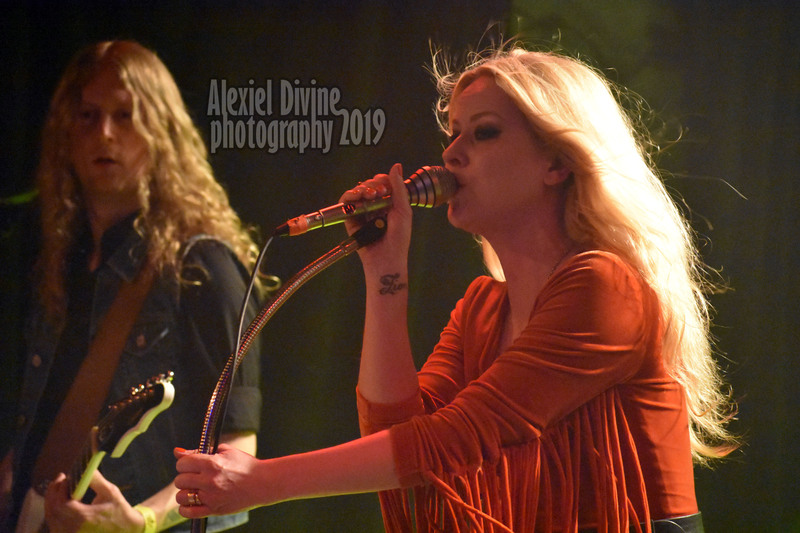 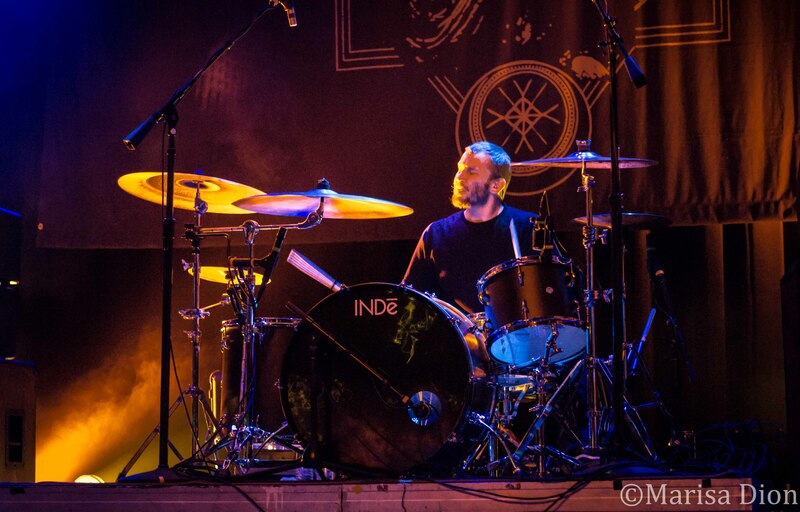 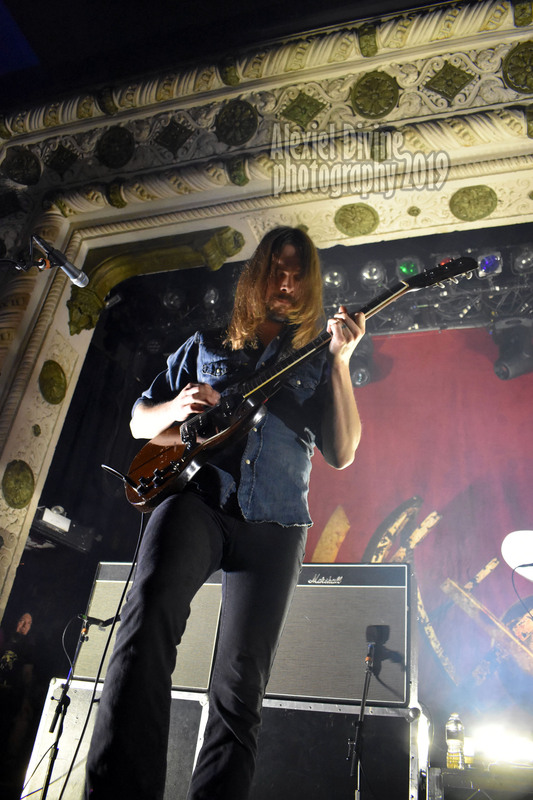 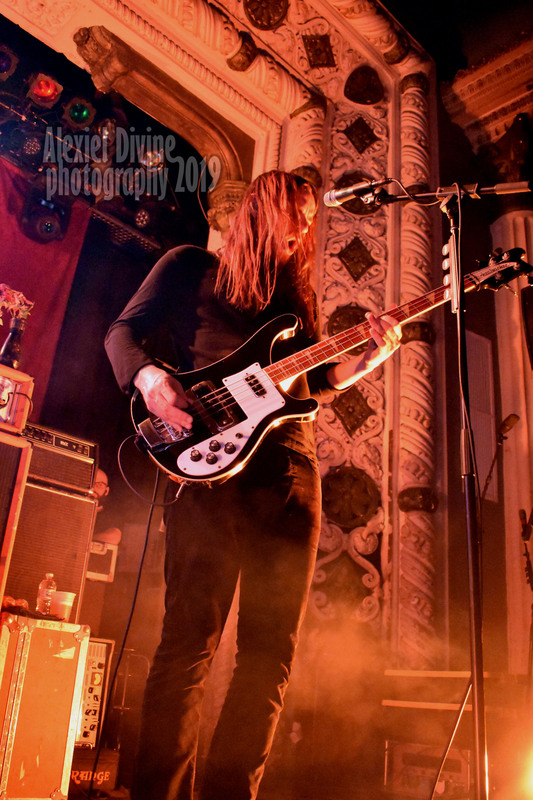 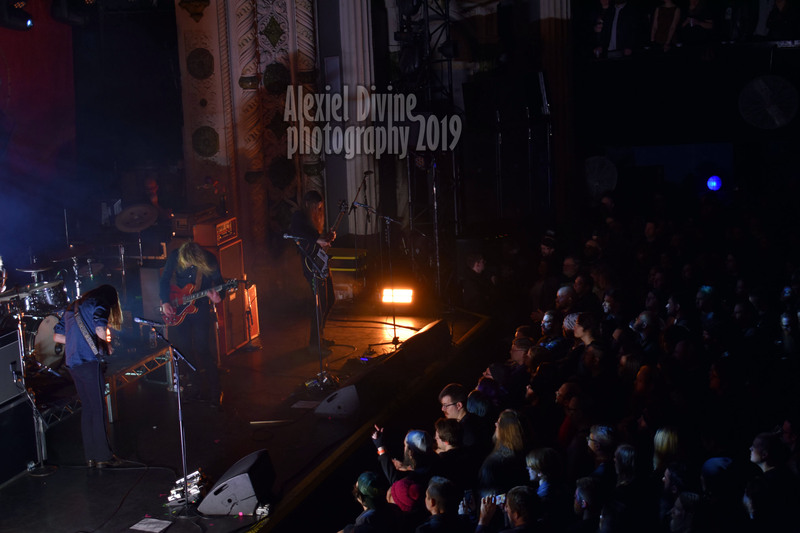 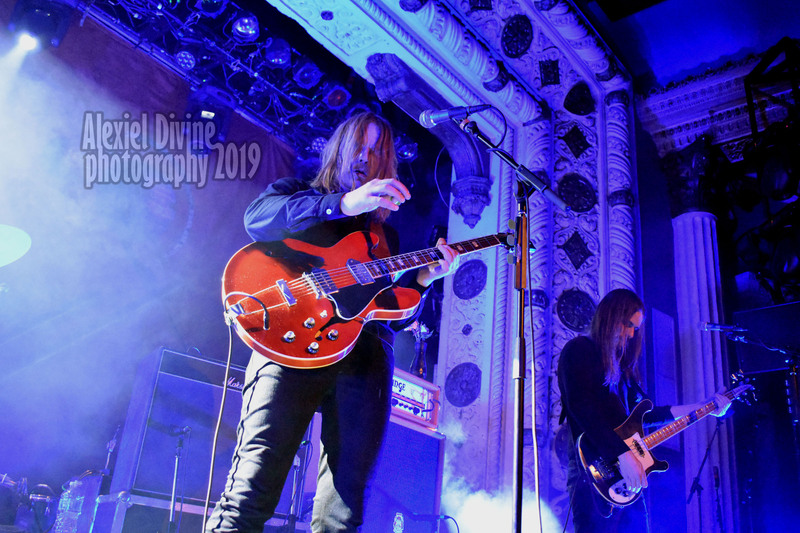 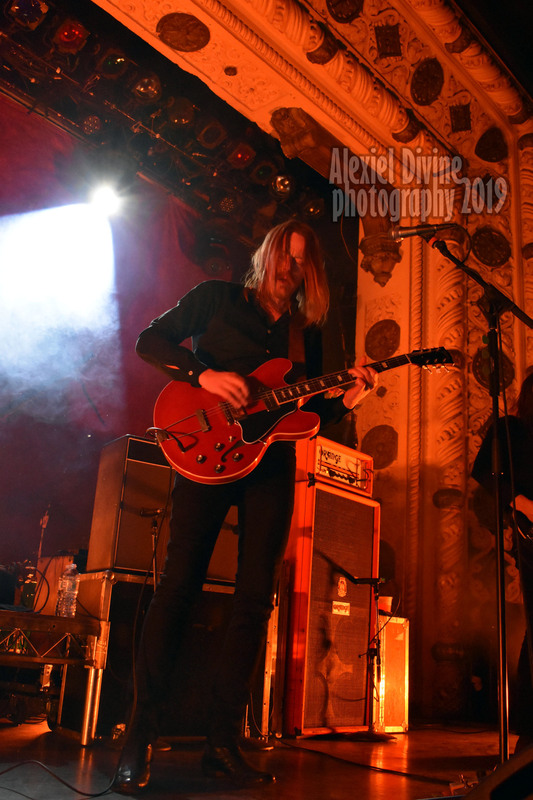 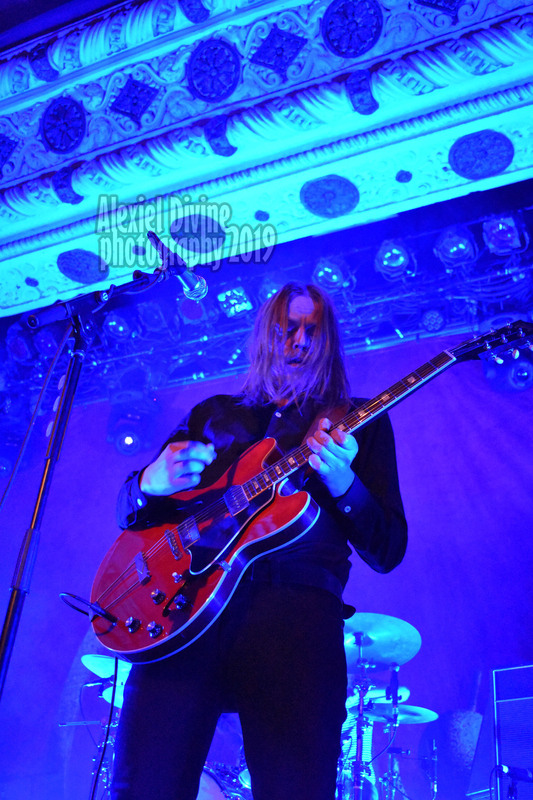 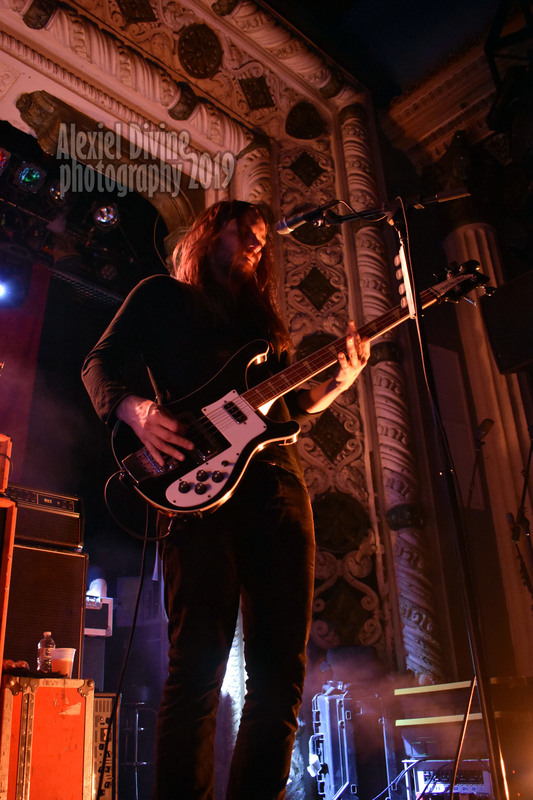 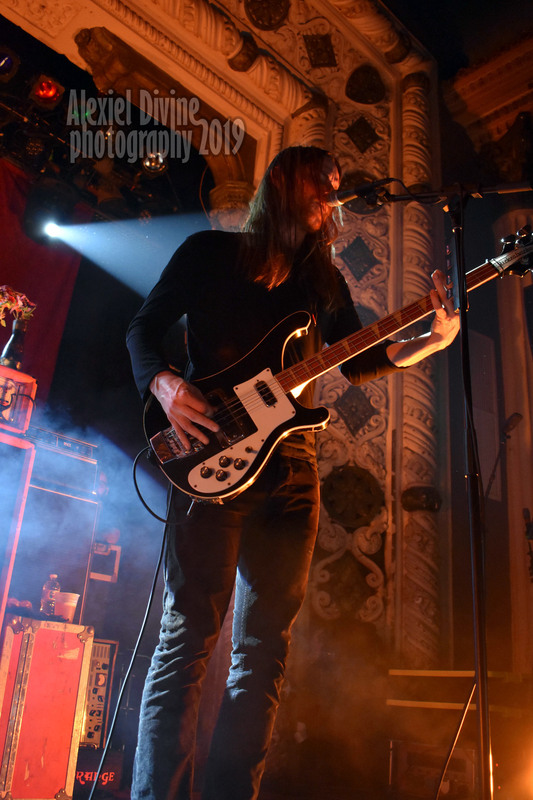 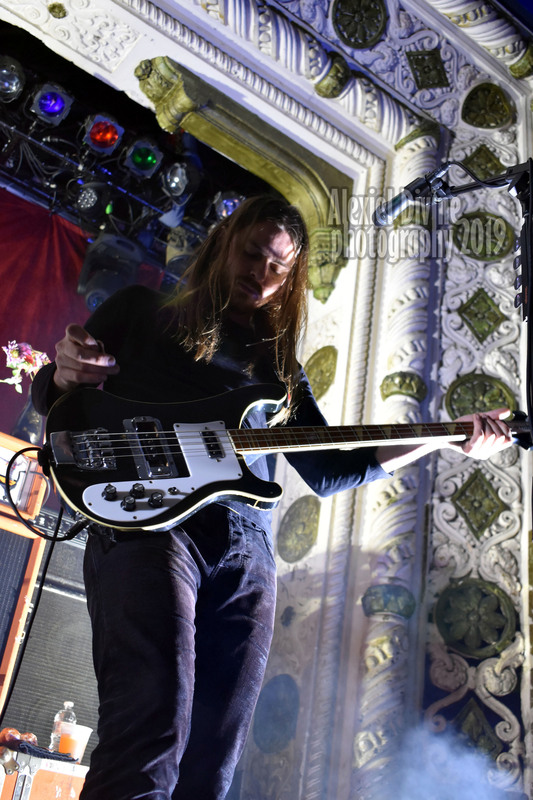 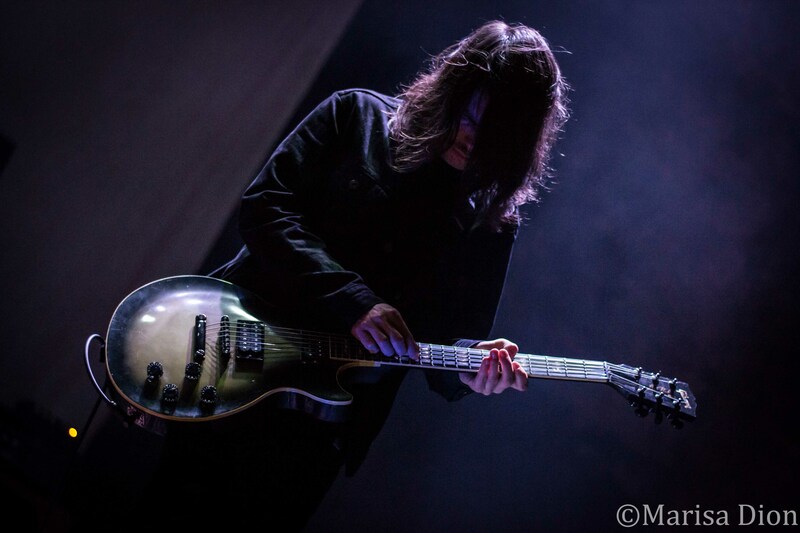 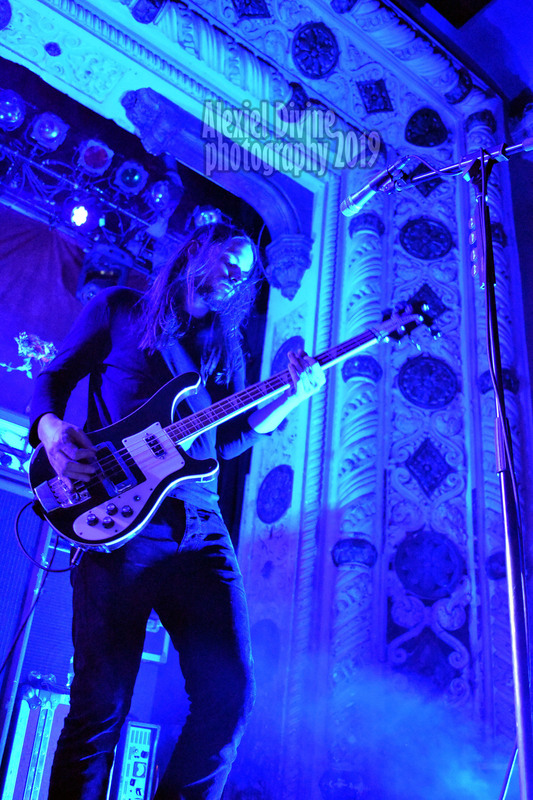 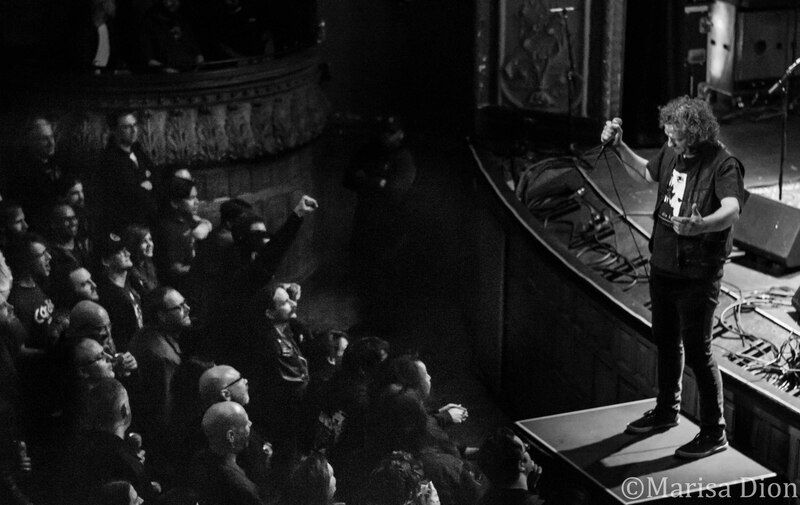 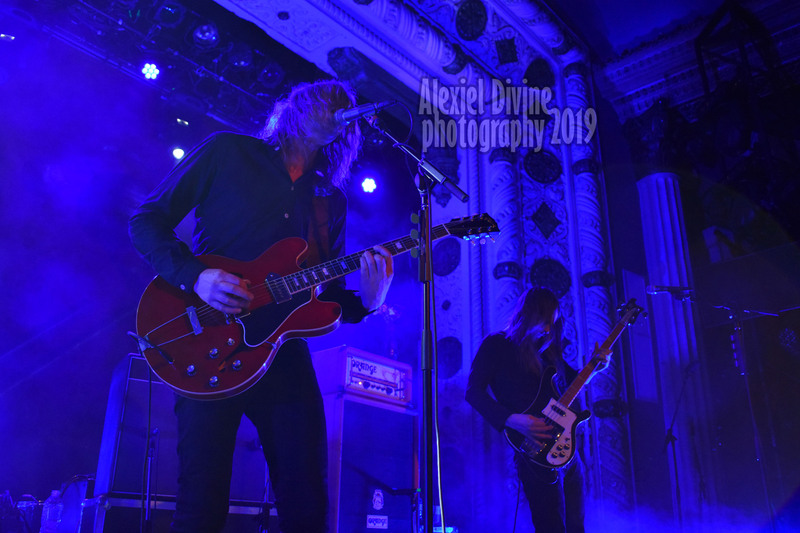 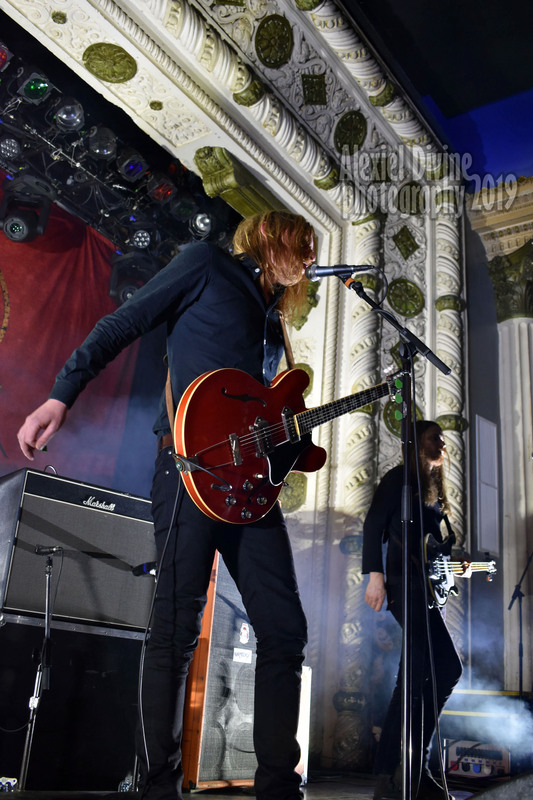 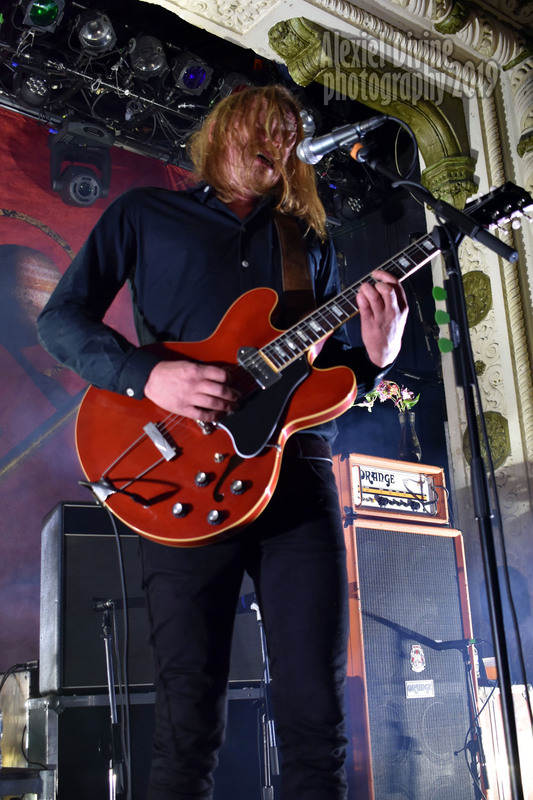 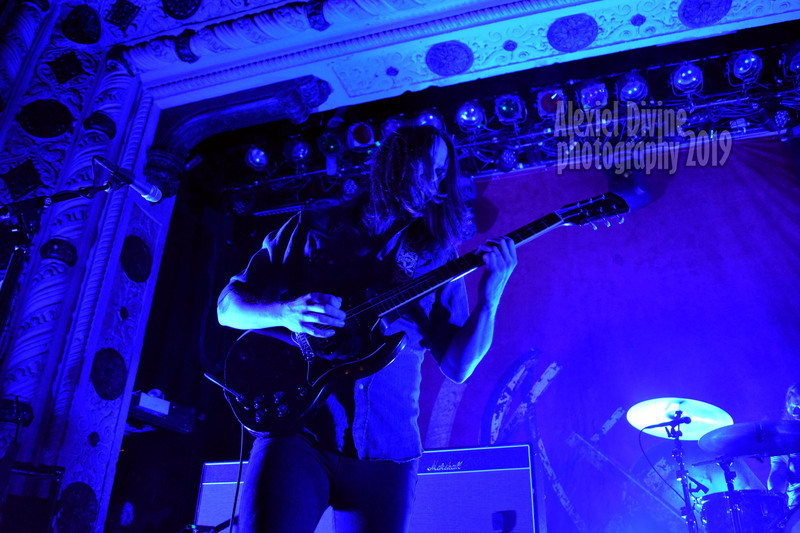 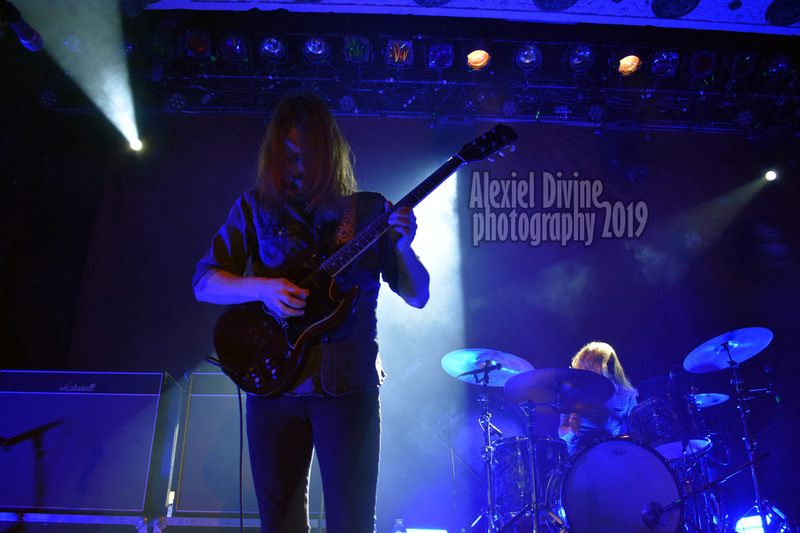 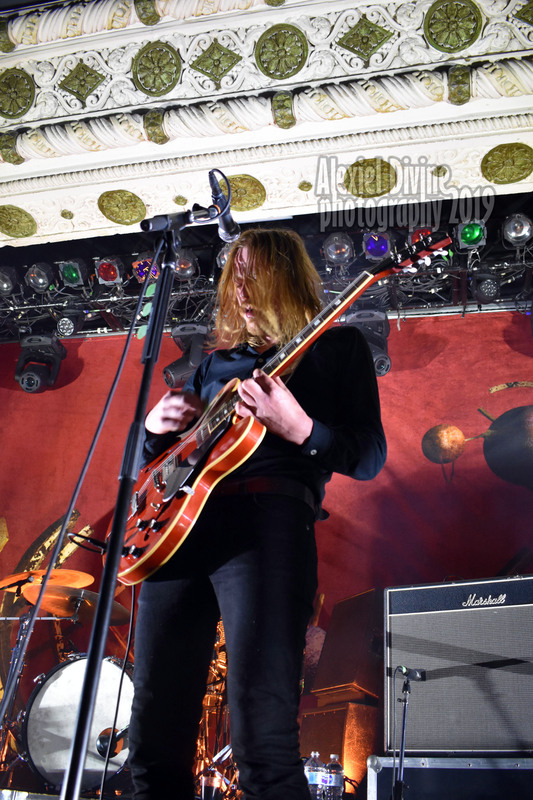 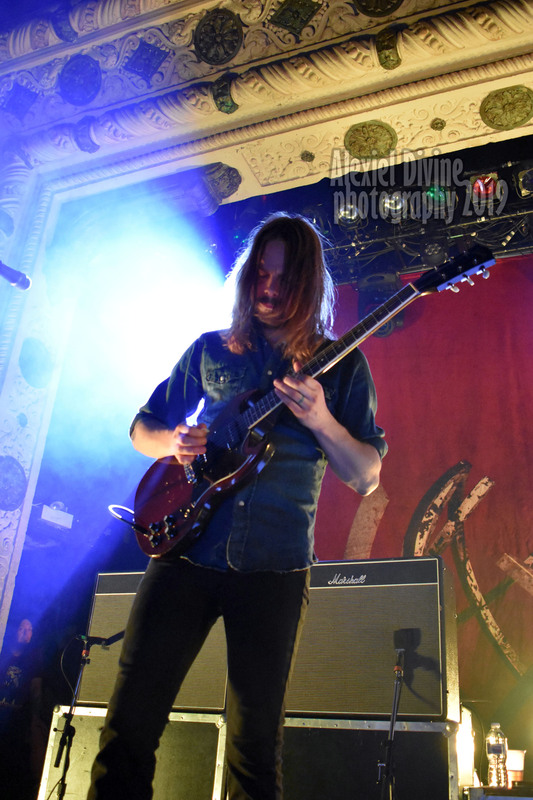 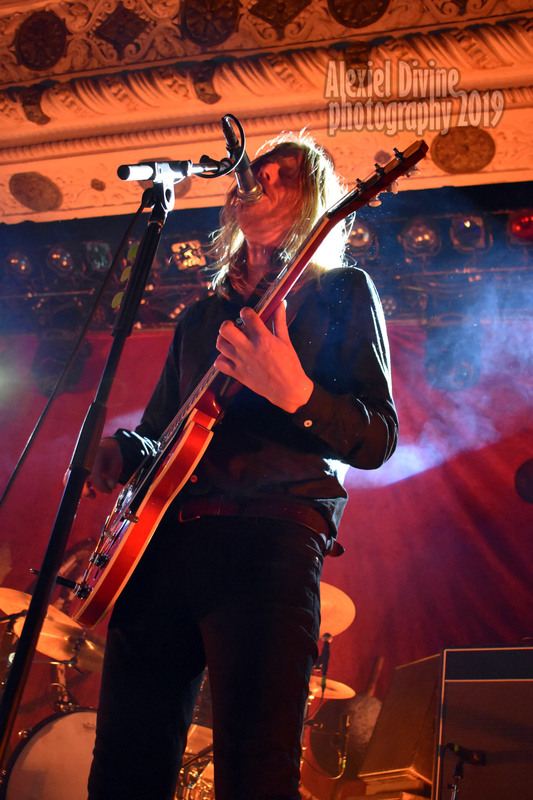 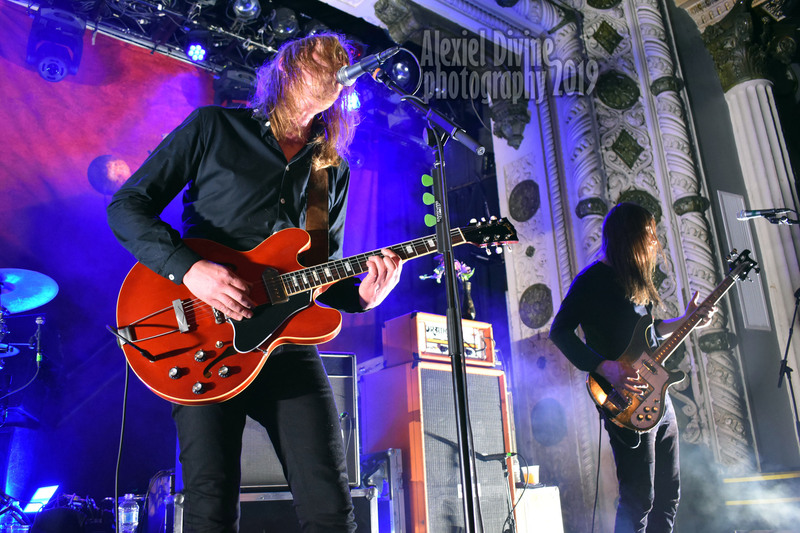 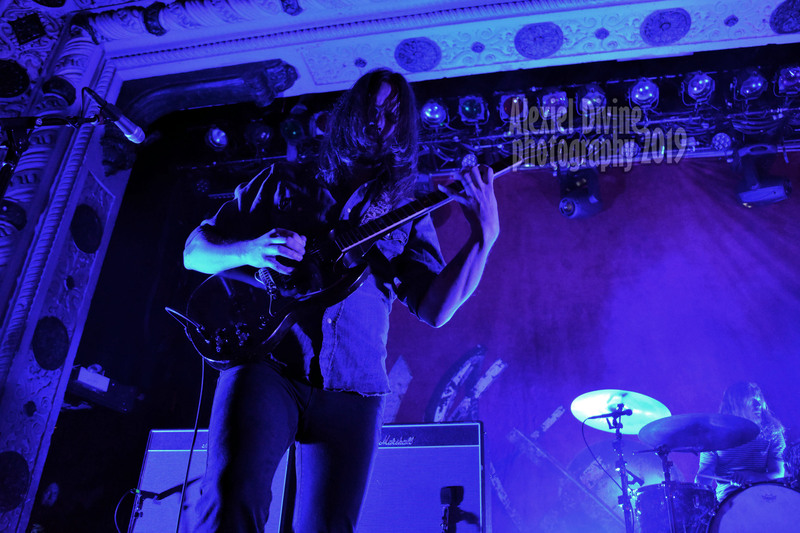 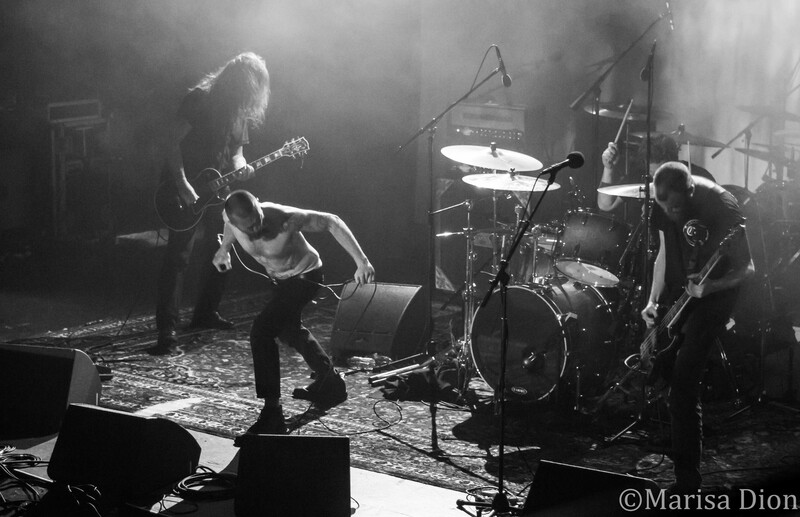 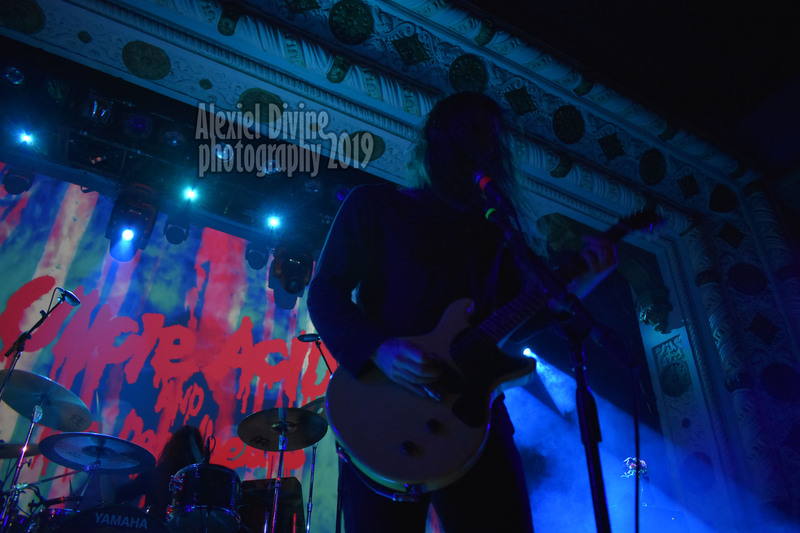 It wasn’t surprising to see that Graveyard show at the Metro in Chicago was sold out as their intense music style continues to garner new acolytes in North America. 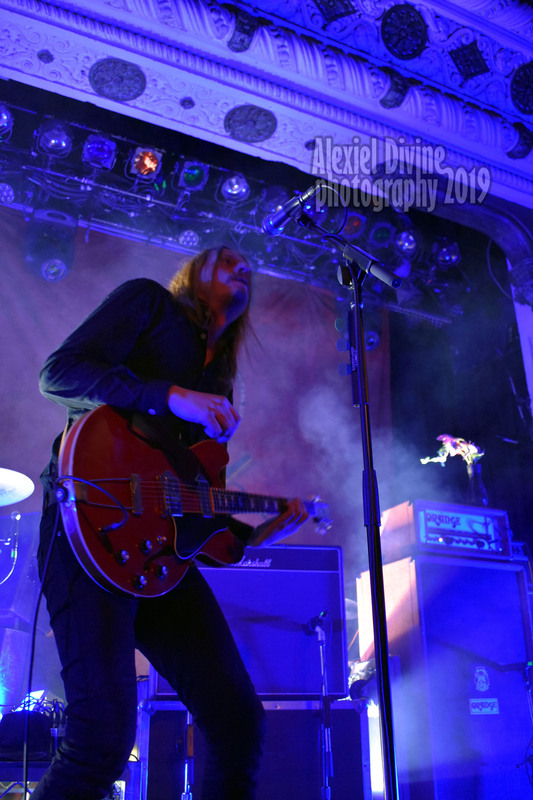 While there is certainly a renaissance of vintage rock and stoner style, Graveyard’s sound always stands out for the hypnotic psychedelic grooves and the gorgeous understated melodies. 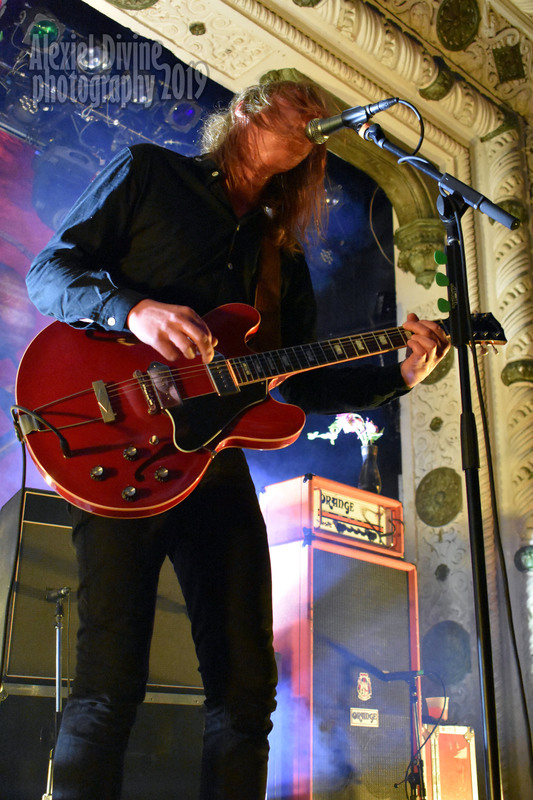 For the setlist Graveyard chose many songs from the latest full length “Peace” including “Walk On”, “The Fox” and “It Ain’t Over Yet” which definitely sounded even more enthralling during this vibrant live performance and it was also nice to hear several songs from the older acclaimed album “Hisingen Blues” such as the title track, “Uncomfortably Numb” and “The Siren”. 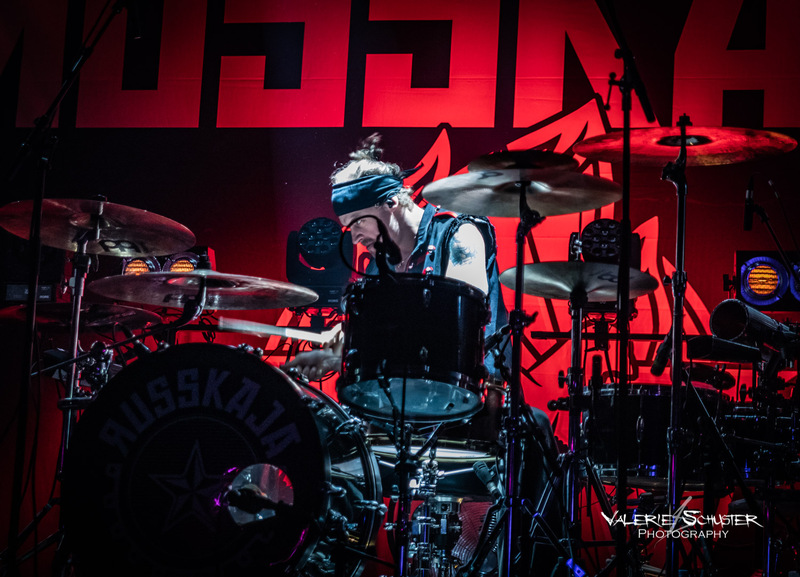 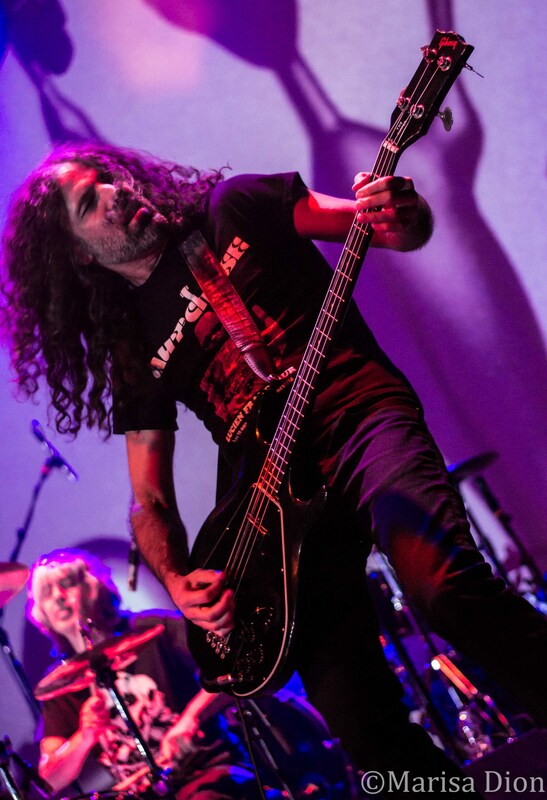 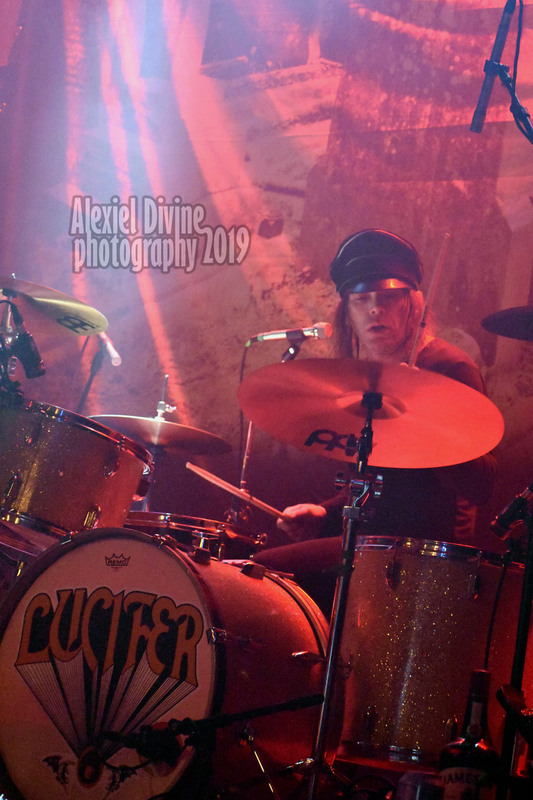 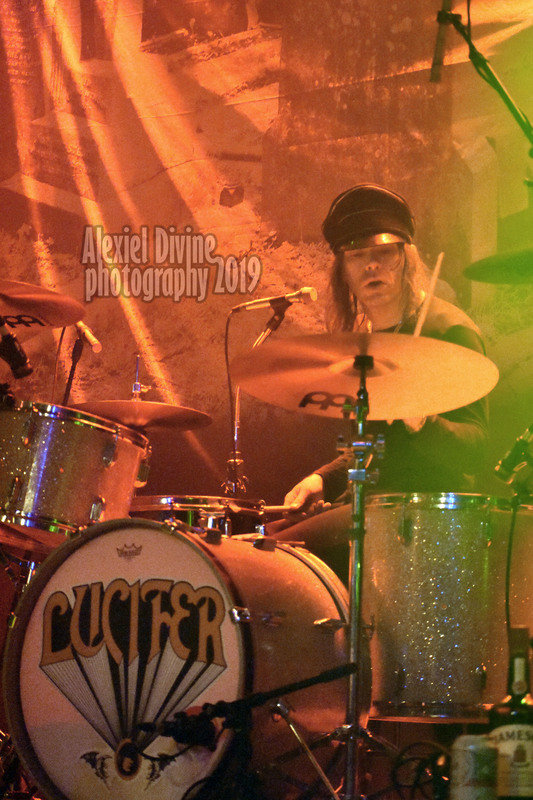 Heavy rockers Lucifer finally embarked on a headlining tour in North America to support the latest spellbinding release “Lucifer II”. 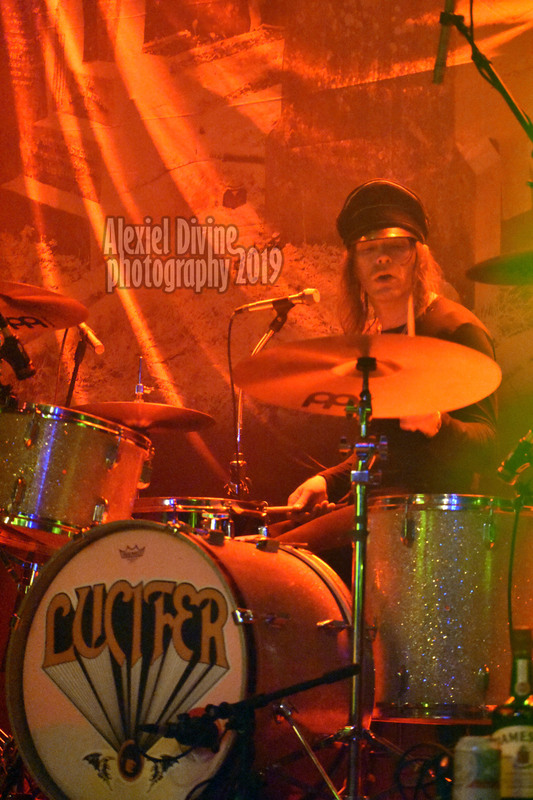 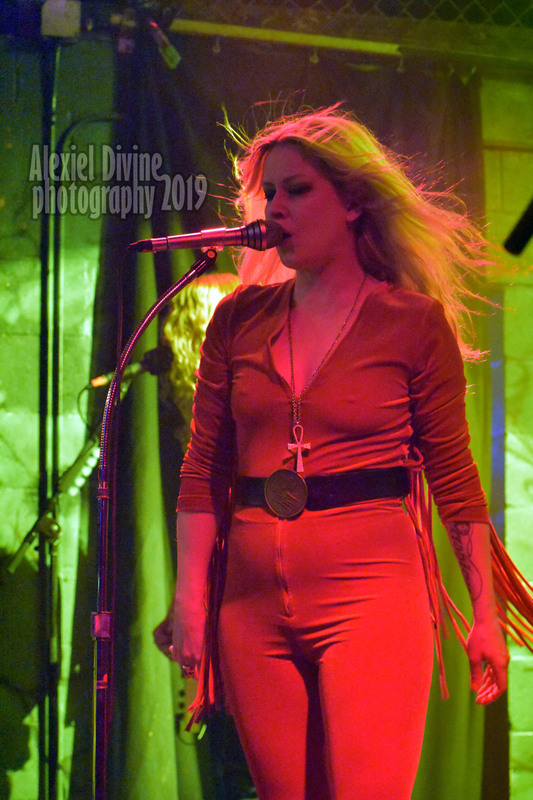 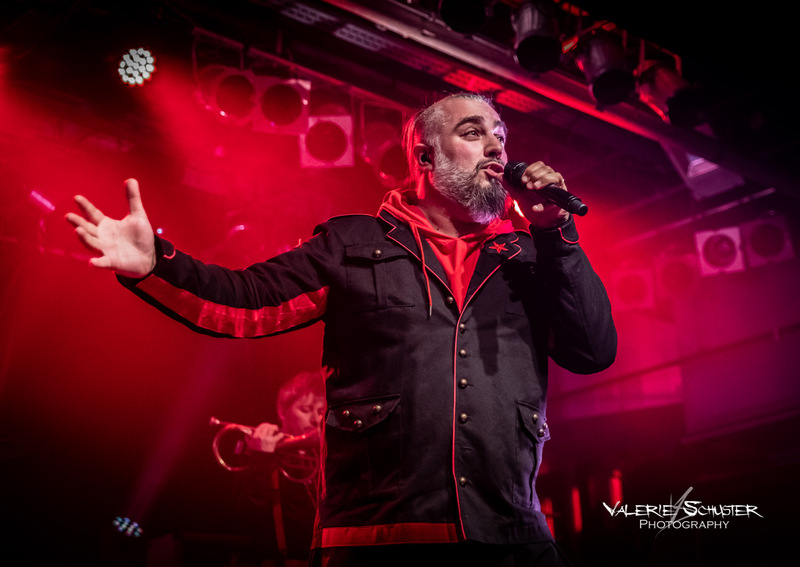 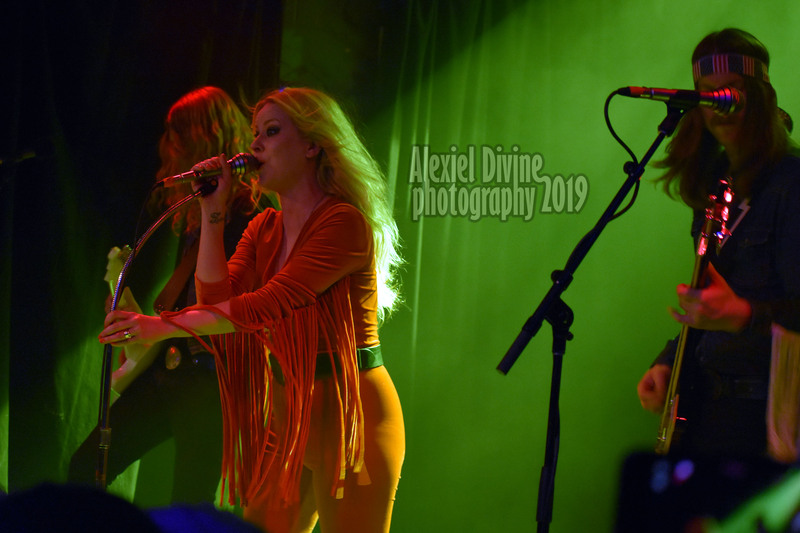 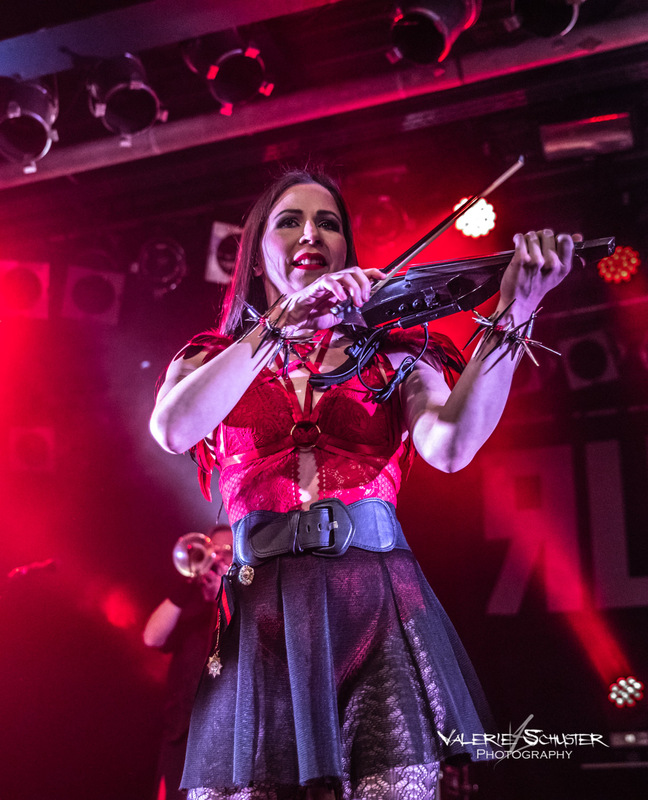 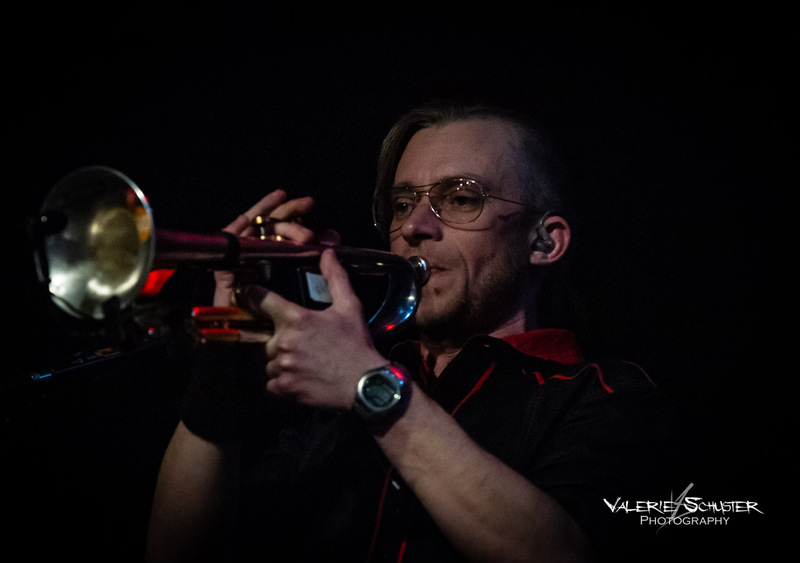 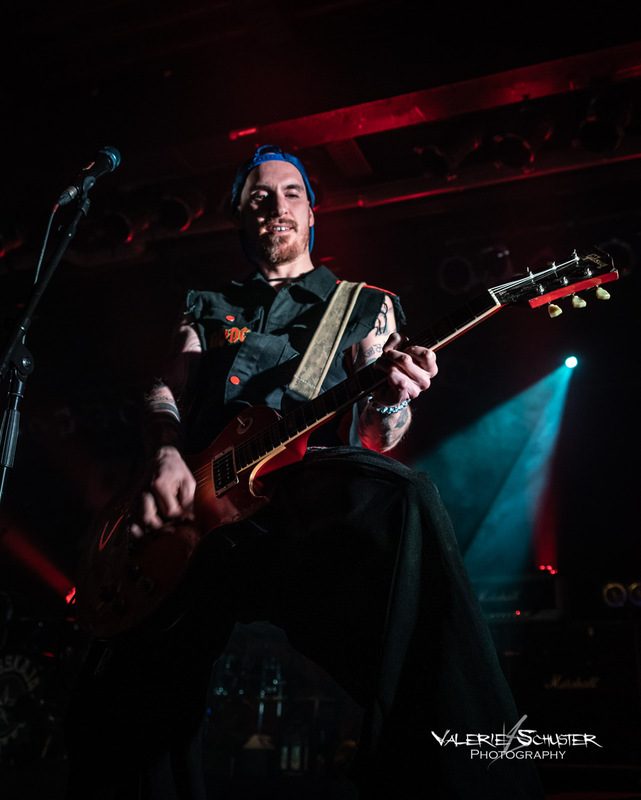 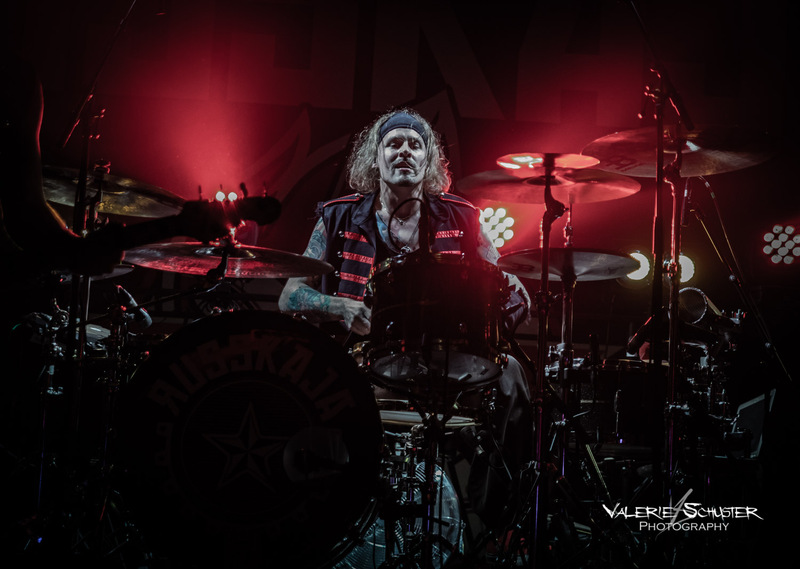 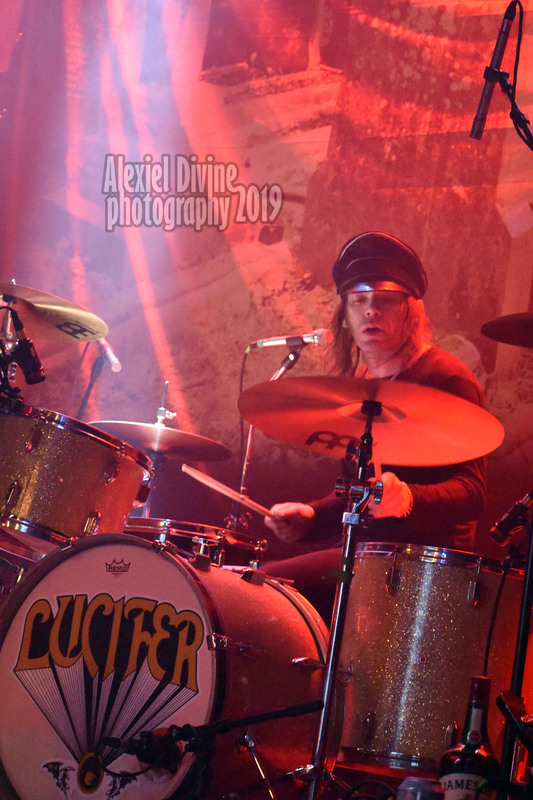 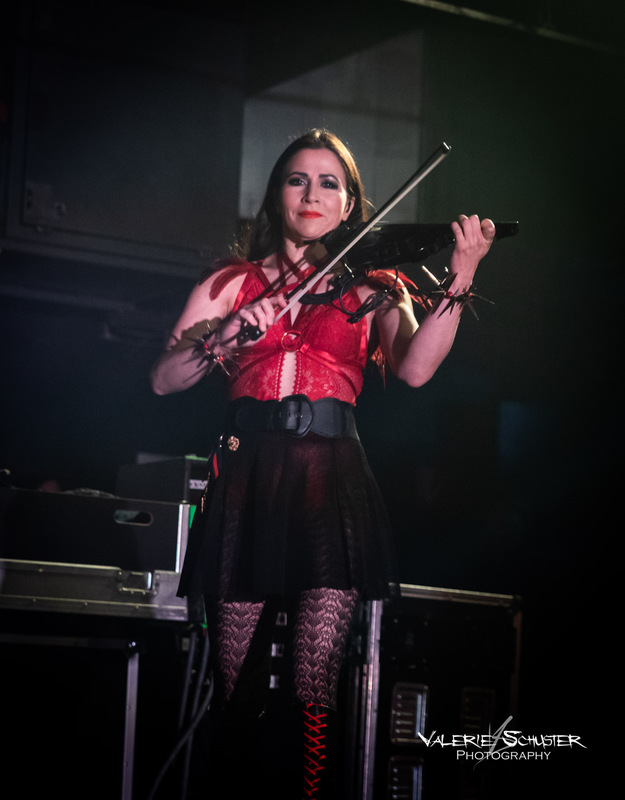 The American fans certainly showed their utmost love for Lucifer’s music packing Reggies in Chicago on a Thursday night. 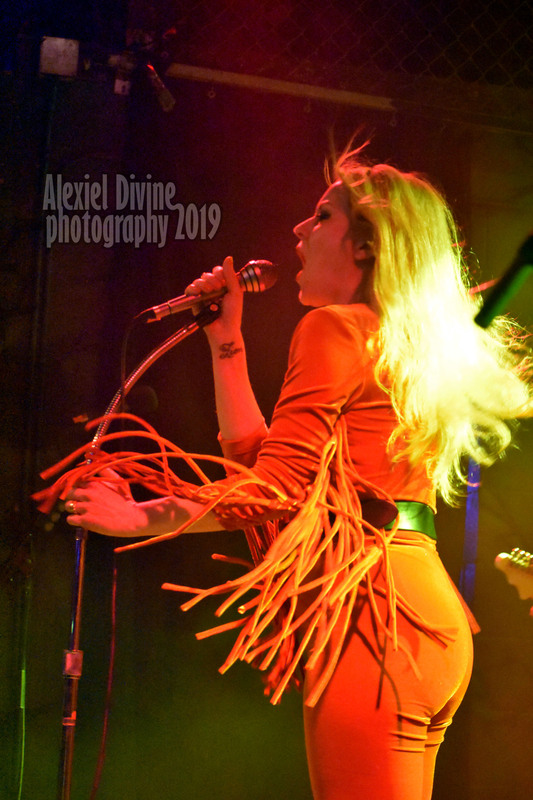 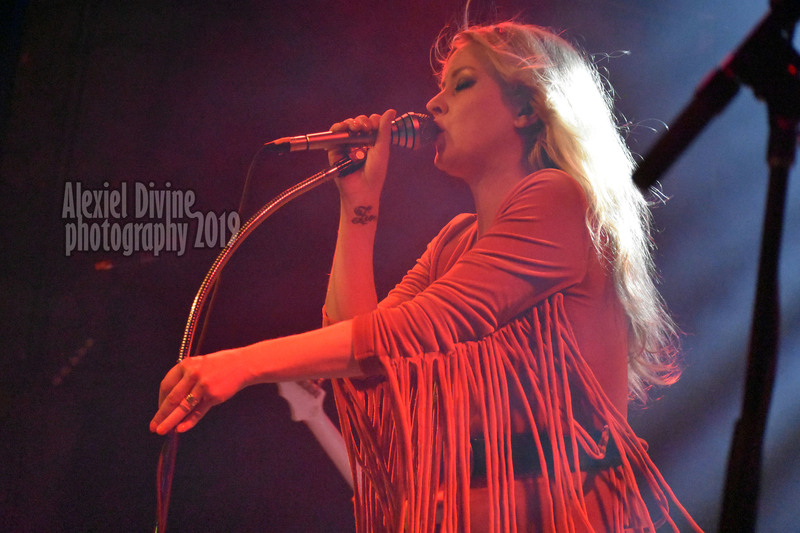 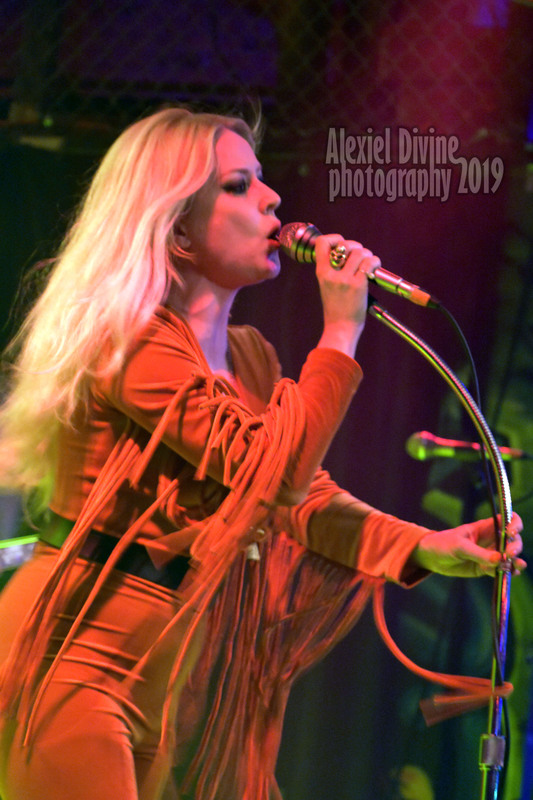 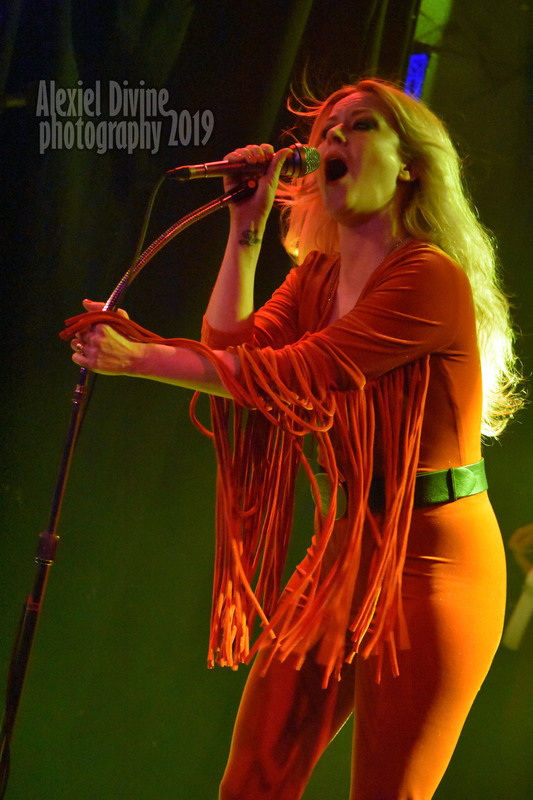 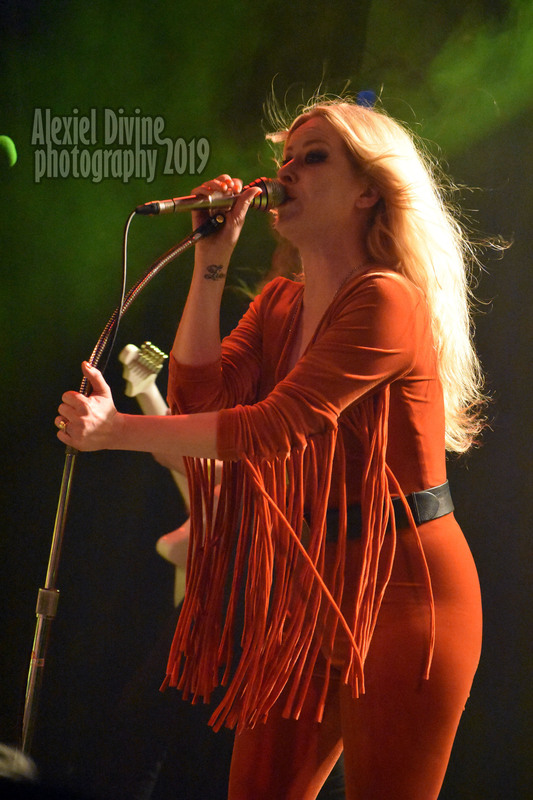 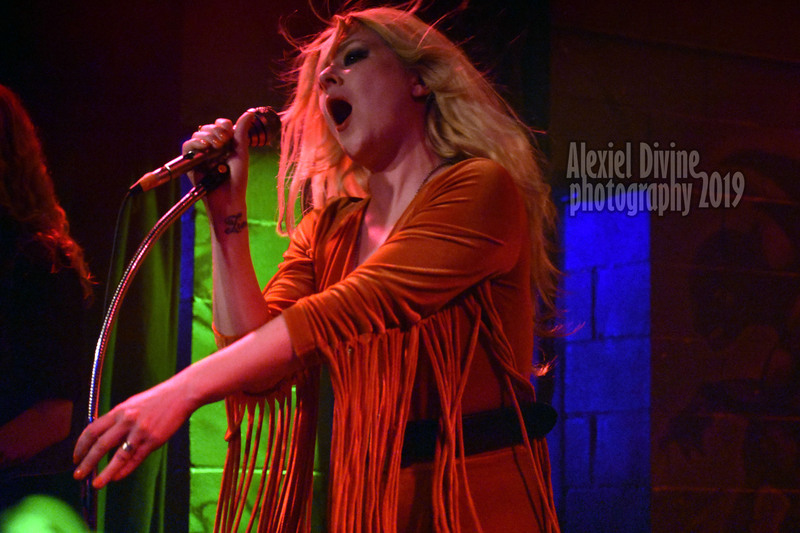 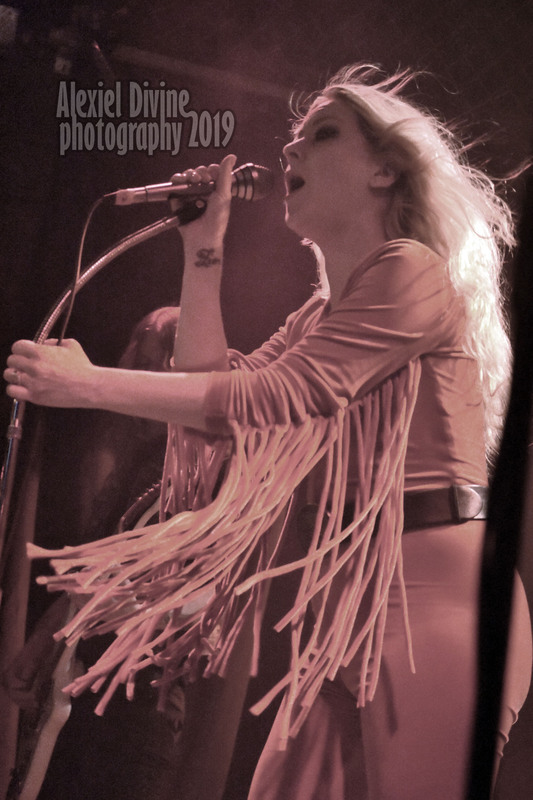 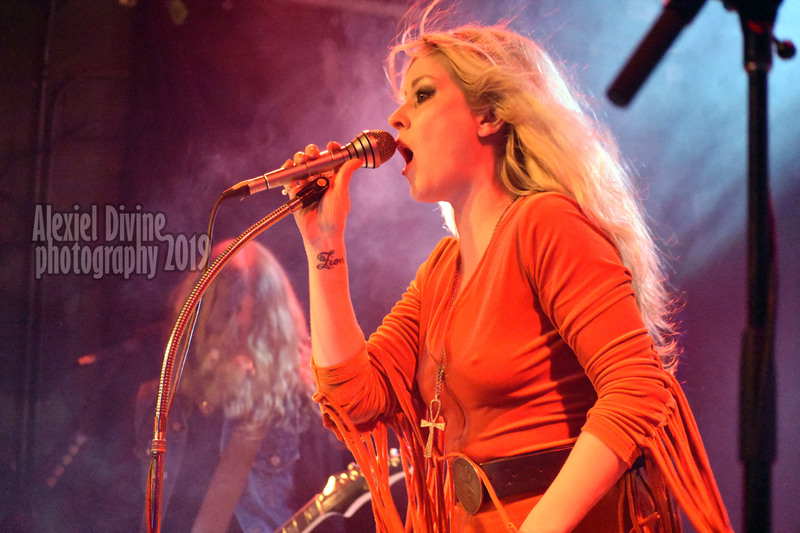 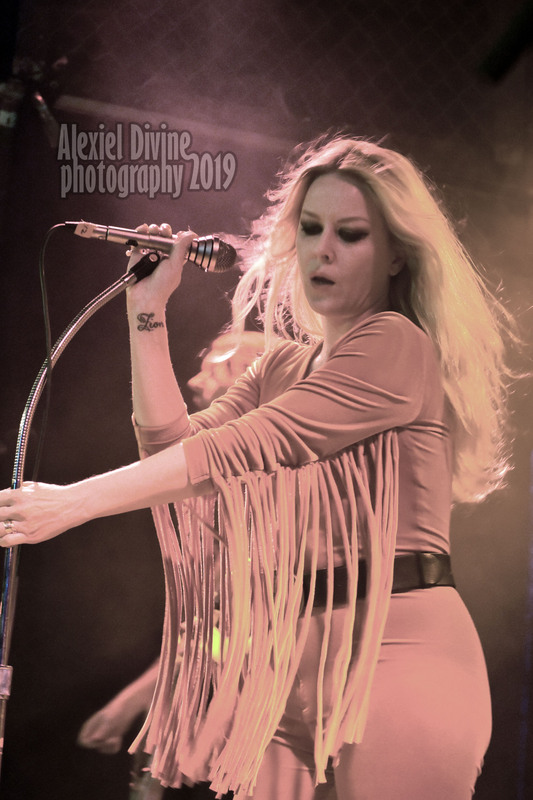 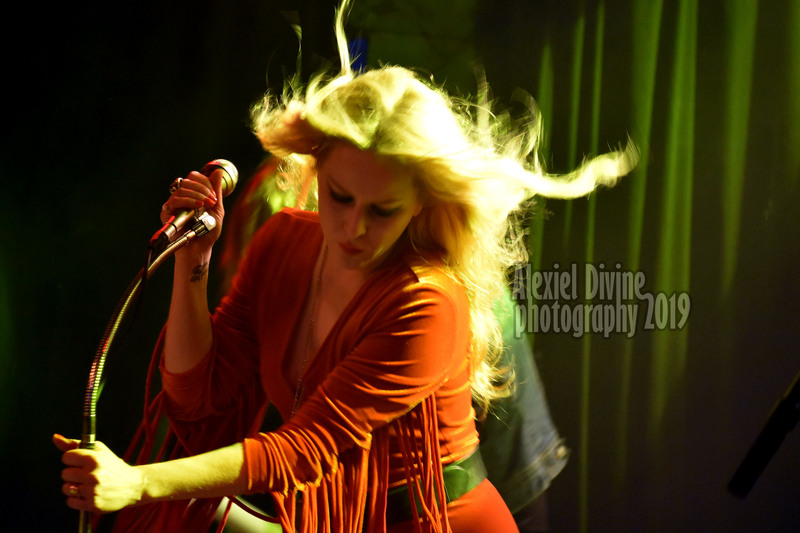 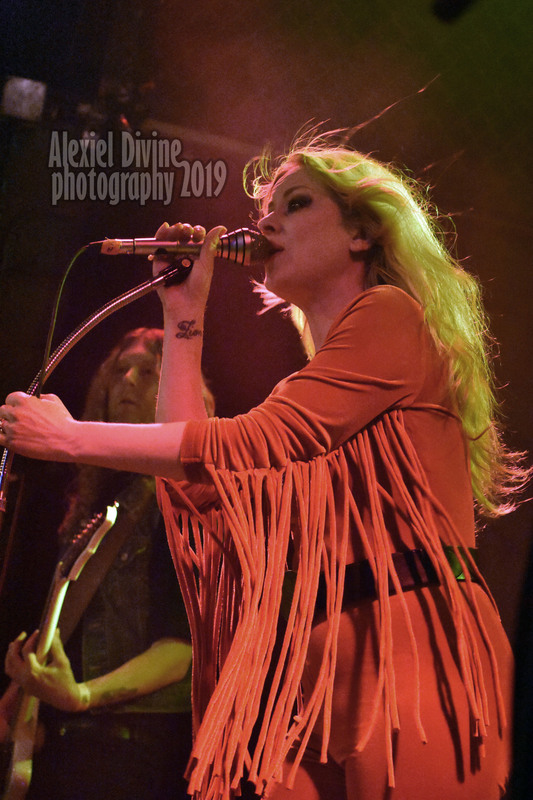 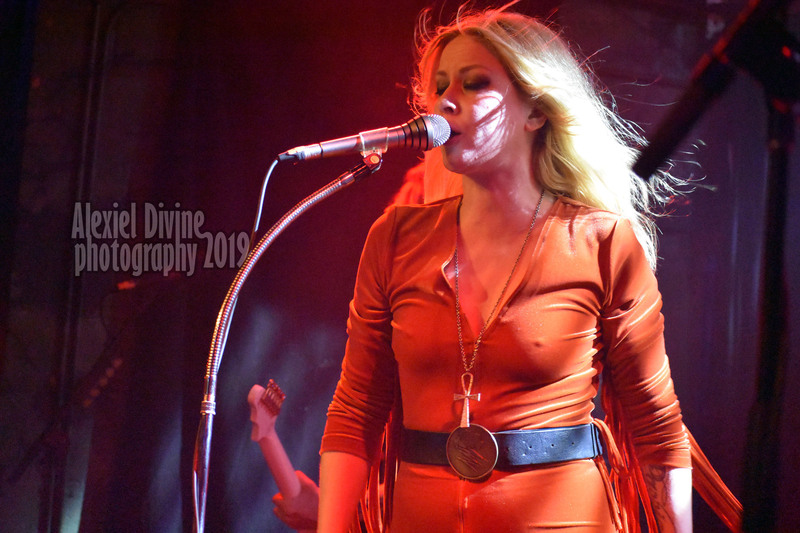 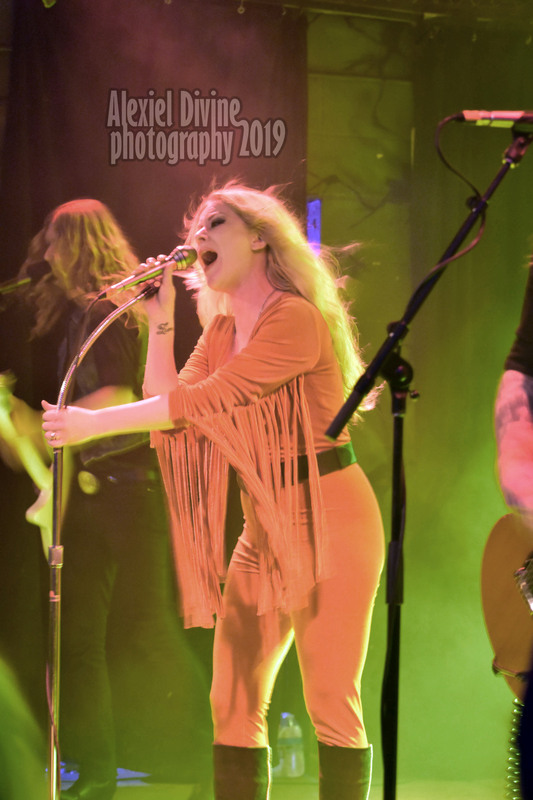 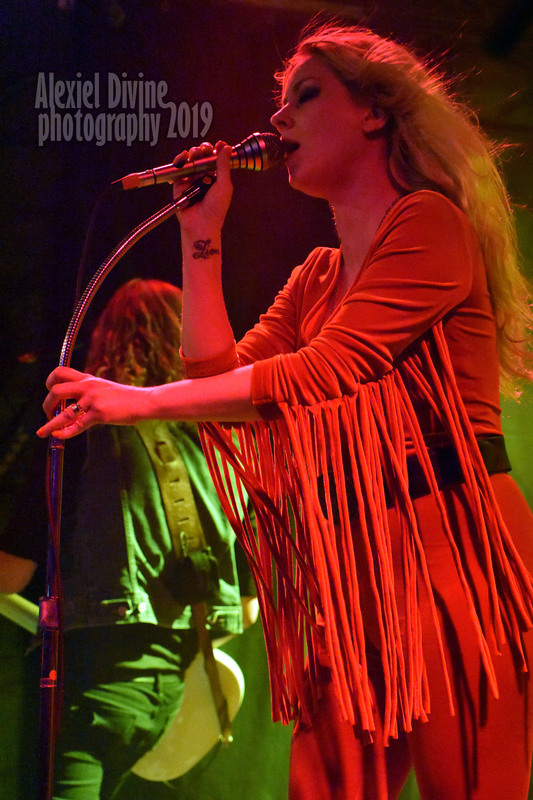 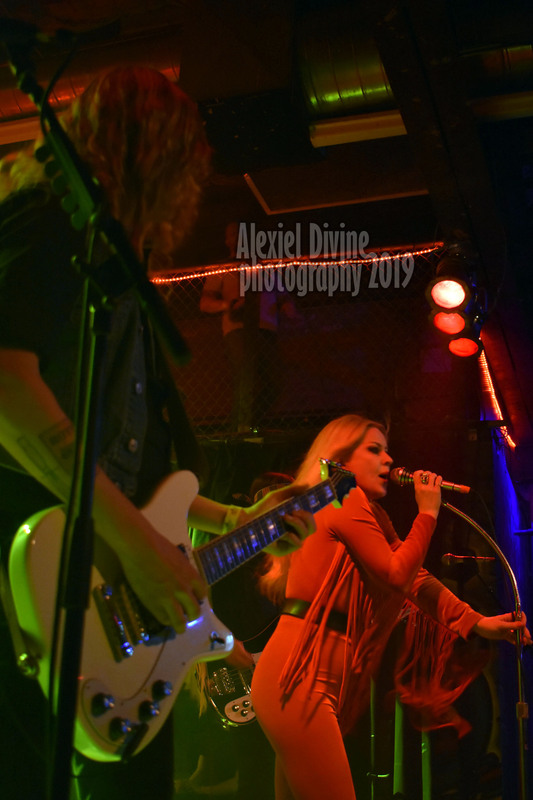 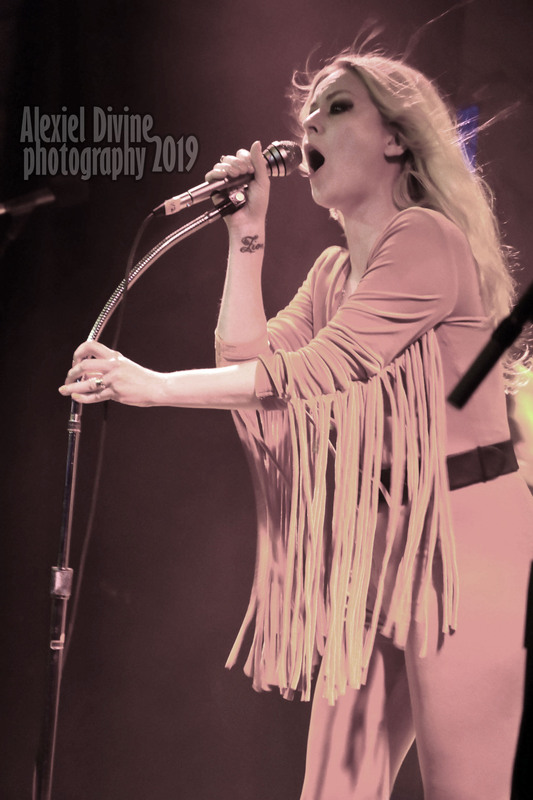 The band’s chemistry was immediately evident and Johanna Sadonis proved to be a charismatic vocalist confidently singing through the hazy atmospheres of “Dreamer” or the retro grooves of “California Son” and the new unreleased song “Ghosts” was another lovely surprise.